Creating content one post at a time for more than six years, I write about a variety of subjects. From delicious recipes and creative crafts to helpful hints and family matters, you'll find it all. Since 2014 I have been a freelance blog photographer, specialising primarily on articles that require step by step and finished product photos, like recipes. 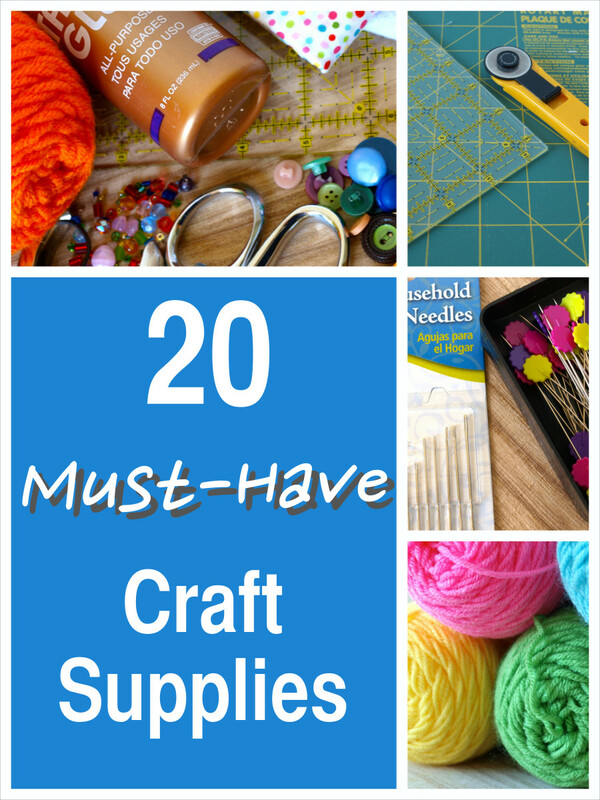 Whether you are a lifelong crafter or are just starting out, you should always have these 20 craft supplies/tools on hand. 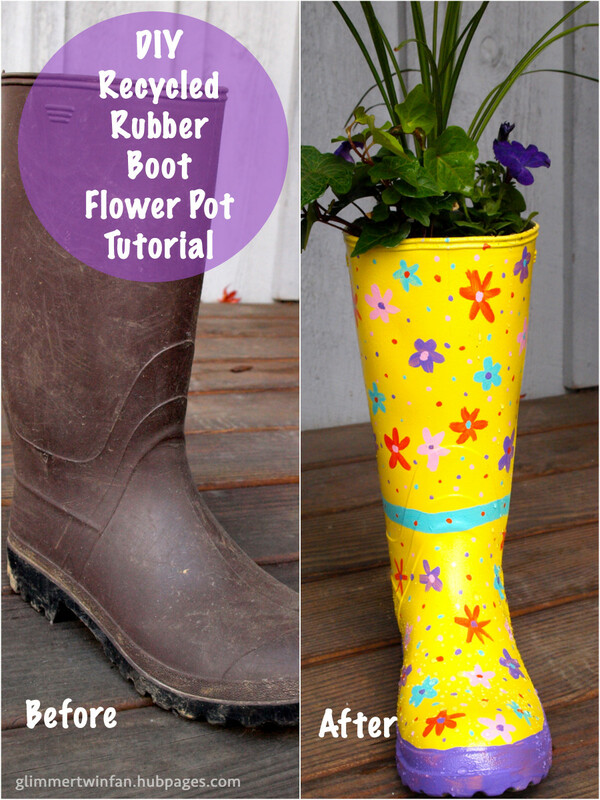 With a few supplies, you can turn an old rubber boot that was headed for the dumpster into a cute and practical flower planter. Add a little whimsy to your garden with this recycled boot flower pot. Find out here. Four methods were tested, and one came out on top. 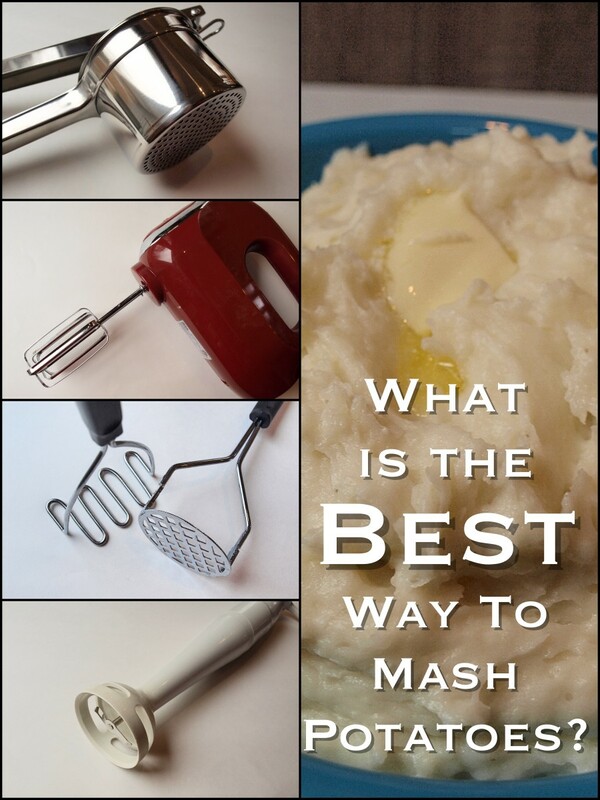 Using the winning method, you'll get perfect mashed potatoes every time. These easy recipes require only a box of cake mix, and a mix-in. That's it, 2 ingredients that you probably have on hand. You'll find 20 enticing combinations with instructions and photos. 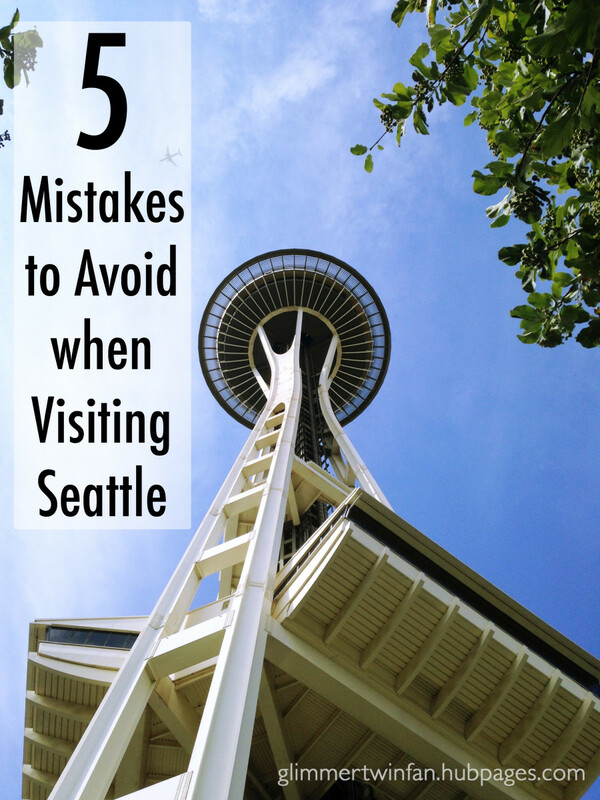 If you are planning a visit to Seattle, Washington, don't make these 5 mistakes that my family made. You'll have a much better time than we did. 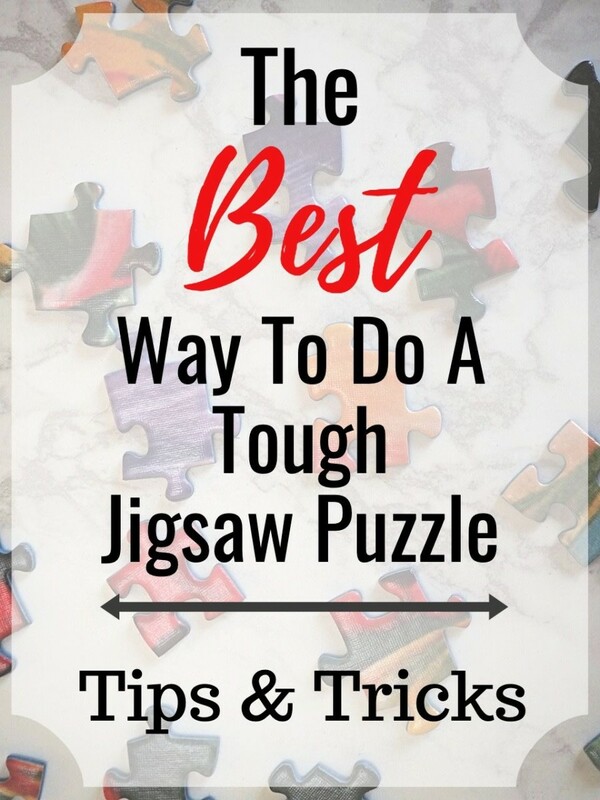 Do you find 500- or 1,000-piece jigsaw puzzles difficult? Here are some tips and tricks to help you out. 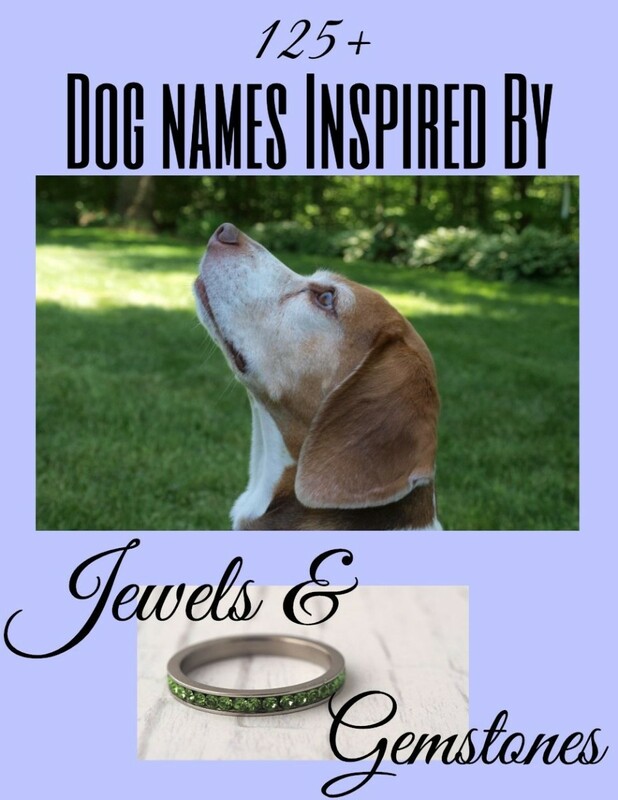 The ultimate list of over 125 dog names inspired by jewels and gemstones. Included are ideas based on precious and semiprecious stones, colors, jewelry, and even birthstones. If bling is your thing, then your new pup deserves a gem of a name. 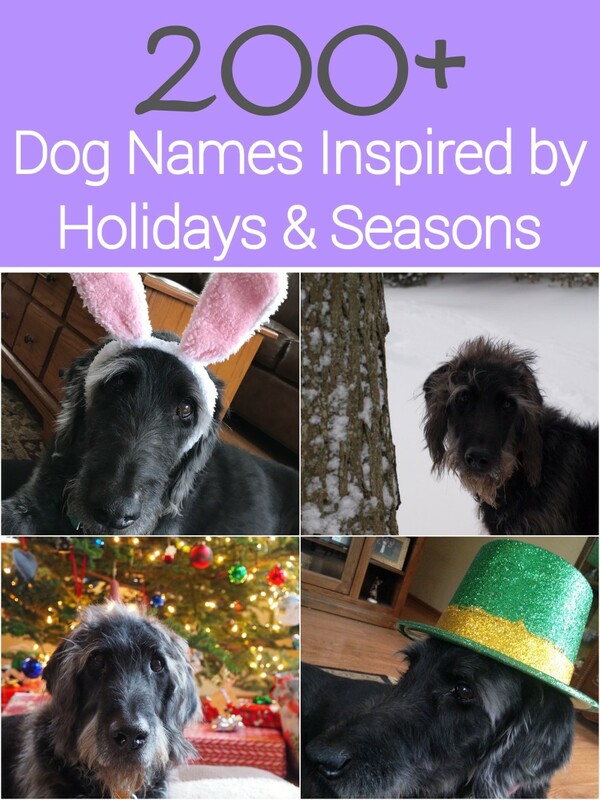 If you love a particular holiday or season, and are looking for a dog name inspired by it, then check out this list of over 200 of them. You'll find names inspired by all of the major holidays and the 4 seasons. 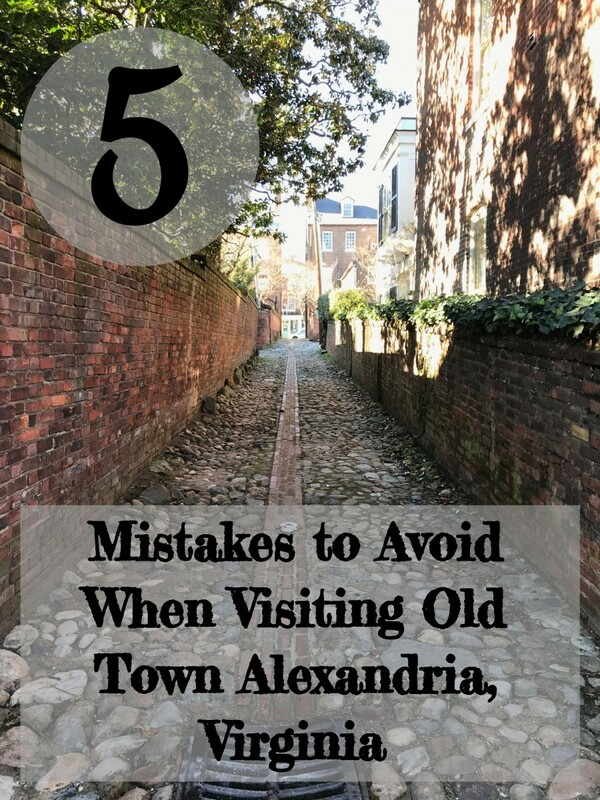 If you are planning a visit to Old Town Alexandria, Virginia, here are 5 mistakes to avoid. Make sure your trip is the best it can be. You'll also find tips for spots you won't want to miss. 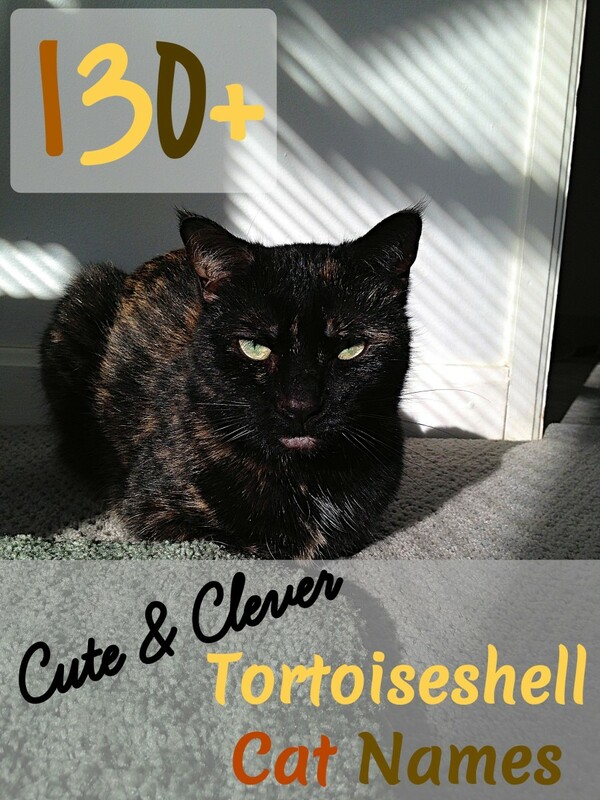 Need a name for a tortoiseshell cat? Here is the list for you. With over 130 names to choose from, you're sure to find one that is just right for your furry friend. 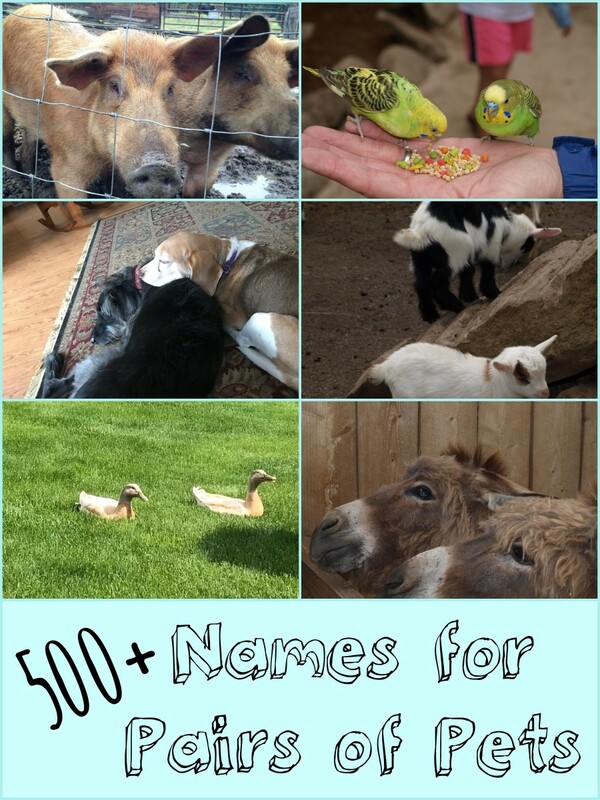 You'll find names based on fur color, personality and even some sweet names are included. 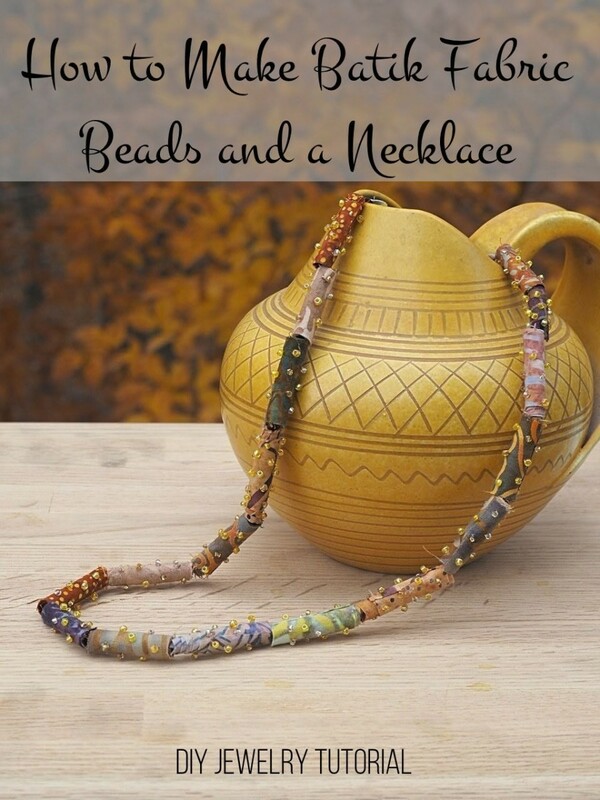 Learn how to make batik fabric beads and turn them into a one-of-a-kind necklace that shows off your sense of style. This DIY tutorial includes step-by-step photos, written instructions, and a video to demonstrate the technique. 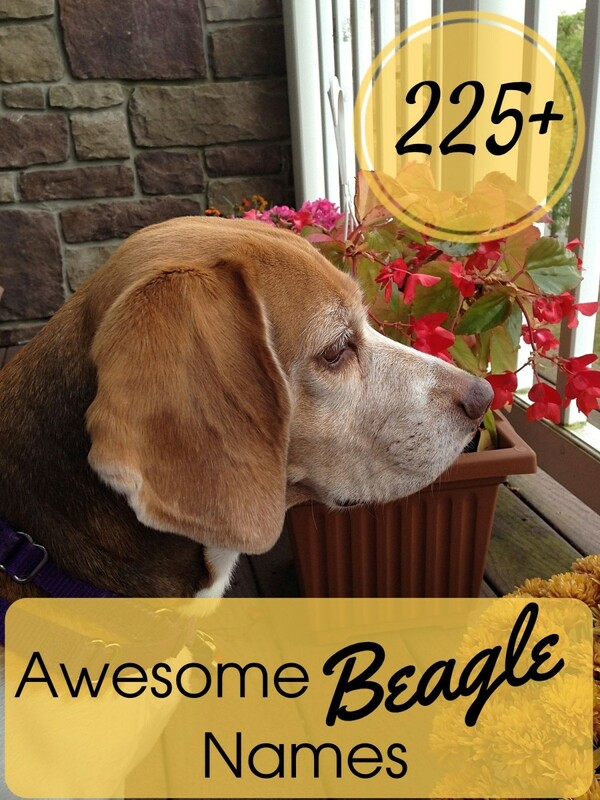 If you are looking for a name for your new Beagle buddy, look no further than this list—there are over 225 to choose from. 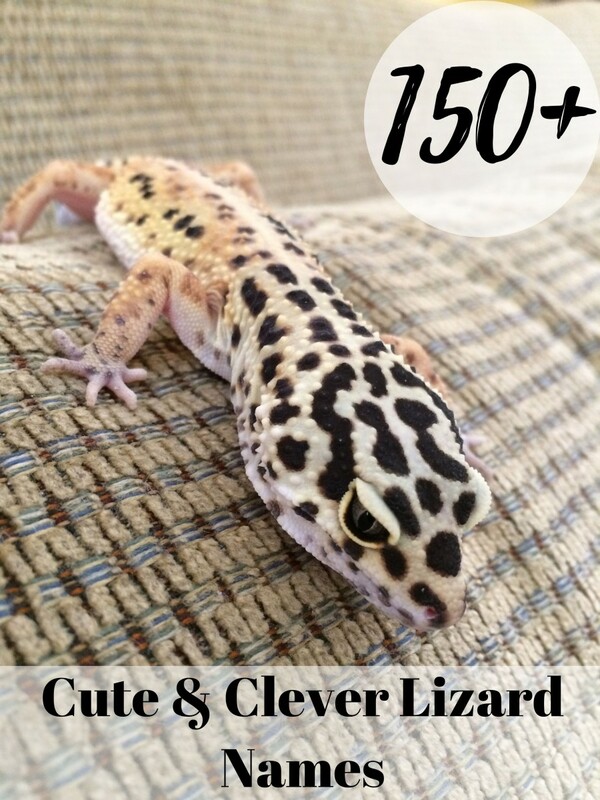 You'll find a list of over 150 names to choose from for your new lizard. 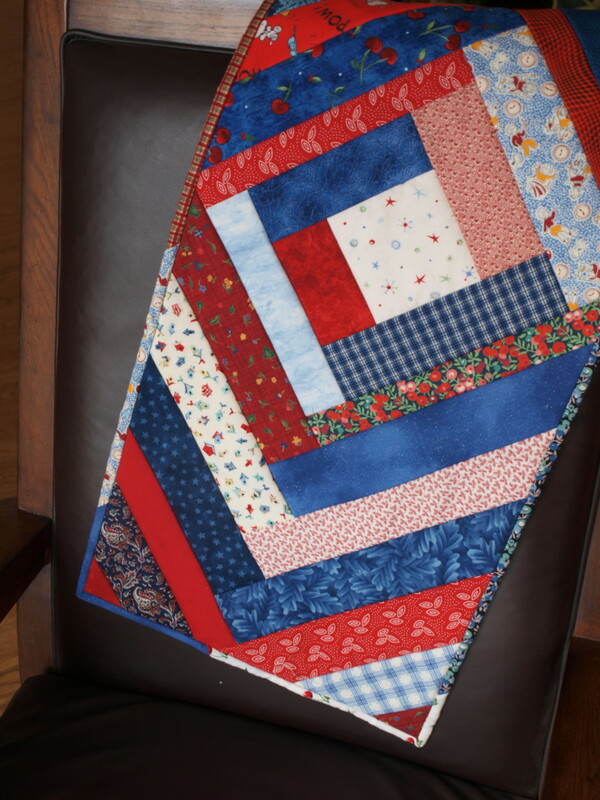 Put a new twist on an old-fashioned quilting favorite. 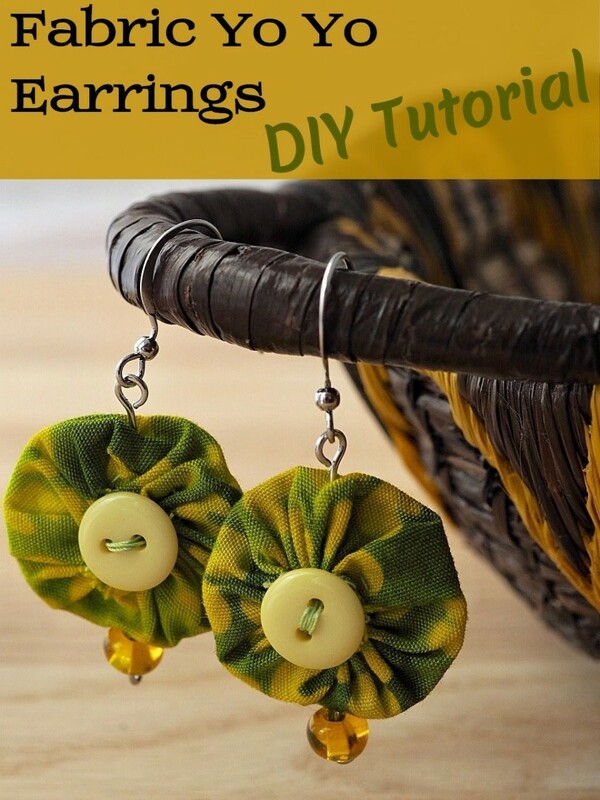 Learn how to make these fun and flirty one-of-a-kind yo yo earrings made out of fabric scraps, buttons and beads. 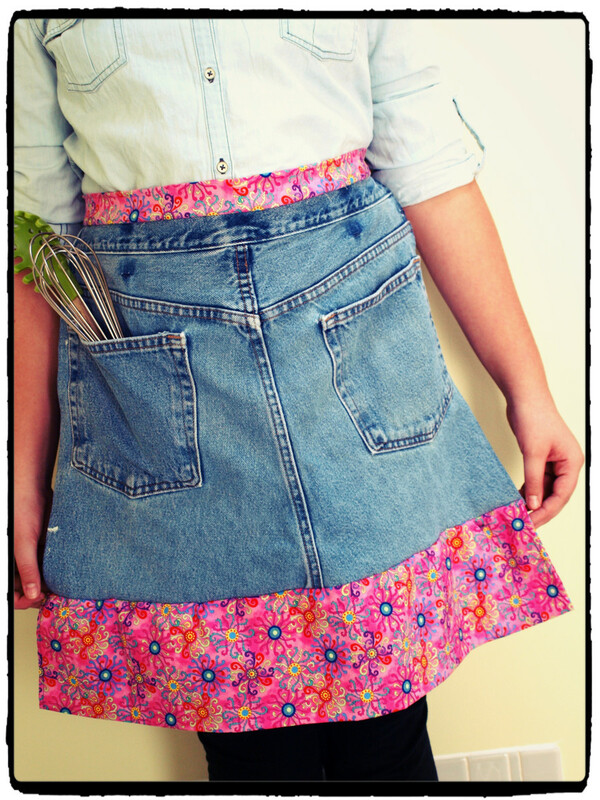 It's easy with this step-by-step tutorial that includes detailed instructions and photos. 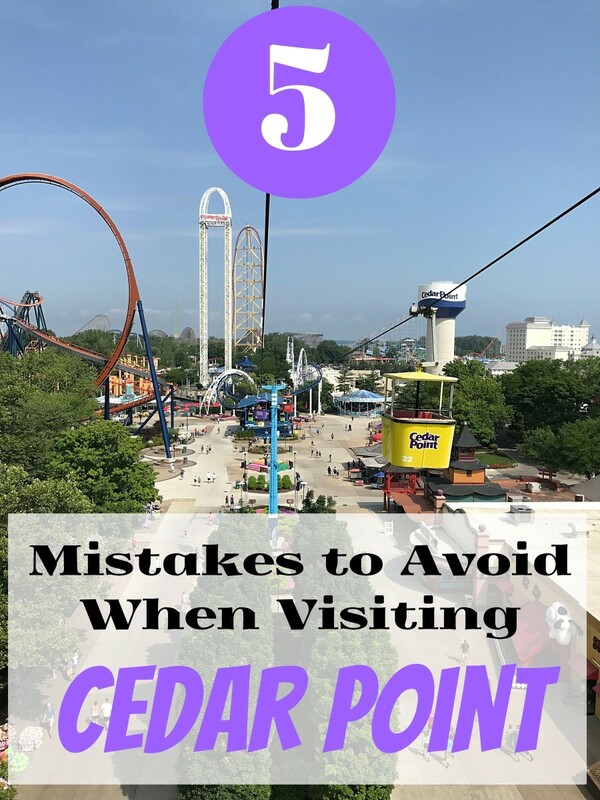 If you are planning a visit to the Cedar Point amusement park in Sandusky, Ohio, then check out this list of mistakes that we made on our trip this past summer. We had a terrific time, but it would have been that much better if we had done a little research first. Not sure what to do with all of those seashells you brought home from the beach? 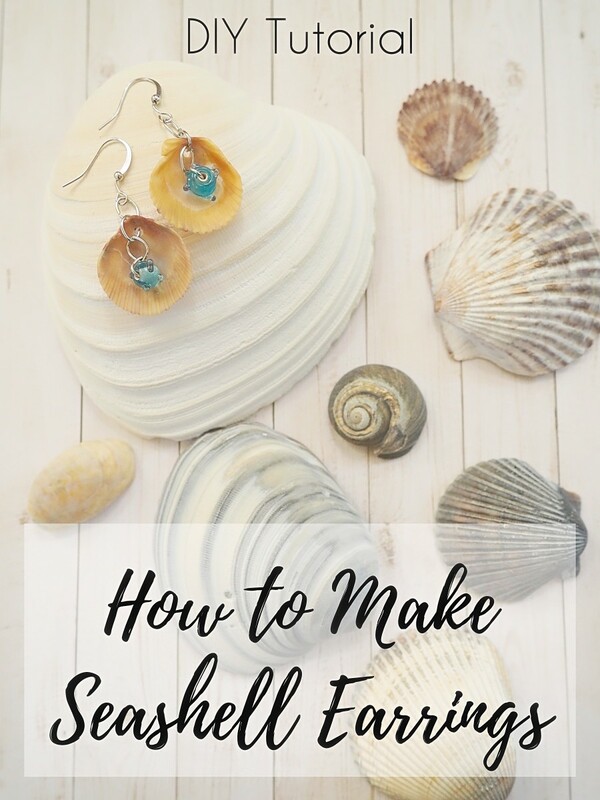 Learn how to make these fun and flirty seashell earrings. They are easy to make with this step-by-step jewelry making tutorial. 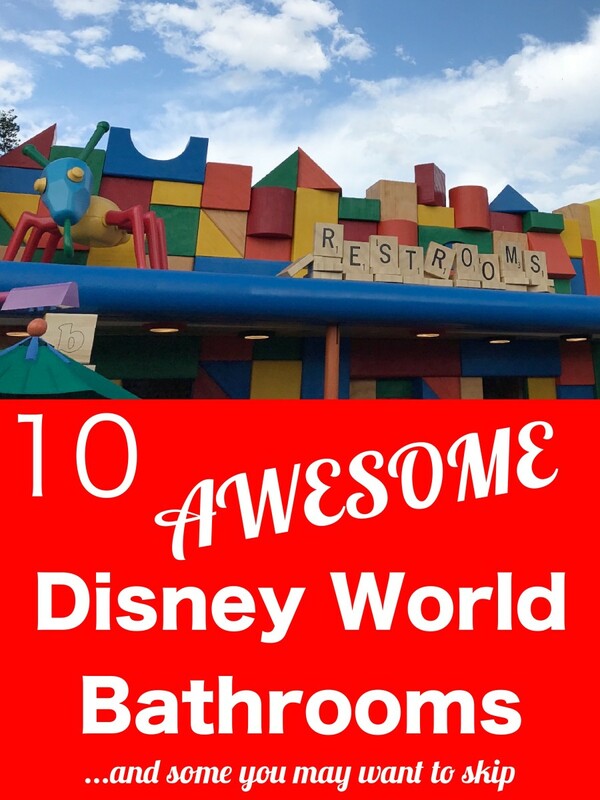 If you are looking for the most awesome restrooms that can be found at Disney World in Orlando, Florida, then check out this handy list. Everybody has to go sometime, and during a long day at the parks, it's nice to know which ones are good to use. 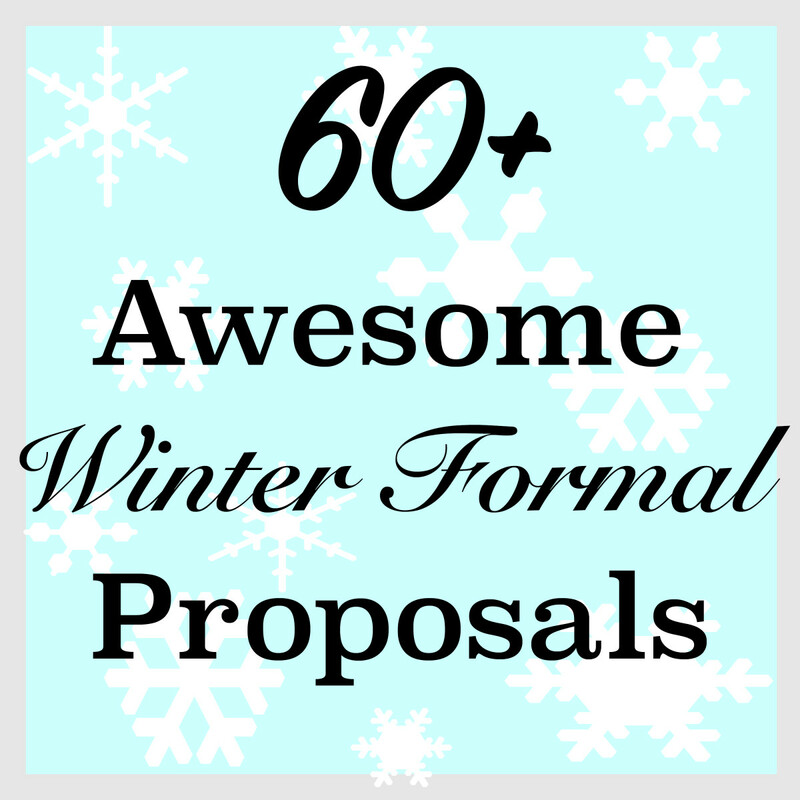 Looking for that perfect Winter Formal dance proposal? Can't find a theme you like? Look no further than this list of more than 60 fun and creative ideas covering all kinds of themes. 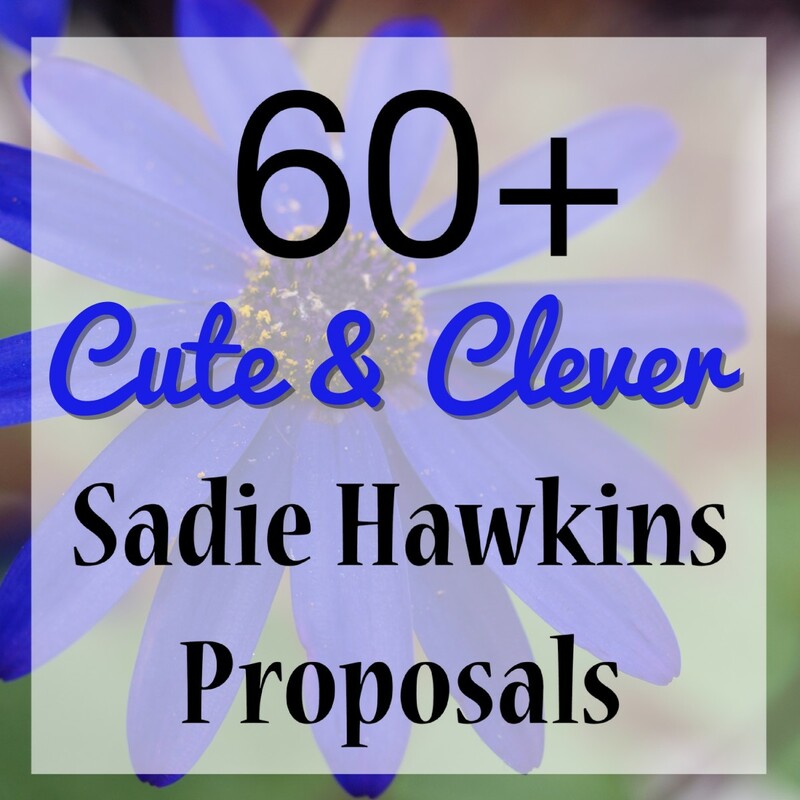 Looking for that perfect Sadie Hawkins proposal? Here are more than 60 fun and easy ones to choose from. Your crush will find it hard to say no to one of these. Looking for a unique and easy Halloween craft to make your party more festive? 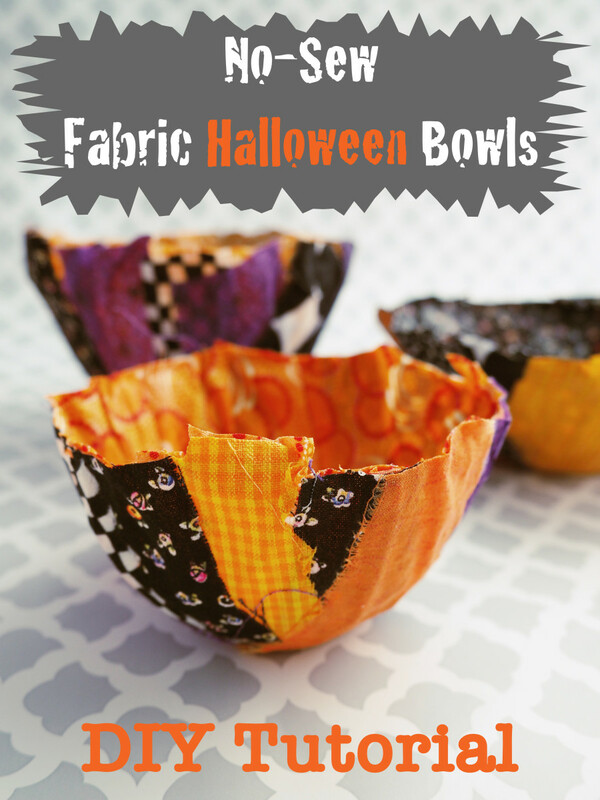 Then check out this no-sew DIY fabric bowl tutorial. 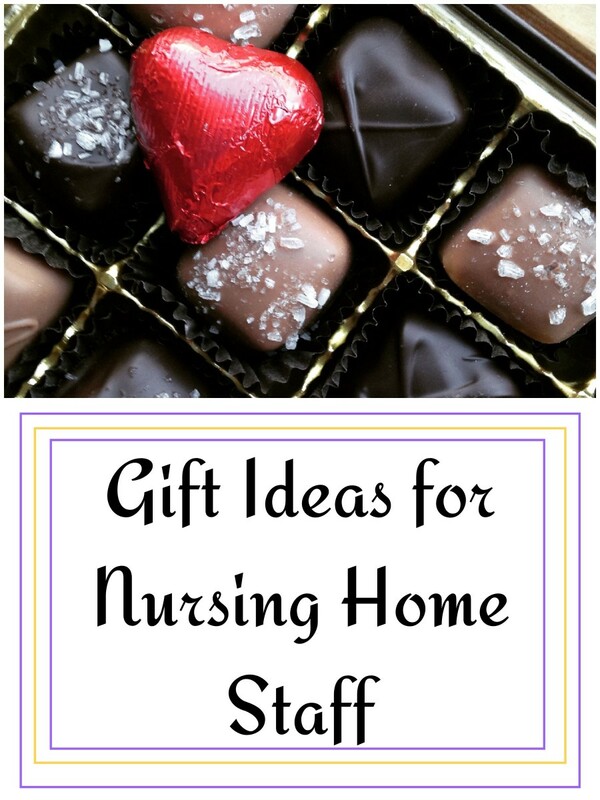 Filled with wrapped candy and fun trinkets, they make great party gifts too. 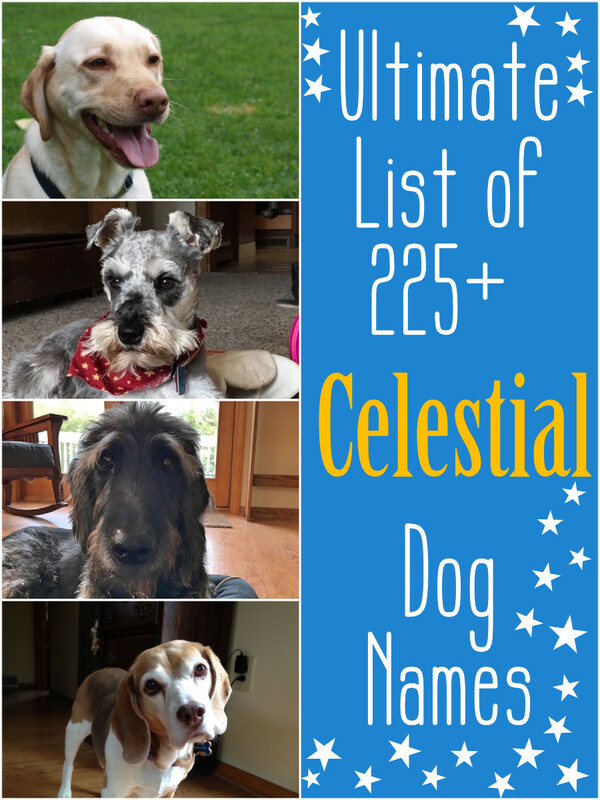 If you are looking for some celestial inspiration for your new puppy's name, check out this list of over 225 choices. Whether you are an amateur astronomer or just like to gaze at the stars in the sky, you're sure to find that perfect name. 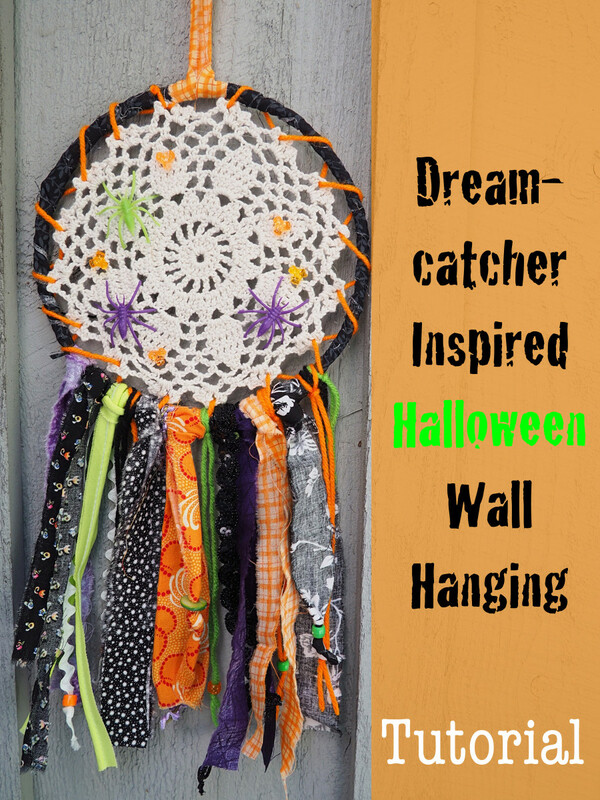 Look no further than this fun and festive Halloween wall hanging, inspired by dreamcatchers, if you are looking for a craft project. 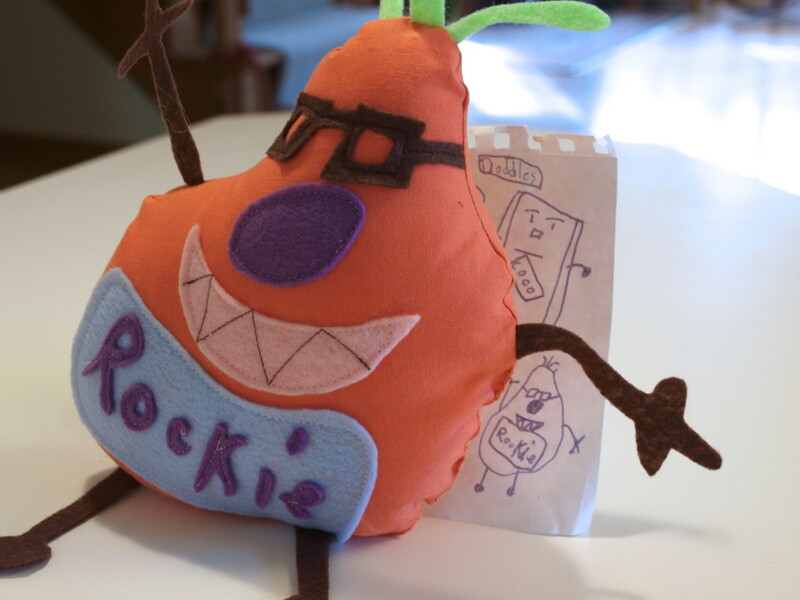 It's easy to make using this tutorial that has detailed instructions and photos. 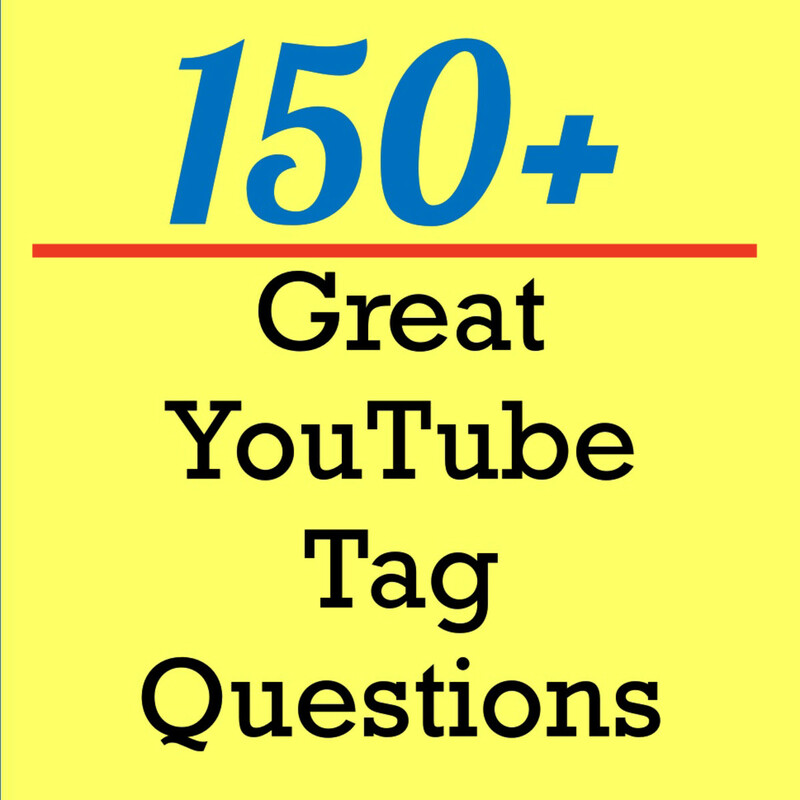 Not sure what to ask in your tag video? Check out more than 150 of the best questions to get you started. There are some for roommates, best friends, getting to know you, siblings, girlfriends, and boyfriends. 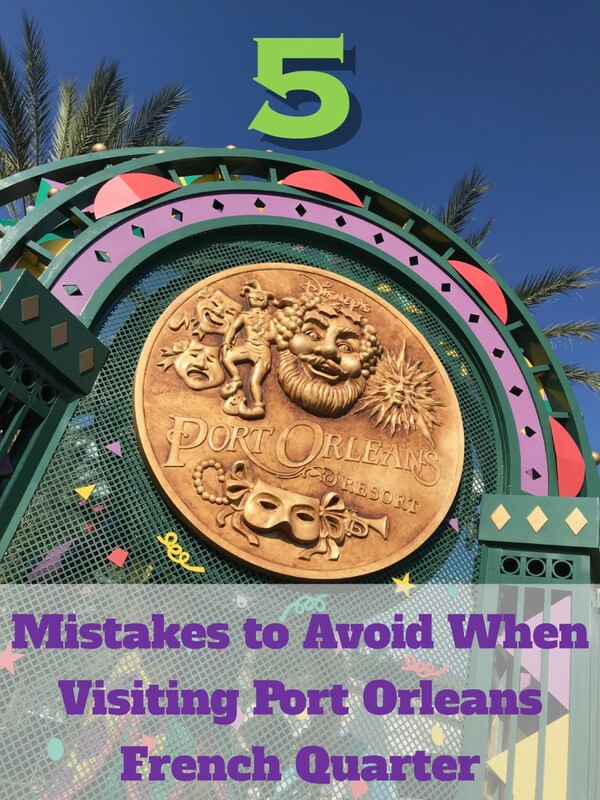 If you are planning to stay at Disney's Port Orleans French Quarter Resort, here are five mistakes not to make while you're there. 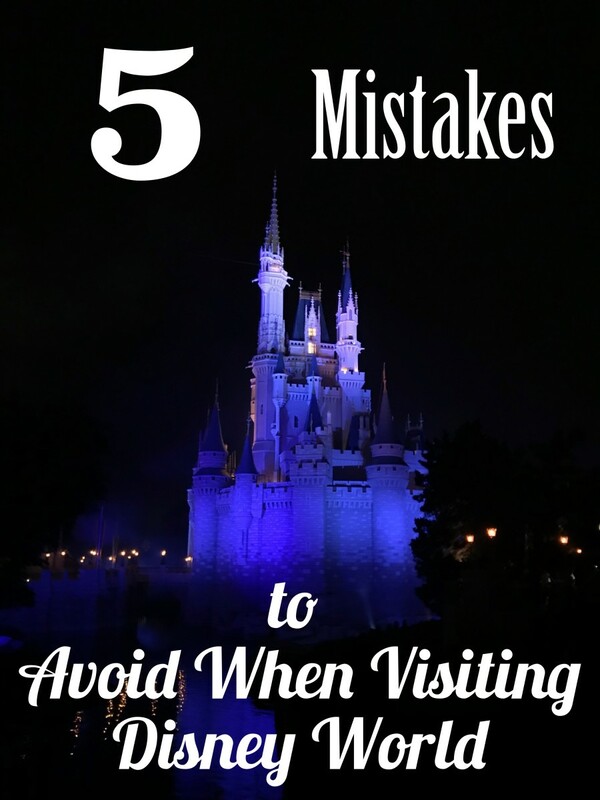 If you are planning a visit to "the most magical place on earth," make sure you avoid some of the mistakes we made on our recent trip. In this article, you'll find lots of handy tips and a few highlights to help you make the most of your time at Disney World. 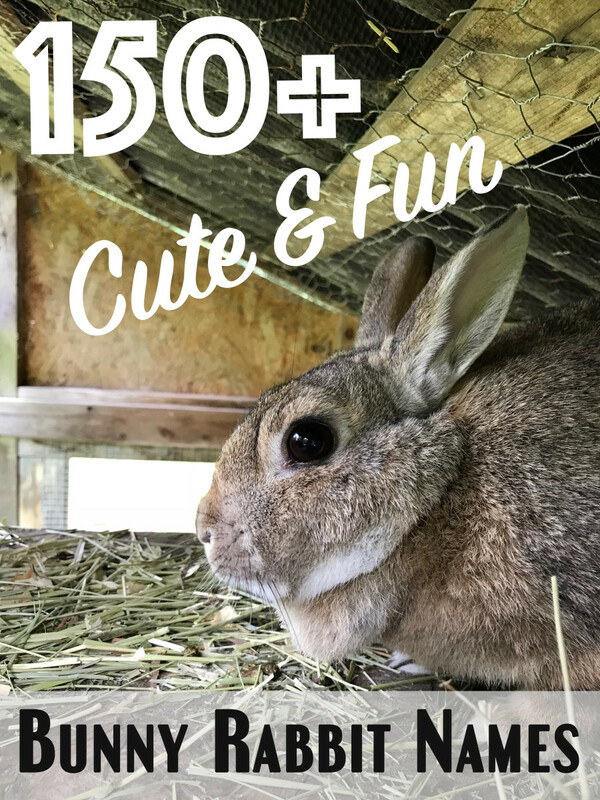 Looking for that perfect name for your new bunny rabbit? 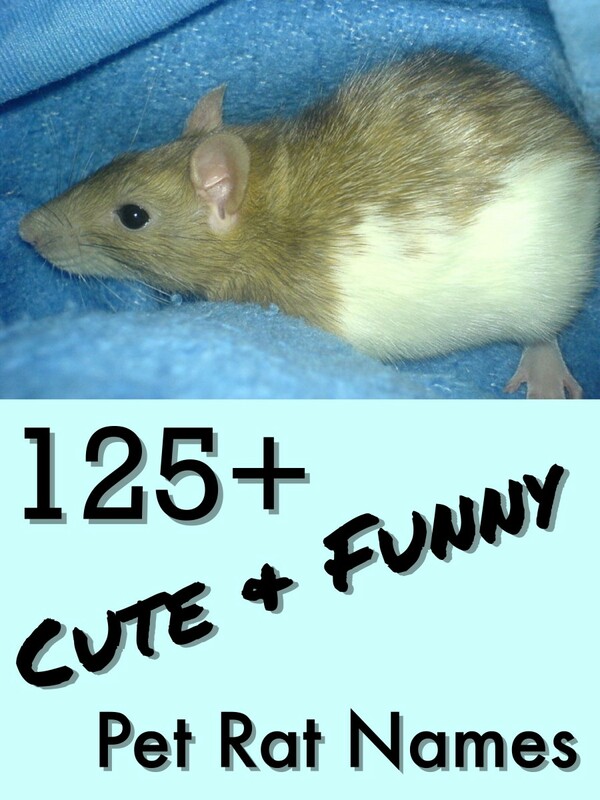 Here is a list of over 150 to choose from. 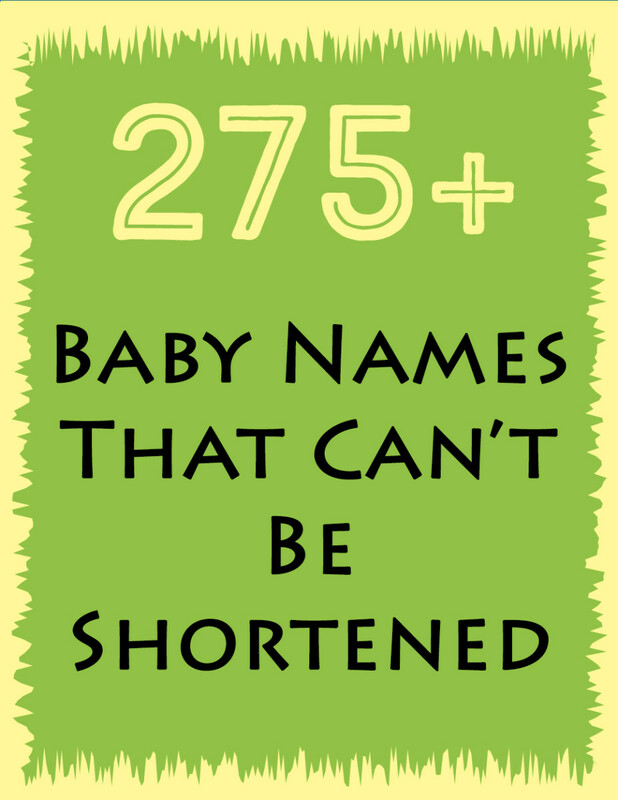 If you are looking for baby names that can't be shortened, then here is the list for you. 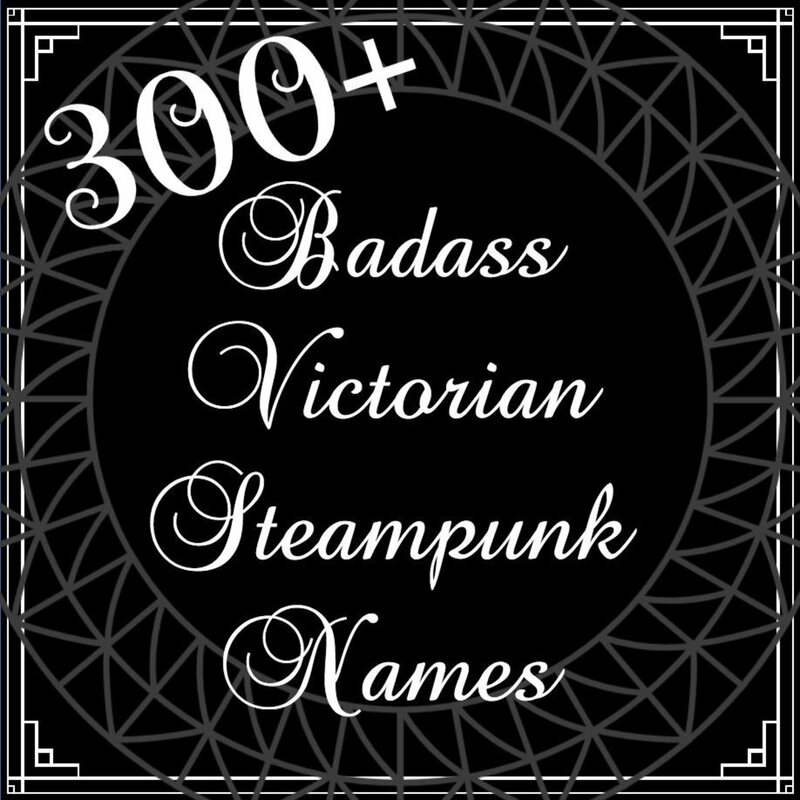 You'll find over 275 boy and girl names. 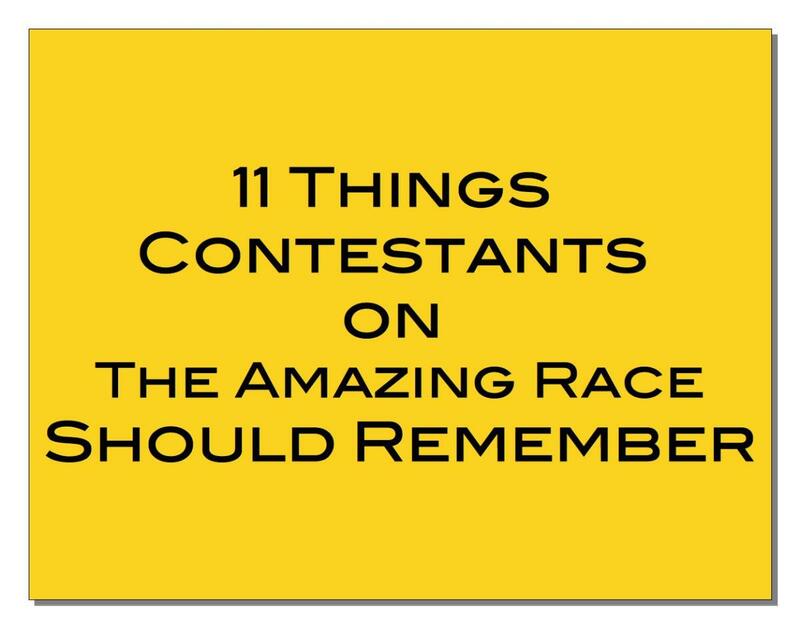 Included are biblical ones, famous people, fictional characters, and the most popular ones from 2017, in addition to a list of almost every name you can think of. 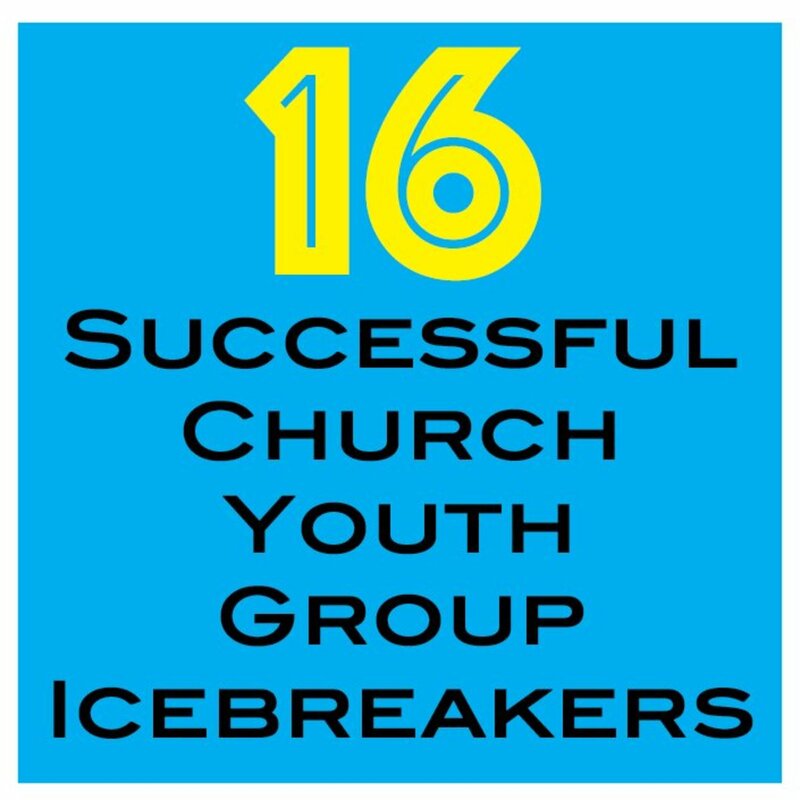 If you need ideas for a great icebreaker for your youth group, look no further than this list. You'll find 16 that are good for all group sizes and ages and are sure to get your group together in no time. If you are thinking about visiting Ocracoke Island but aren't much of a beach fan, don't worry. 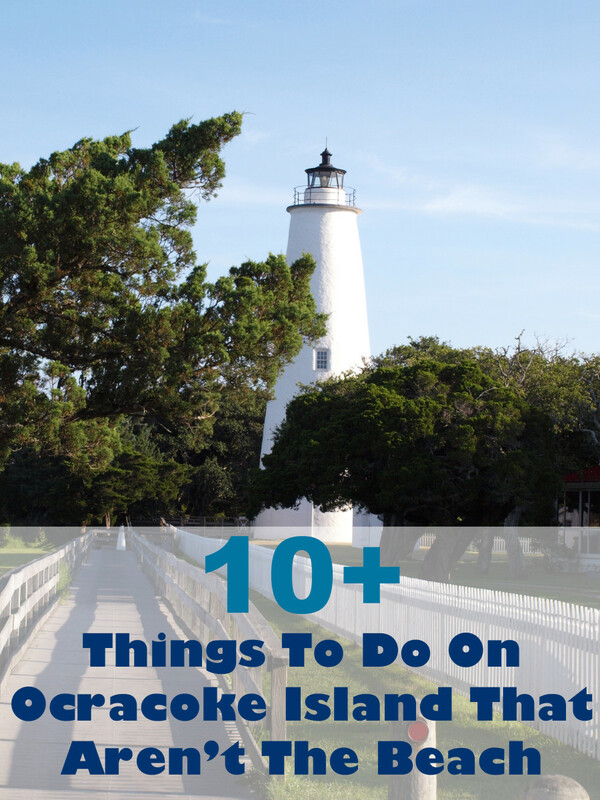 There are plenty of other things to do on this small island to keep you busy. Here are more than 10 ideas to help make your vacation a success! 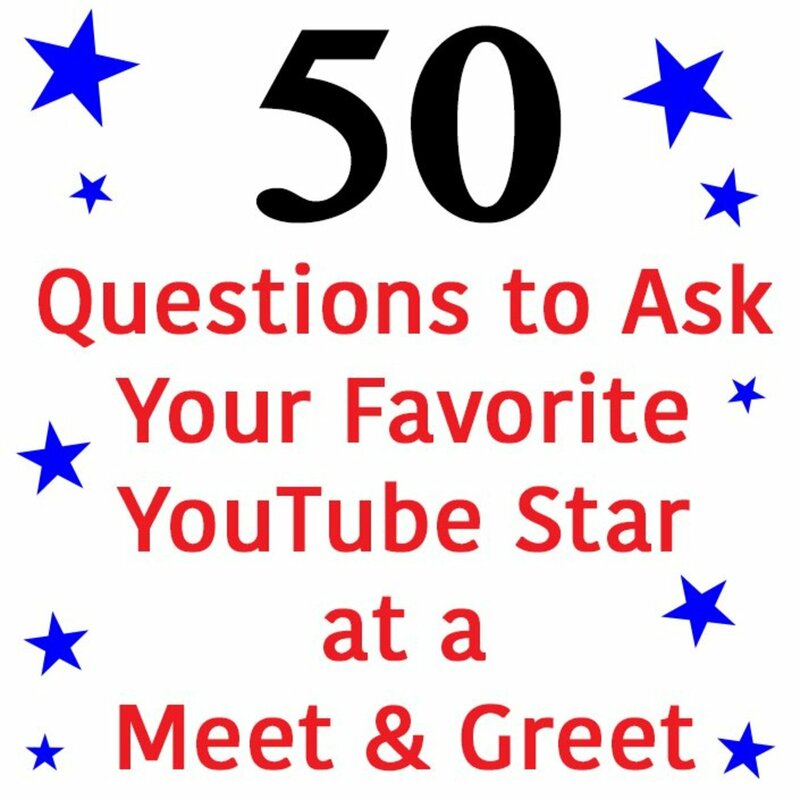 You have tickets to meet and greet your favorite YouTube video star, but what are you going to ask them? 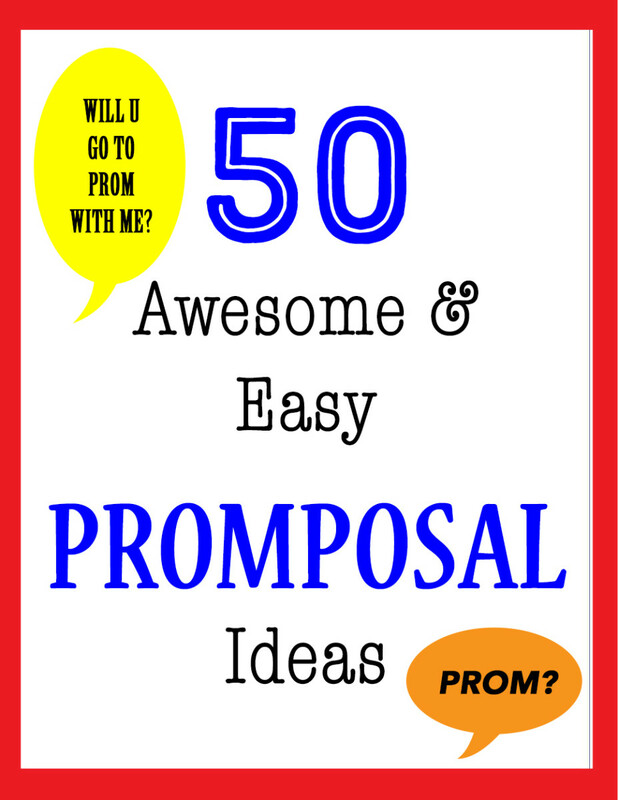 Here are 50 ideas to get you thinking. 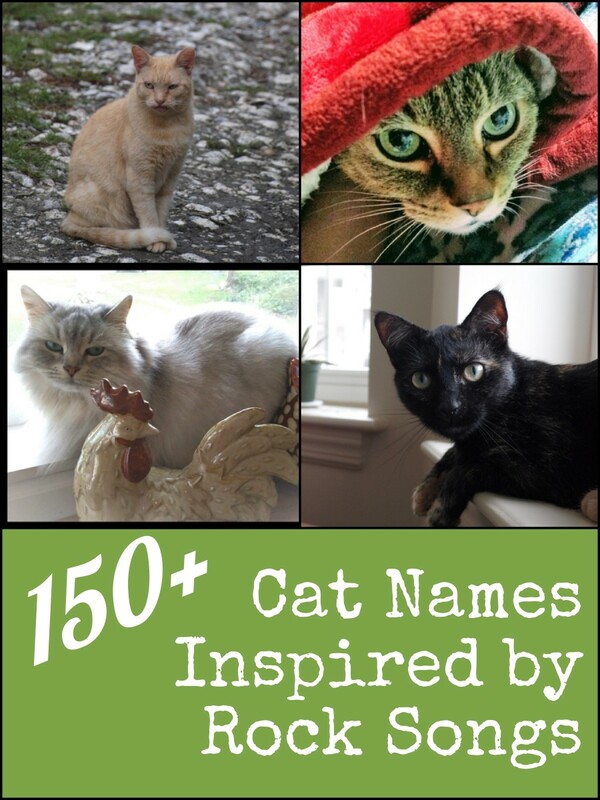 Coming up with a great name for your cat isn't always easy, but if you are into rock music and are thinking about a musical name for your new feline friend, this list has you covered. You'll find over 150 ideas from classic, hard, Southern, punk and folk rock. 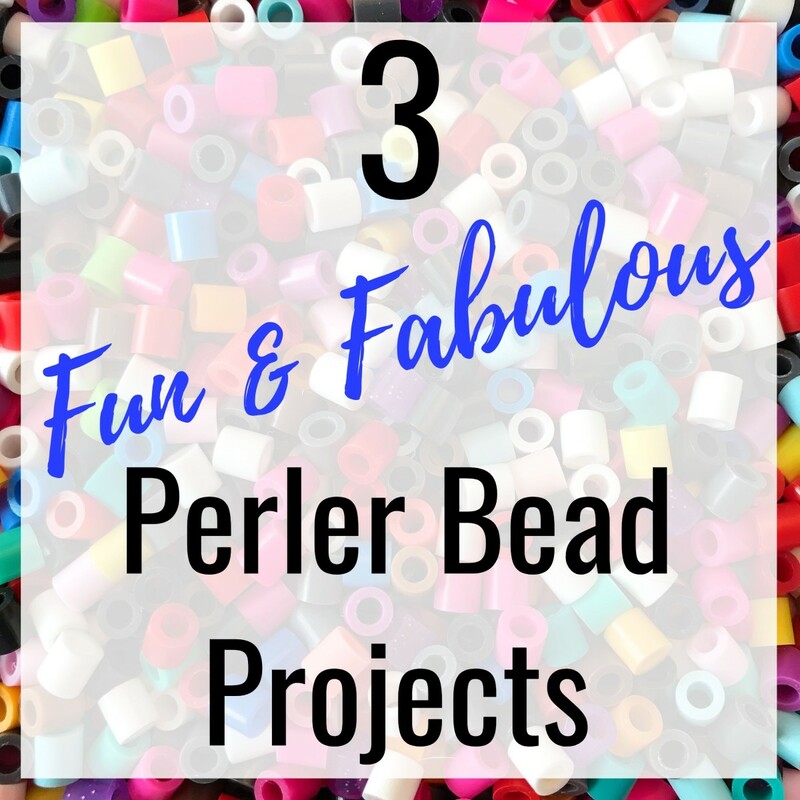 Looking for a fun, fashionable, and usable craft? 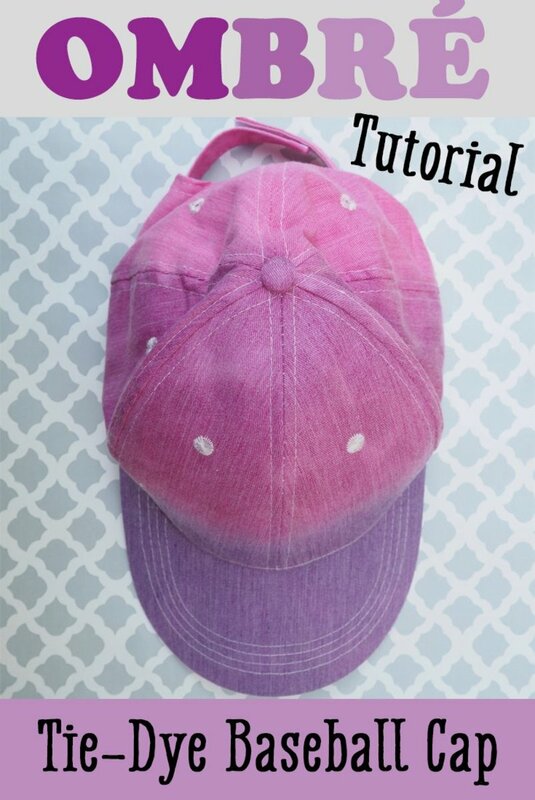 Here's the solution: an ombré tie-dyed baseball cap. It's fun to do with this easy-to-follow tutorial. 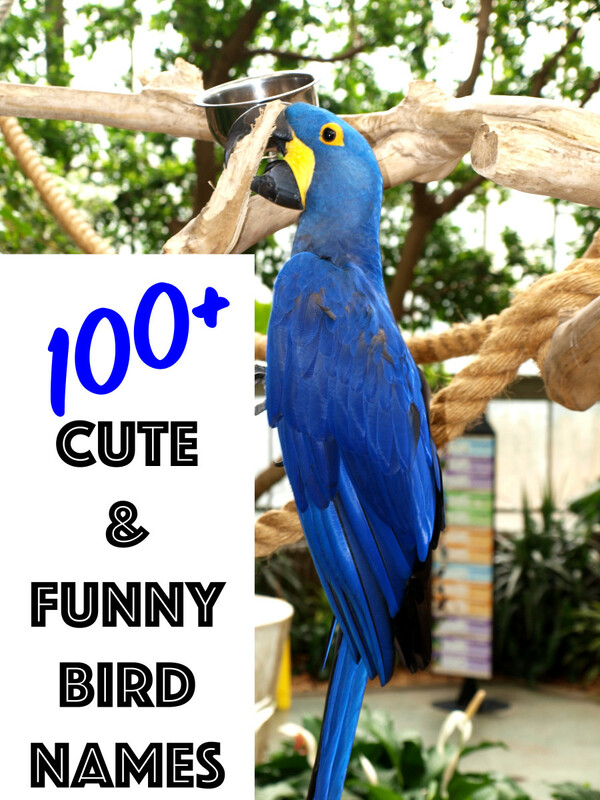 Did you just get a bird or are you thinking about getting one? Here's a list of names for all types of birds. Some are cute, some are funny and there are even some famous ones thrown in. 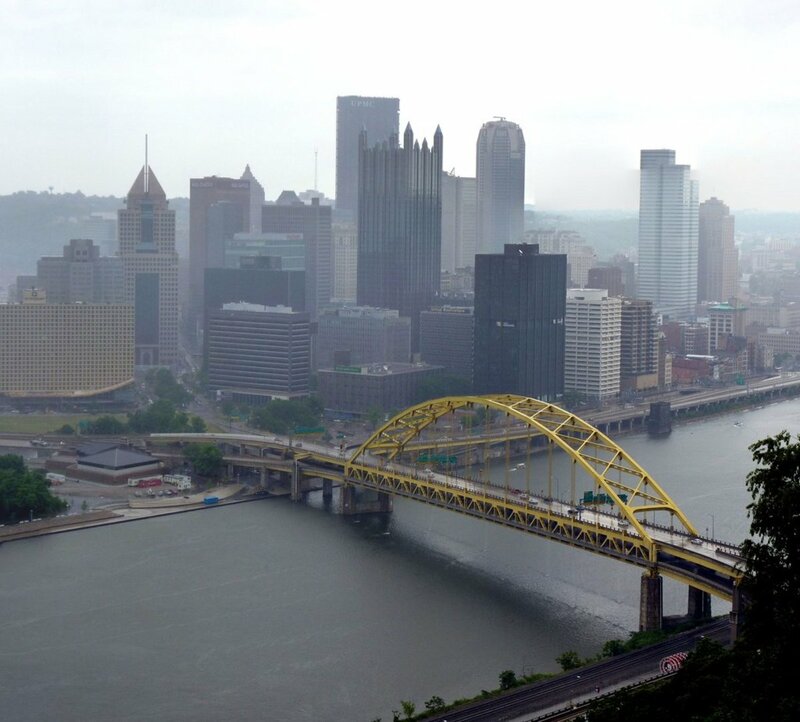 Planning a visit to Pittsburgh, Pennsylvania? There are a few things you should avoid so your trip doesn't get spoiled. But don't be fooled, there are loads of fun things to do in this great city as well. 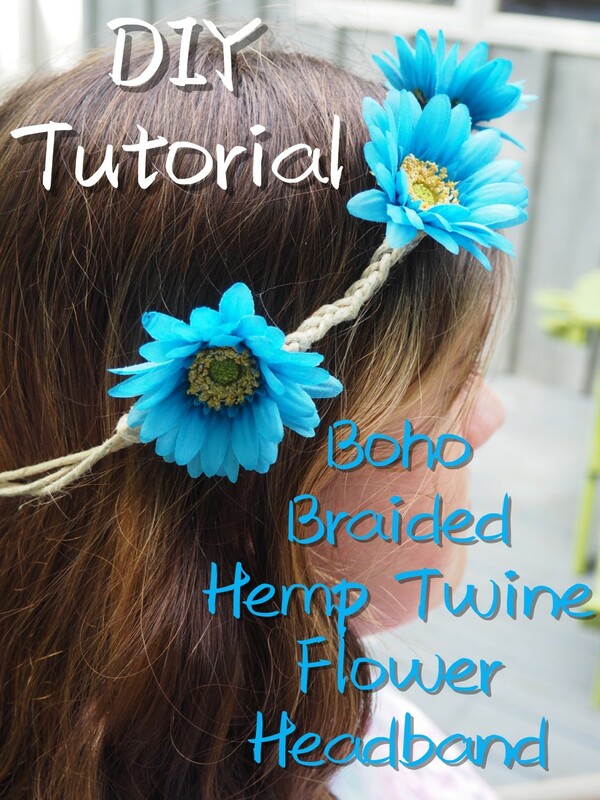 Wish you knew how to make one of those Boho headbands you see at all of the music festivals? Need a pretty head piece for a DIY wedding? Here's an easy-to-follow tutorial with written directions and step-by-step photos. With only a few supplies, you'll have one for yourself in less than an hour. Not sure what to name your new puppy, and do you love rock music? 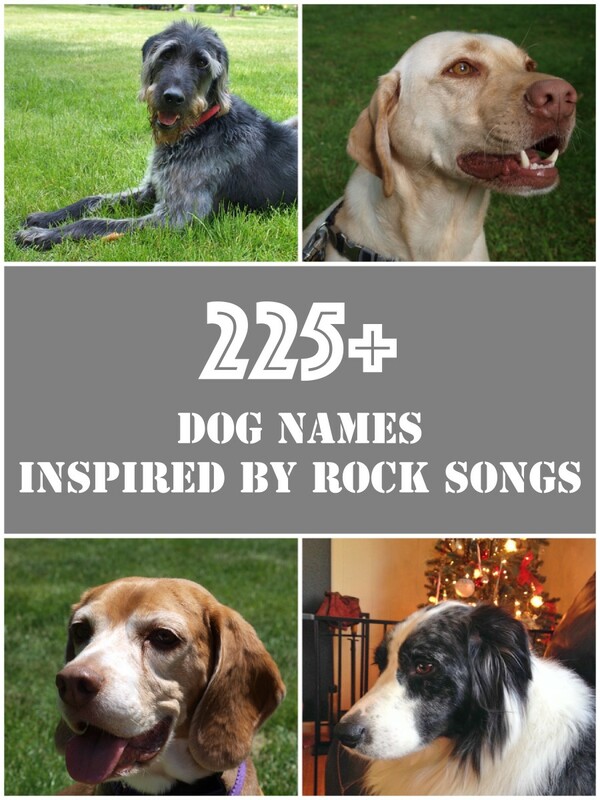 Here are more than 225 rock-inspired names to choose from. The lists are broken down by heavy metal, classic, punk, southern and folk rock categories, so there is something for every personality. 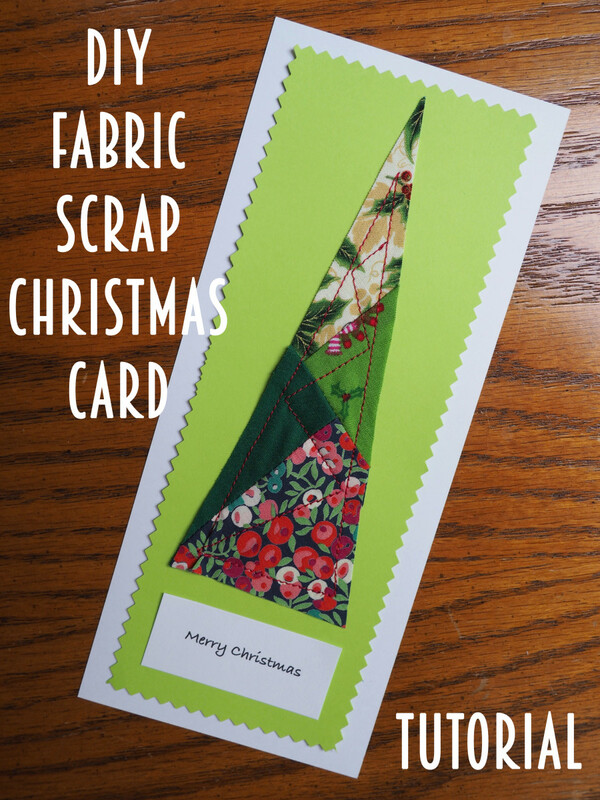 Try making these unique homemade Christmas cards for your friends and family. 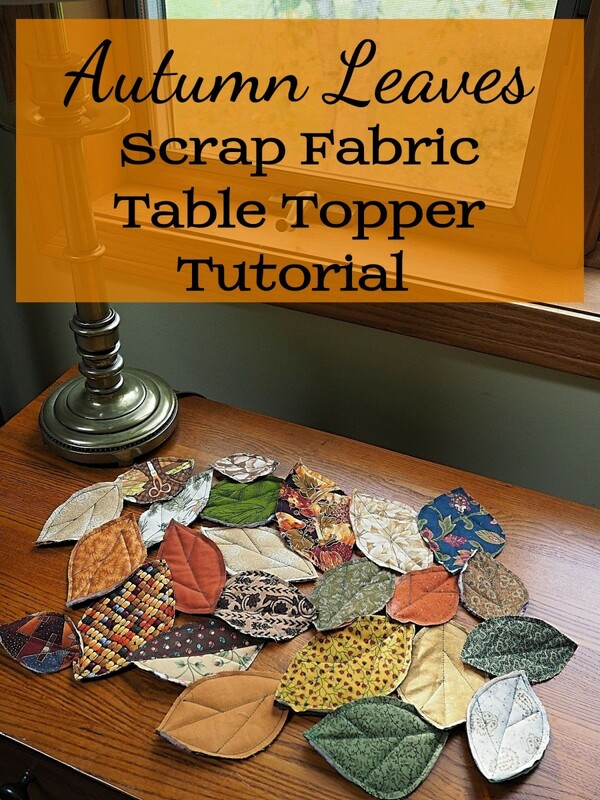 They are the perfect scrap buster for all of those leftover fabrics you have in your sewing room and they're a snap with this easy step-by-step tutorial. 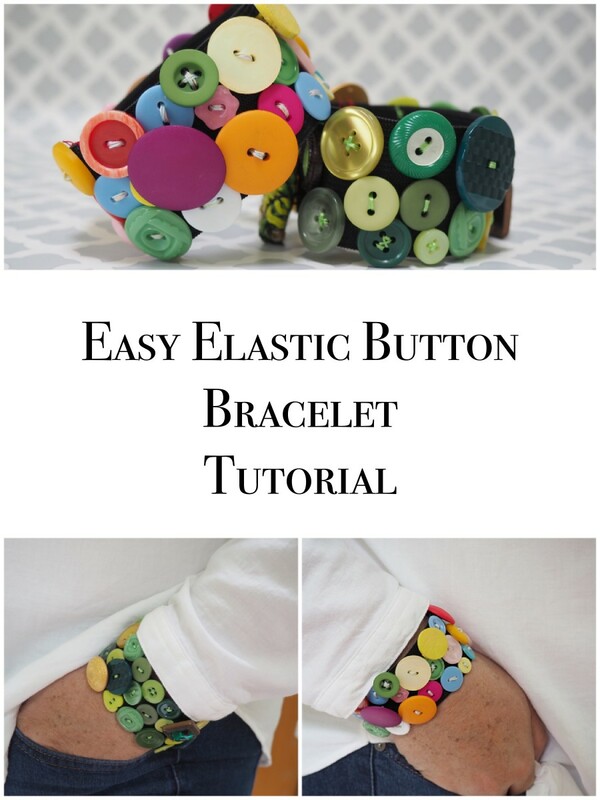 Follow this easy step-by-step tutorial, which includes photos, to make this fun, funky and flirty elastic button bracelet made with repurposed buttons. It only takes a couple of hours, and you probably have most of the supplies on hand. 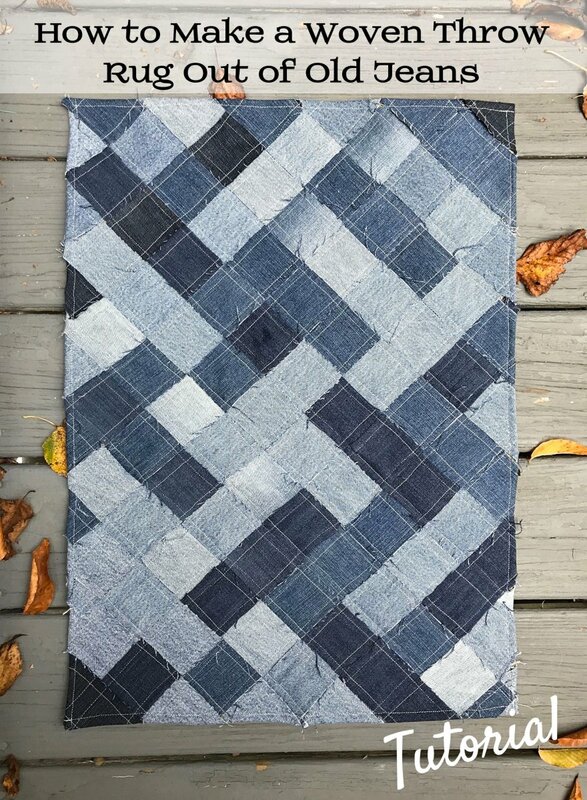 Don't throw out those old jeans and fabric scraps. 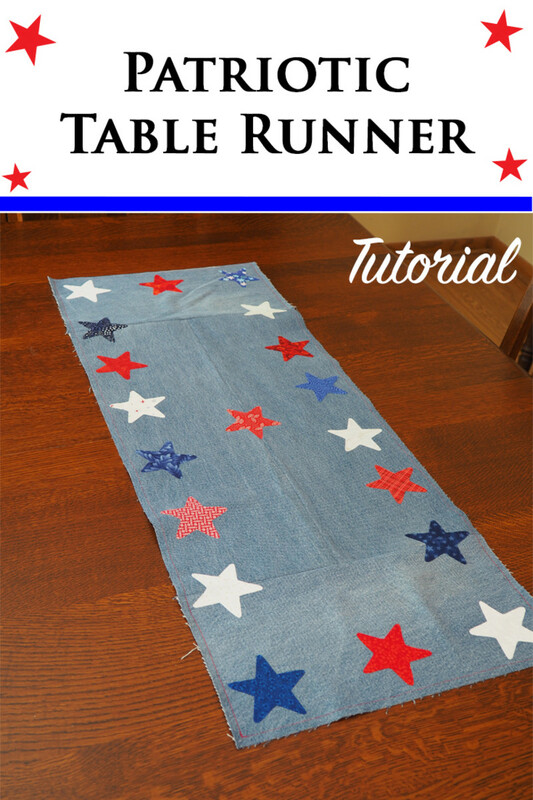 Repurpose them into this cute and festive table runner. The entire project only takes a few hours. Easy-to-follow instructions and step-by-step photos are included. Still can't decide on a name for your baby girl? 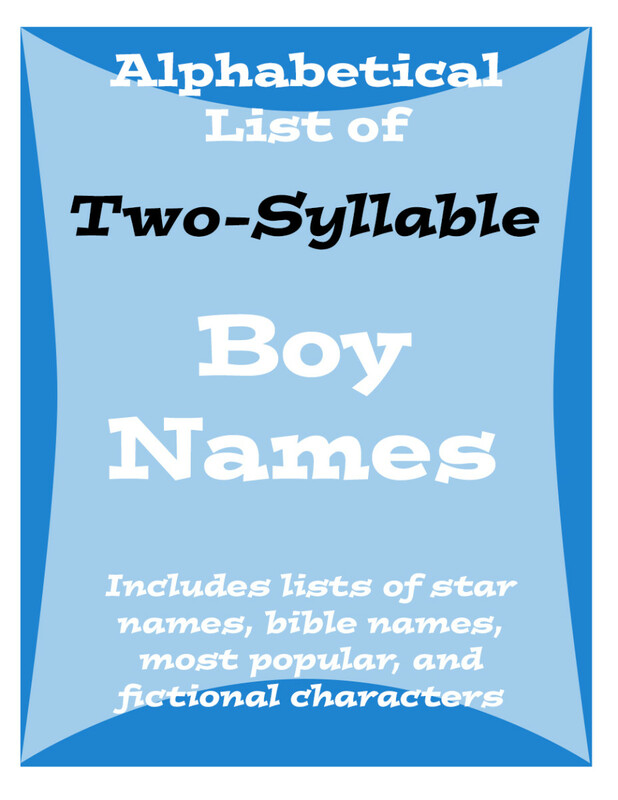 Ever thought about a two-syllable name? Here are loads of options for you, including famous ones, biblical ones, popular ones and even fictional characters. 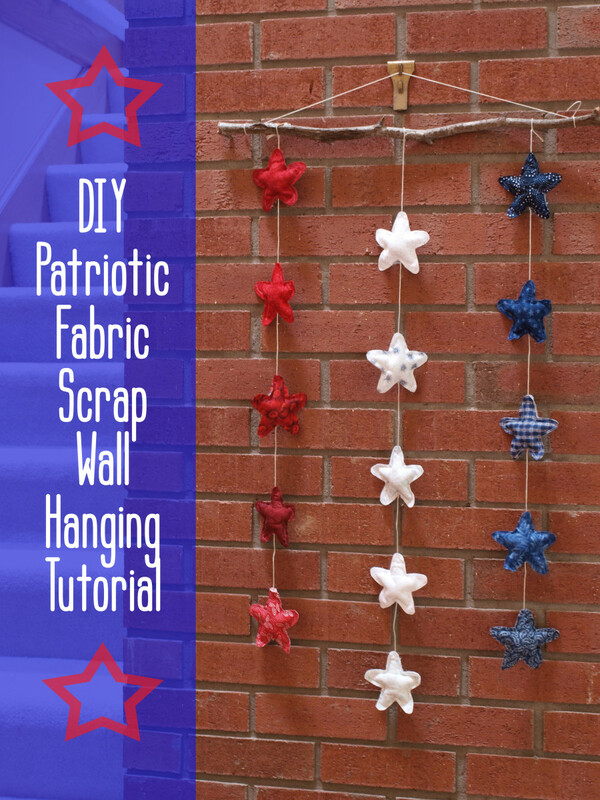 A perfect fabric scrap buster, this rustic patriotic star wall hanging is just the decoration you need for the Fourth of July, Memorial Day, or anytime you want to show off your patriotism. 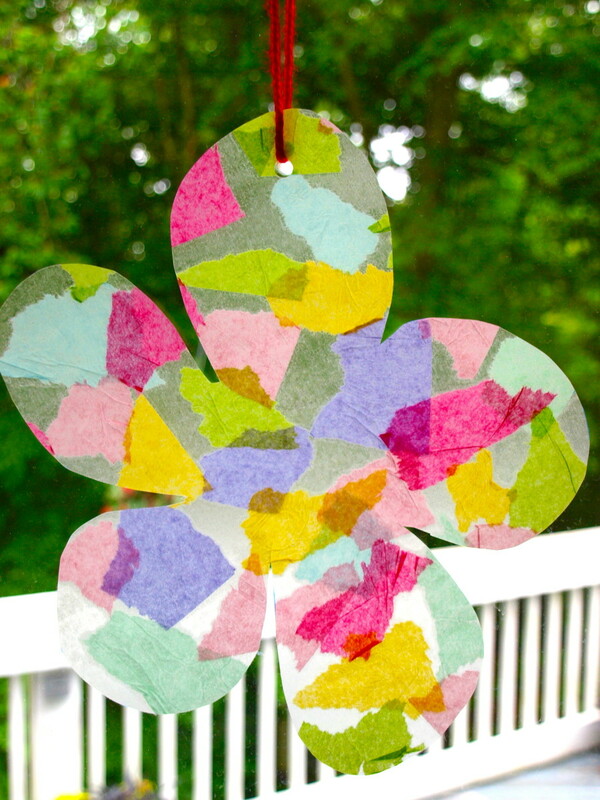 Follow the easy step-by-step instructions, and you can finish this craft in an afternoon. Is your youth group looking for ways to make money for your next mission trip or big event? 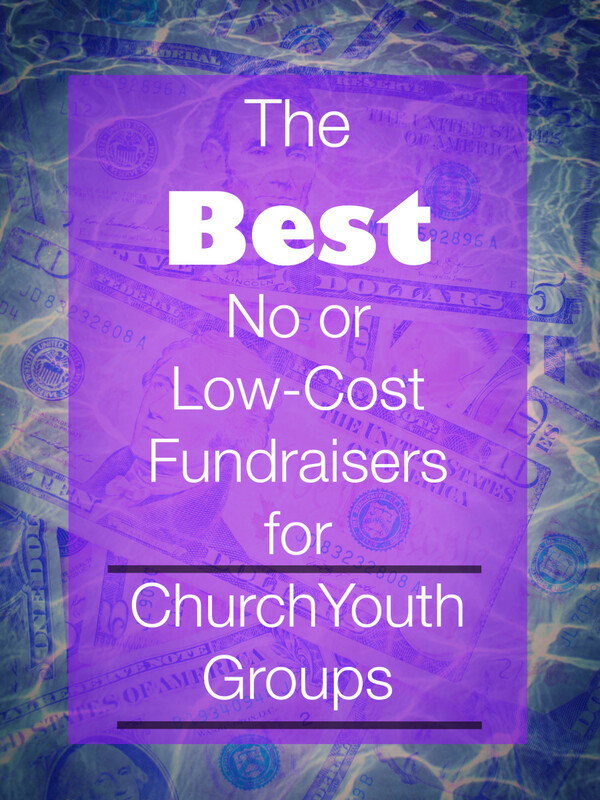 Here are some of the best low or no-cost fundraising ideas. 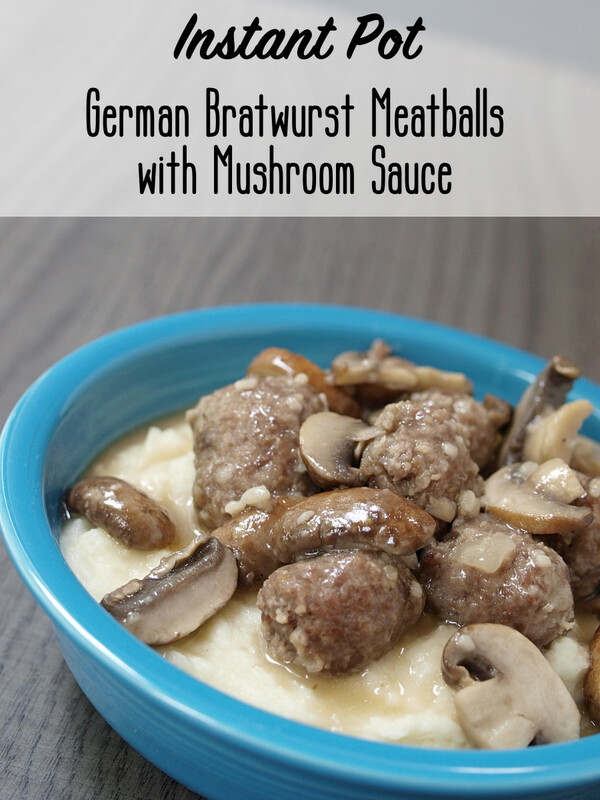 A new twist on an old favorite, these bratwurst meatballs with mushroom gravy, made in an Instant Pot, are sure to be a hit with your family. 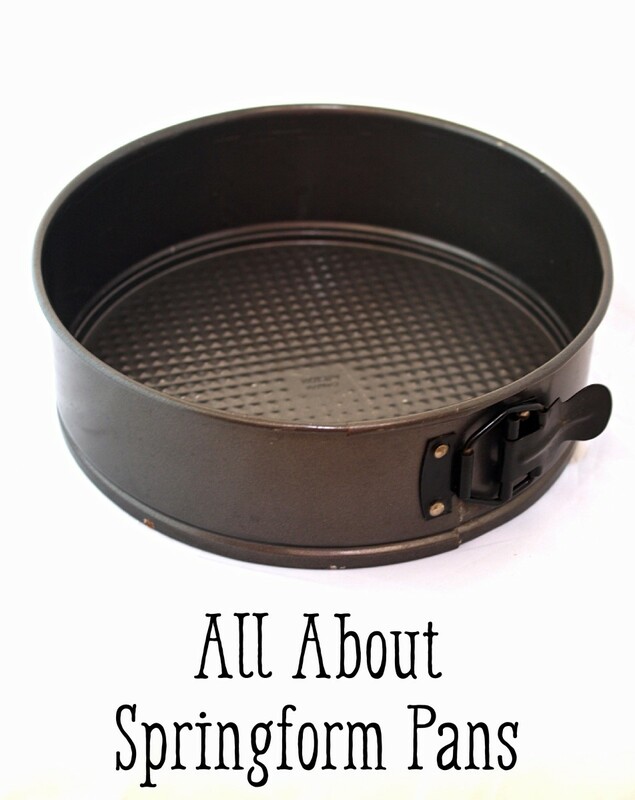 Thinking about using a springform pan? Everything you've ever wanted to know about them is right here in this article. You'll be cooking up a storm in no time. Looking for names for your baby boy? Love the sound of two-syllable names? Here are some ideas for you. 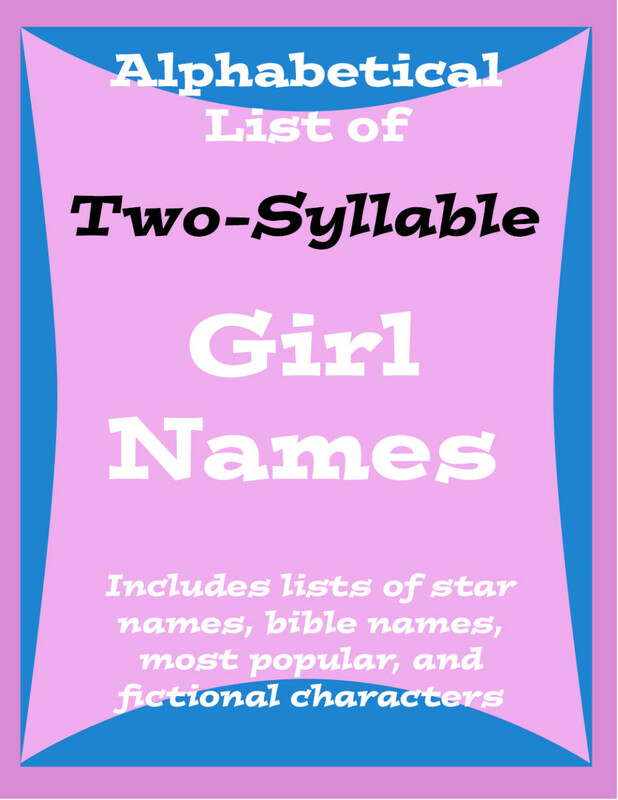 Included is a list from A - Z, a list of stars with these types of names, a list of the most popular ones, a list of biblical one and a list of fictional characters. First time at a track and field meet or first time on a team? 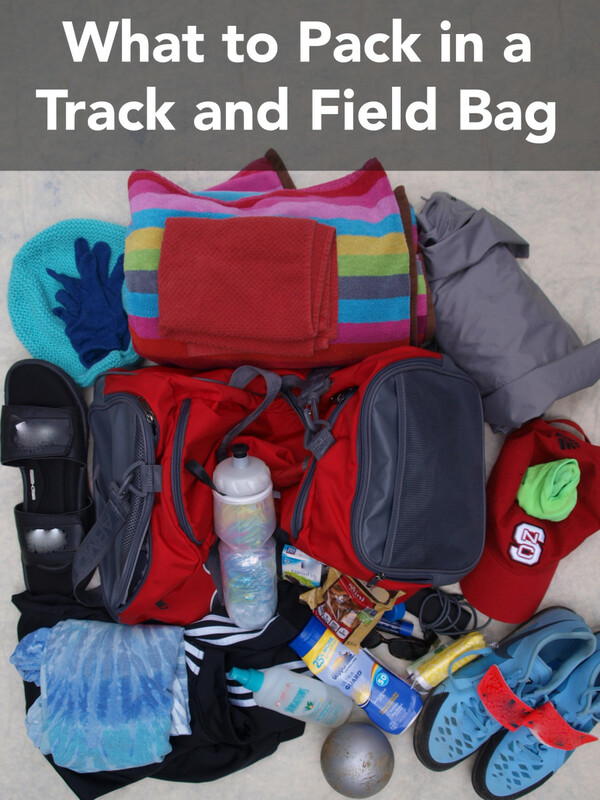 Here is a list of suggested items that you should be packing in your bag. Looking to jazz up your youth group? Starting a new group at your church? 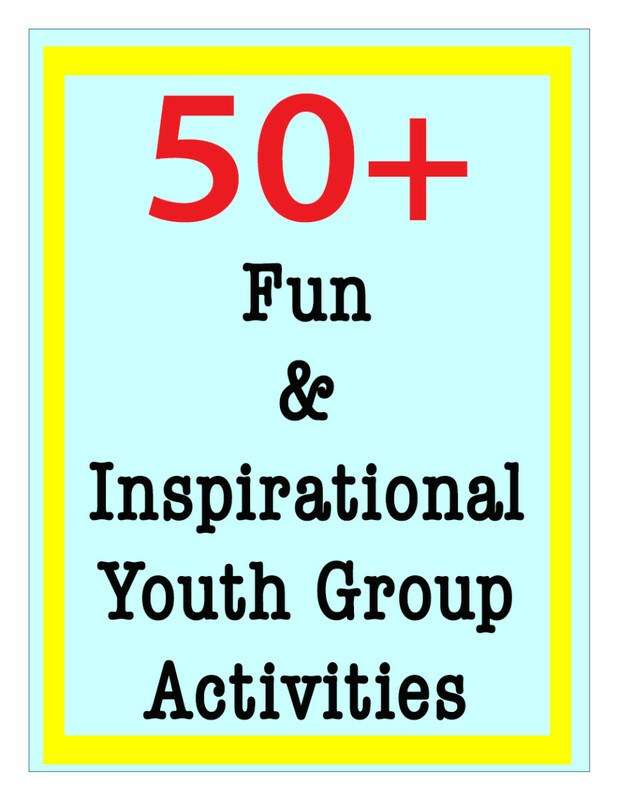 Here are more than 50 ideas that will make your weekly youth meetings the place to be! Getting ready for the big homecoming dance? Not sure how to invite someone? 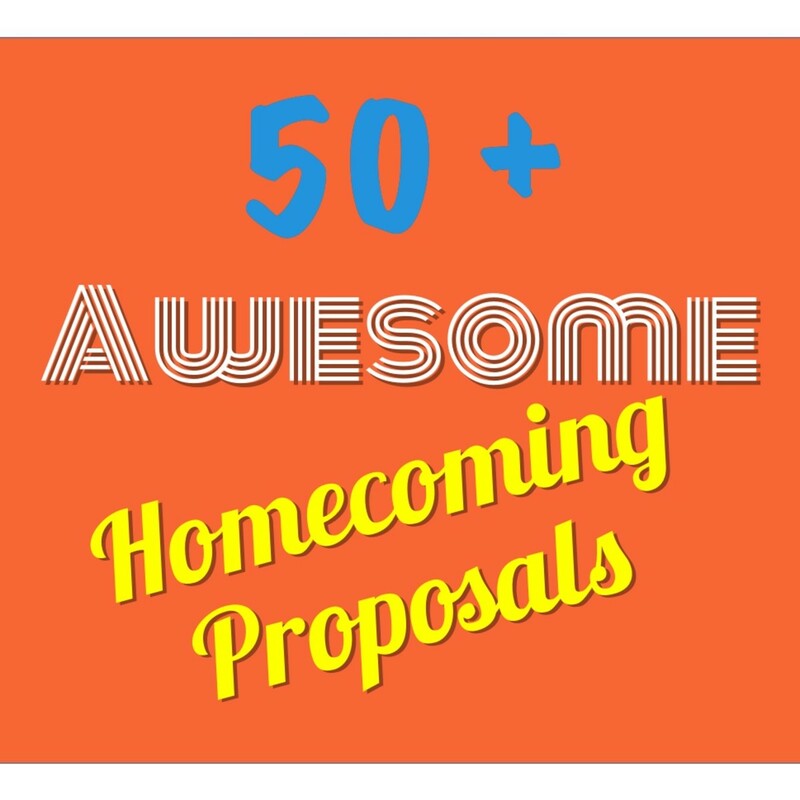 Here are more than 50 ideas that can help you make your homecoming proposal a huge hit! 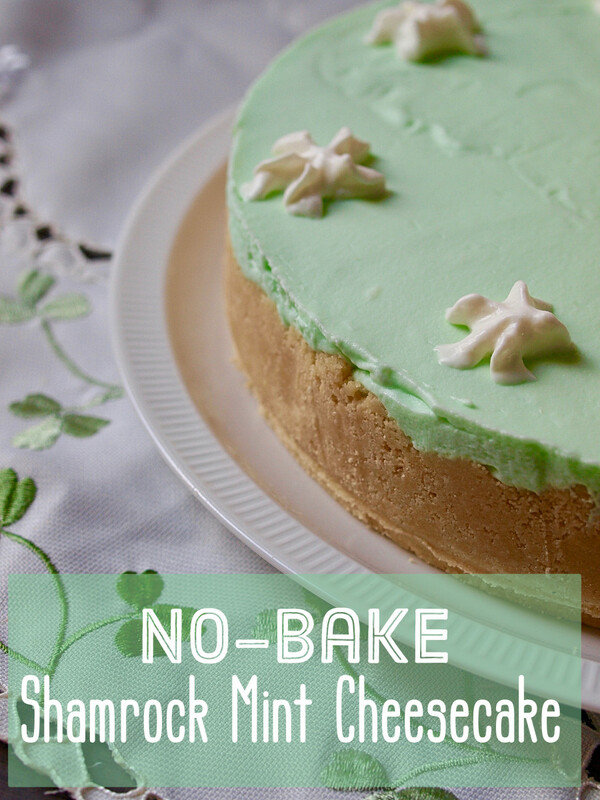 This no-bake mint cheesecake has a texture similar to a baked version and a delicious, light minty flavor. The cookie crust, along with the thick and rich filling, helps make this cake a real stand out among no-bake cheesecakes. 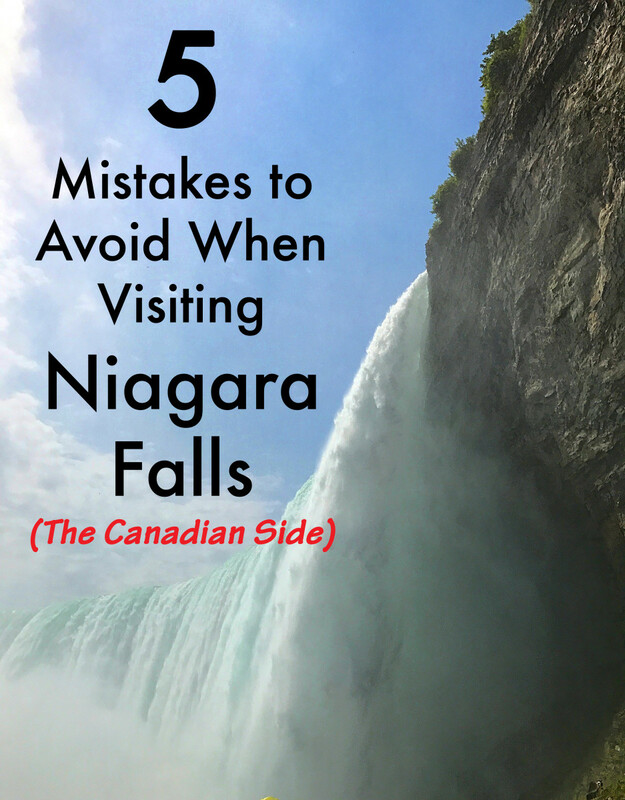 Planning a trip the to the Canadian side of Niagara Falls? 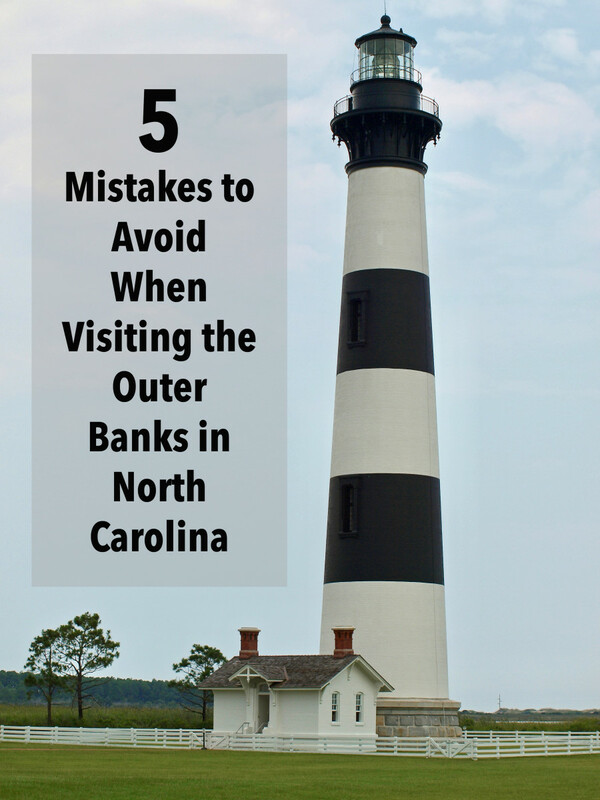 Check out these five mistakes to avoid and discover some fun places to visit. 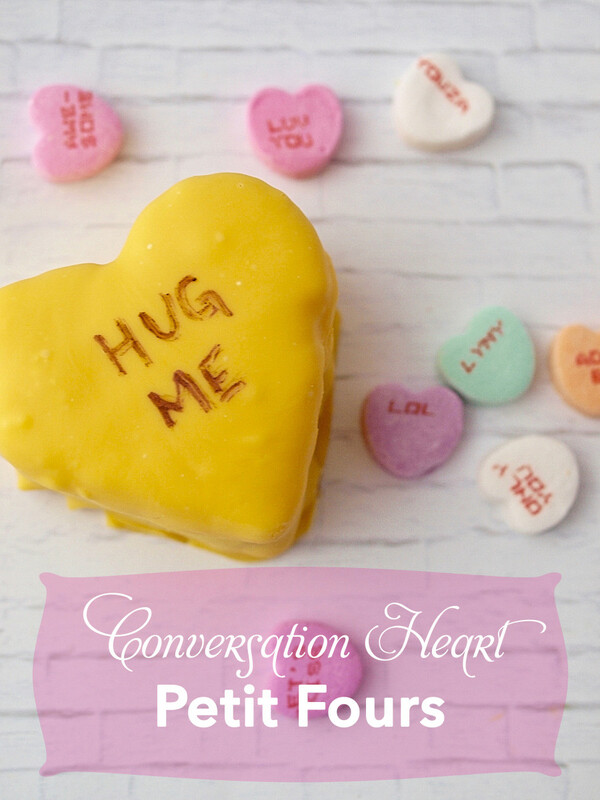 For a heartfelt personalized Valentine's Day treat, try making these conversation heart petit fours. They are delicious bite-sized treats that everyone will love! 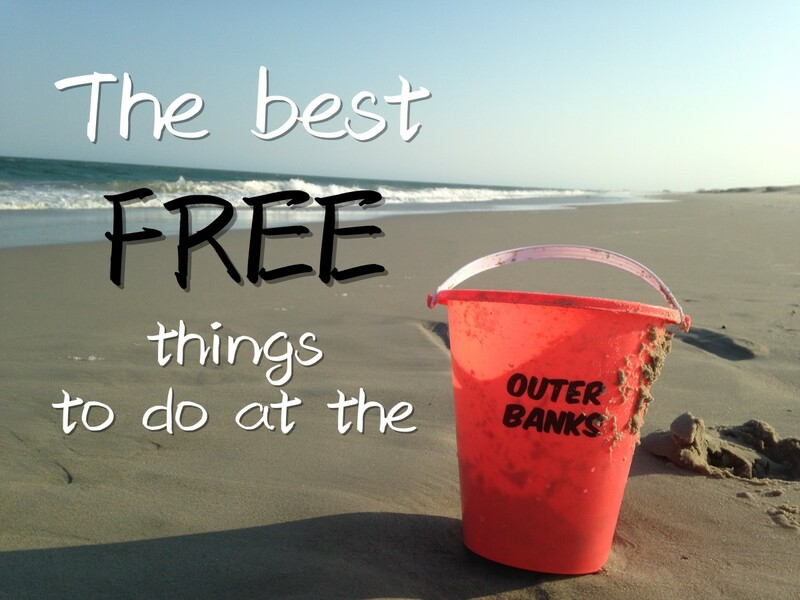 Planning a trip to the Outer Banks of North Carolina? Check out these possible pitfalls before you head out! 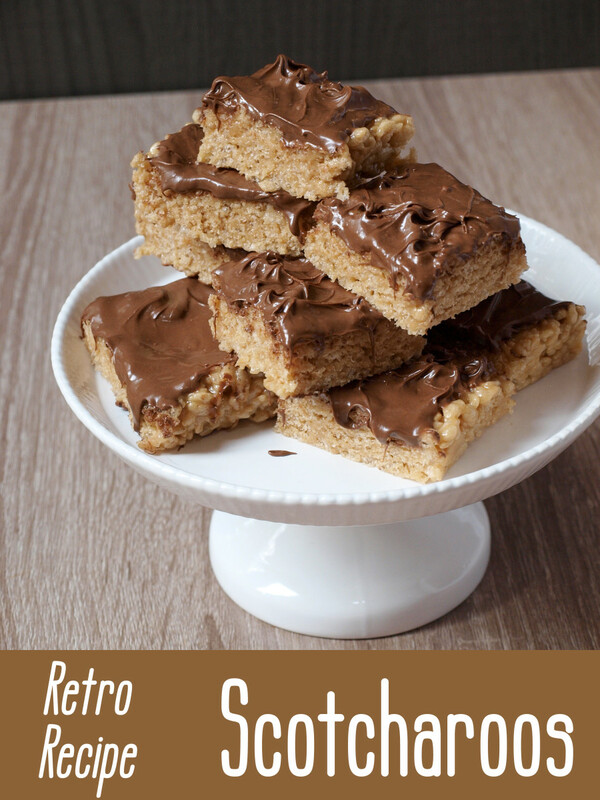 With chocolate, butterscotch, and peanut butter, Scotcharoos are one of the best sweet treats around. Find out how to make them with this recipe and step-by-step photo instructions. 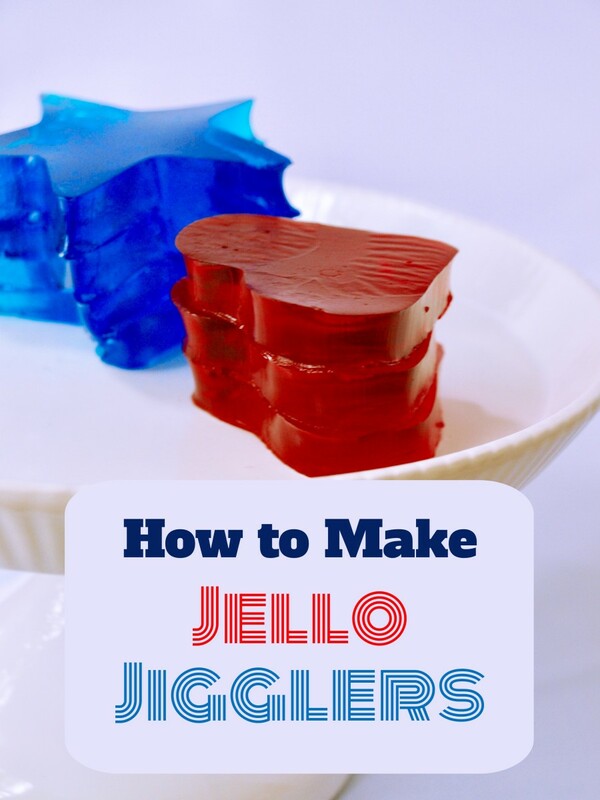 Delicious for any occasion, Jell-O jigglers are just about the easiest treat you'll ever make. In this article, you'll find step-by-step photos and written instructions, along with some helpful hints. 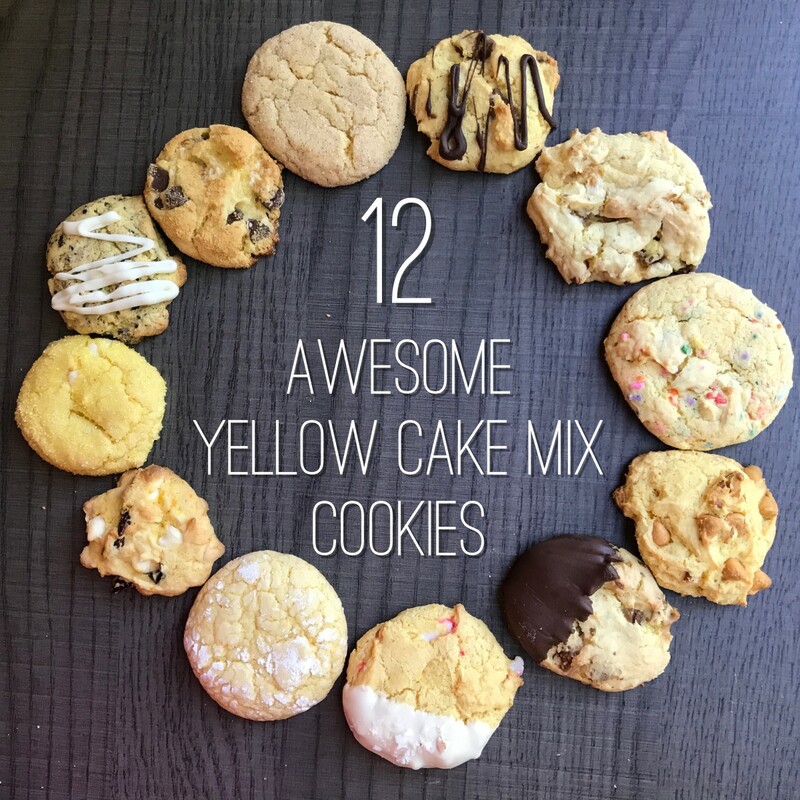 With a box of yellow cake mix prepared with a basic recipe and various mix-ins that you probably have on hand, you can create delicious cake mix cookies that taste like they were made from scratch. The perfect sweet treat for those of us keeping an eye on calories. Two cookies are less 100 calories, but packed full of flavor. 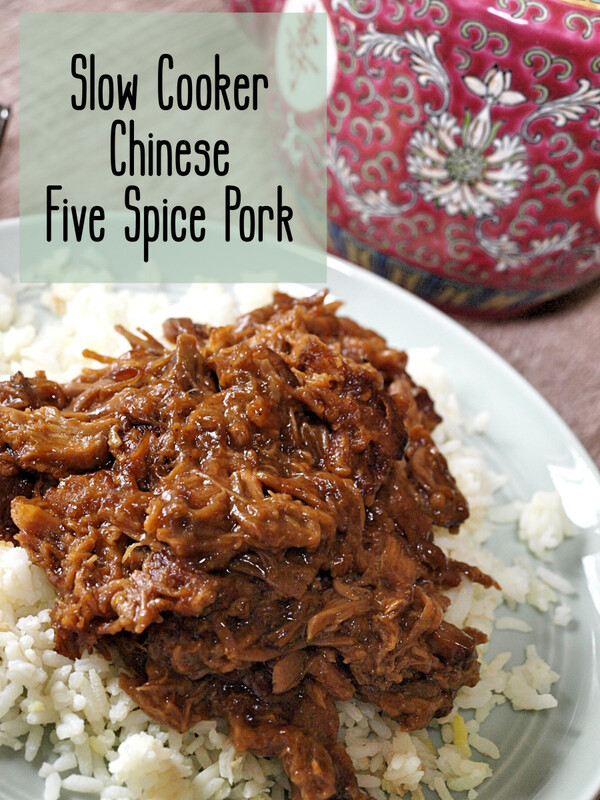 Add a little spice to your next dinner with this Slow Cooker Chinese Five Spice Pork. It takes 15 minutes to put together and if you start it in the morning, it's ready when you come home! 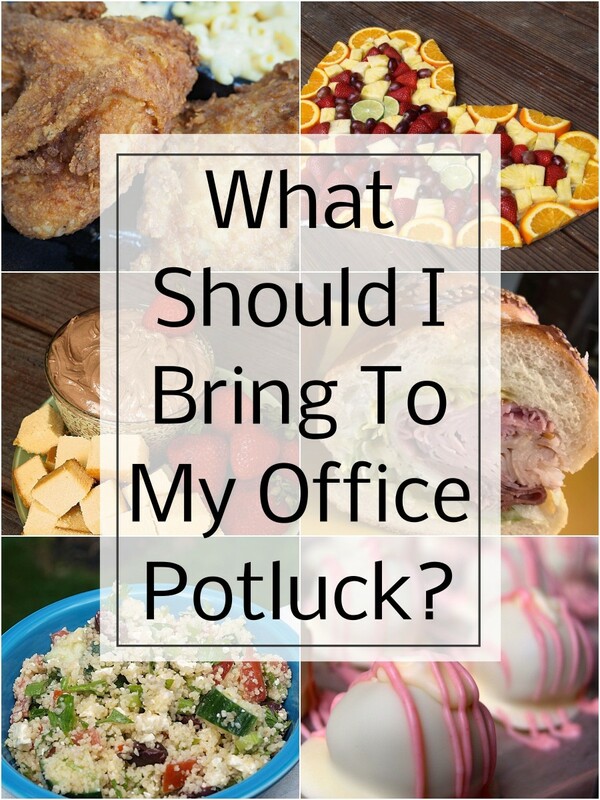 Everyone loves to get and give homemade baked goods. 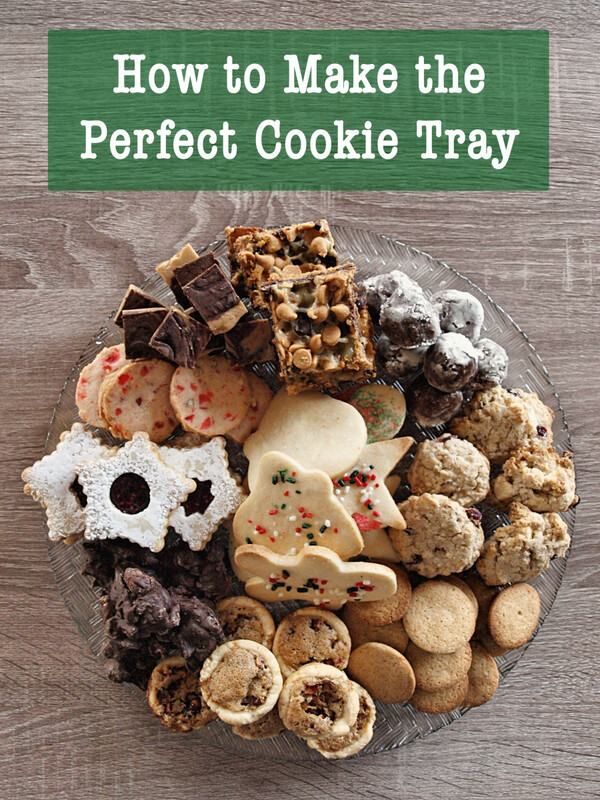 Here's how to assemble the perfect cookie tray to show off all those yummy treats you make. 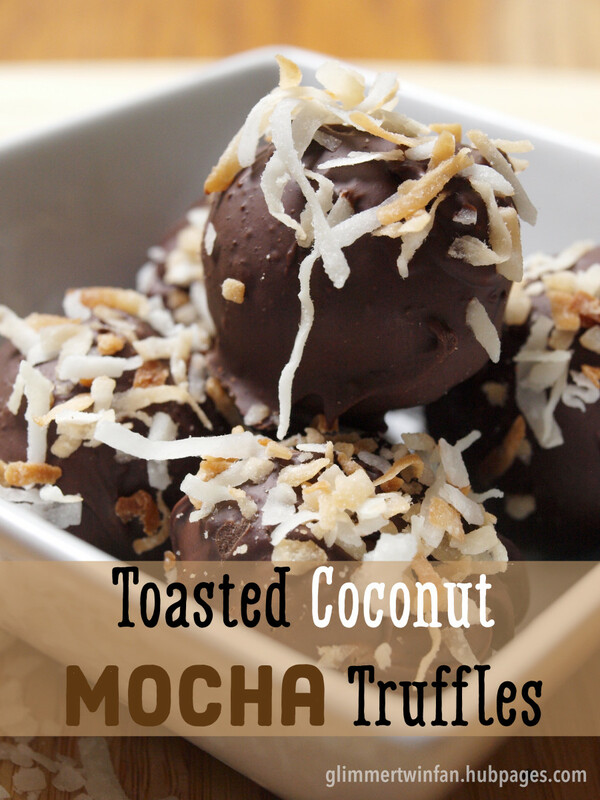 Moist on the inside and with a hard chocolate coating, these toasted coconut mocha truffles are rich, decadent, and easy to make. Find out how with this recipe and step-by-step photos. Don't throw away all those brightly colored plastic bags you get. 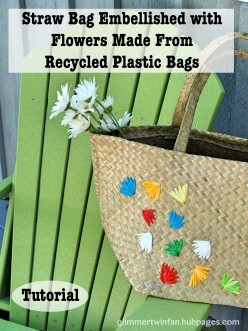 Recycle them and embellish a straw bag to give it a little bit of a retro look. This easy to follow tutorial will show you how. 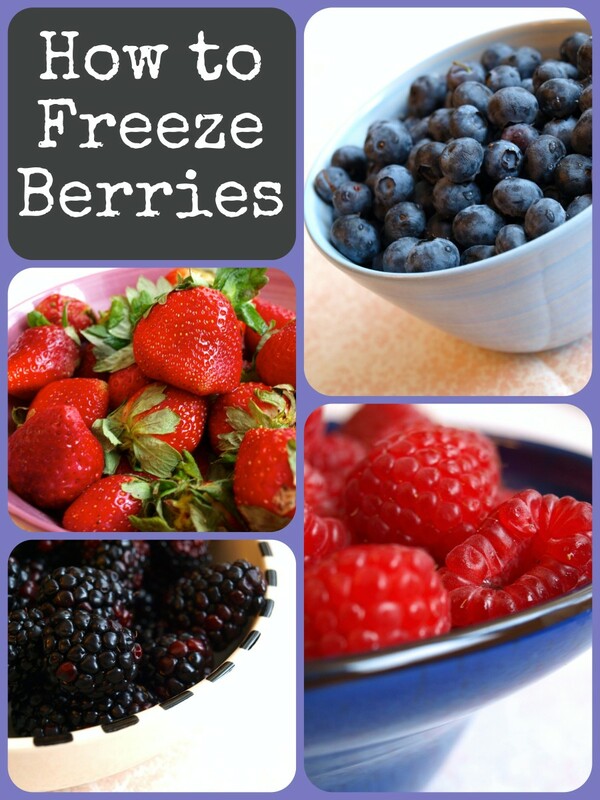 Easy to follow directions for freezing various types of fresh berries. With rice being the main food source for over half of the world's population, it's pretty important to know how to cook it. 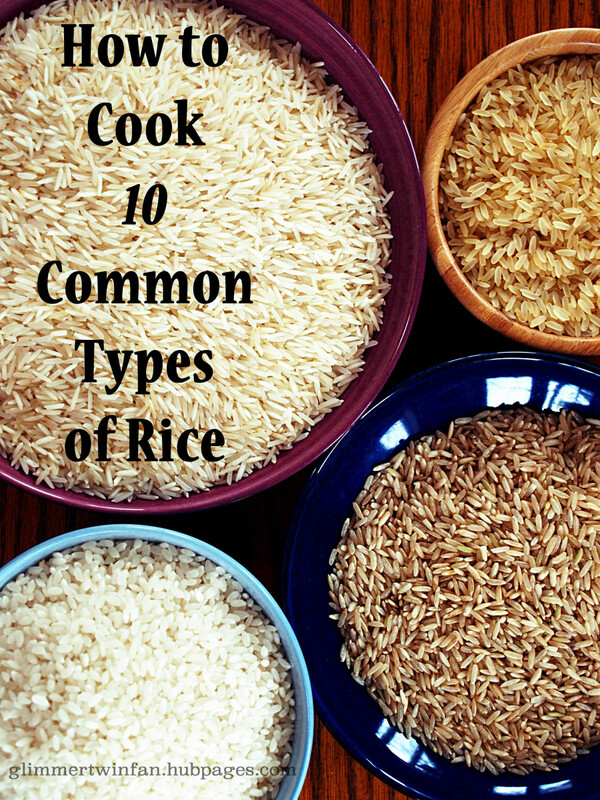 Here are simple cooking directions for 10 commonly found varieties of rice. 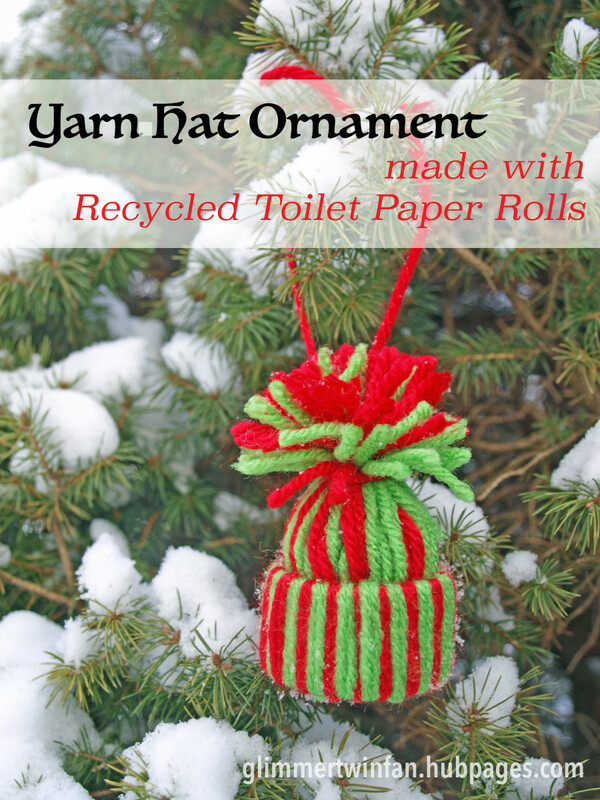 Holidays just aren't the same without homemade ornaments and this yarn hat made with recycled toilet paper rolls is one of the cutest. Easy to make with the step by step photo instructions and video. 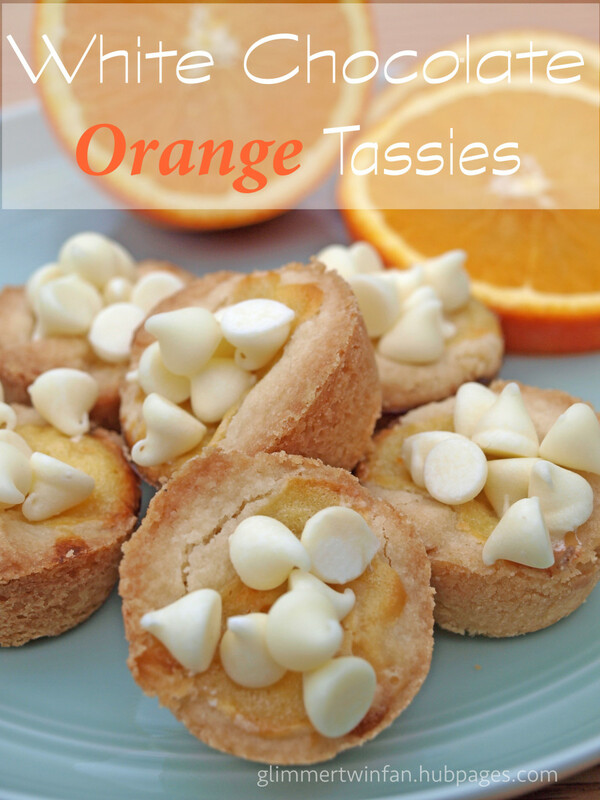 These white chocolate orange tassies, or cookie cups, are delicious and make a beautiful addition to any dessert table or cookie tray. The recipe and step by step photos are provided. 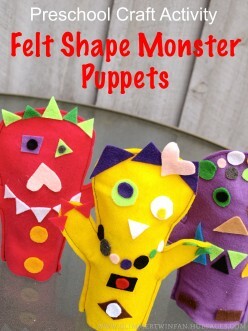 Fun for preschoolers and kindergarteners, these easy to make felt shape monster puppets help children learn about shapes and colors while having lots of fun. Try making your own with this tutorial. 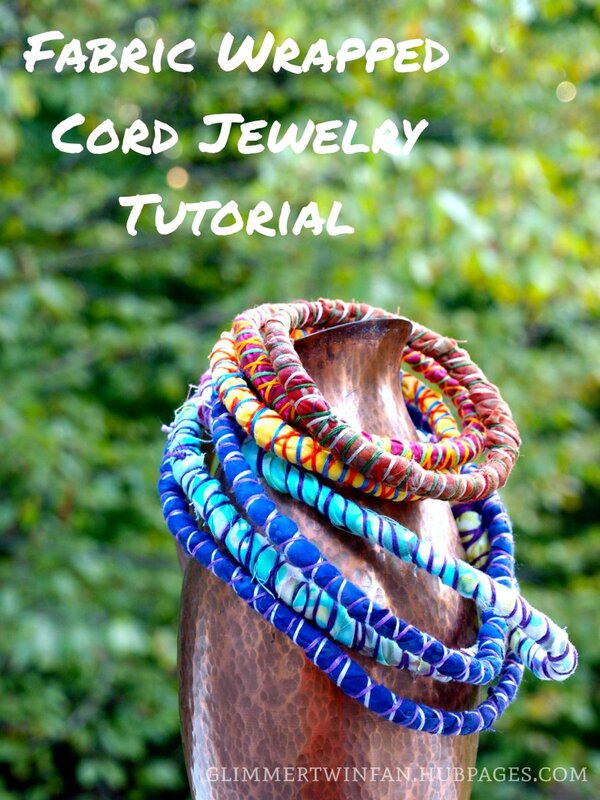 Fabric wrapped cord jewelry adds a fun and funky touch to any wardrobe. 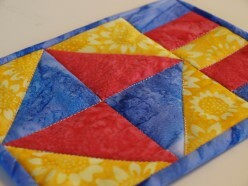 It's also quick and easy to make with this step by step tutorial, including photos and a video. 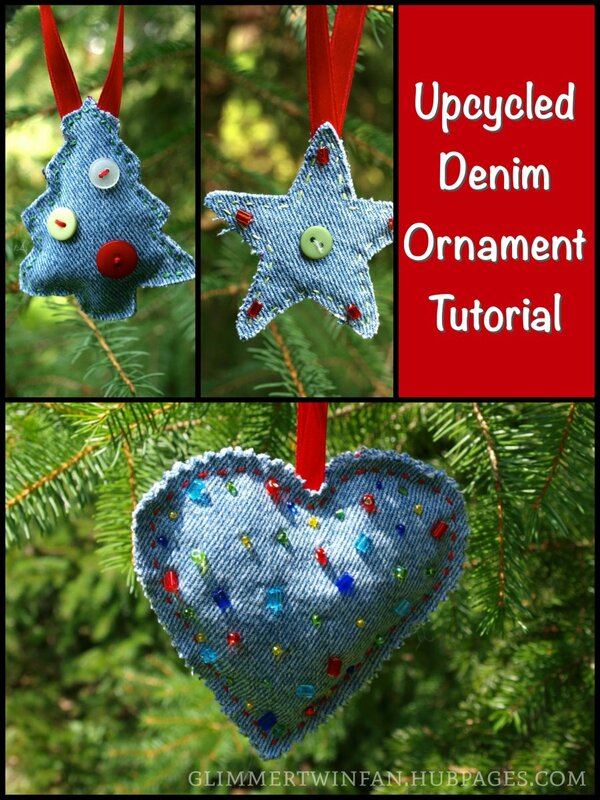 Add a touch of homespun whimsy to your holidays with these recycled denim ornaments. They are easy to make using this tutorial that includes step by step instructions and photos. Test your culinary terminology expertise with this quiz and peruse a list of obscure cooking terms. 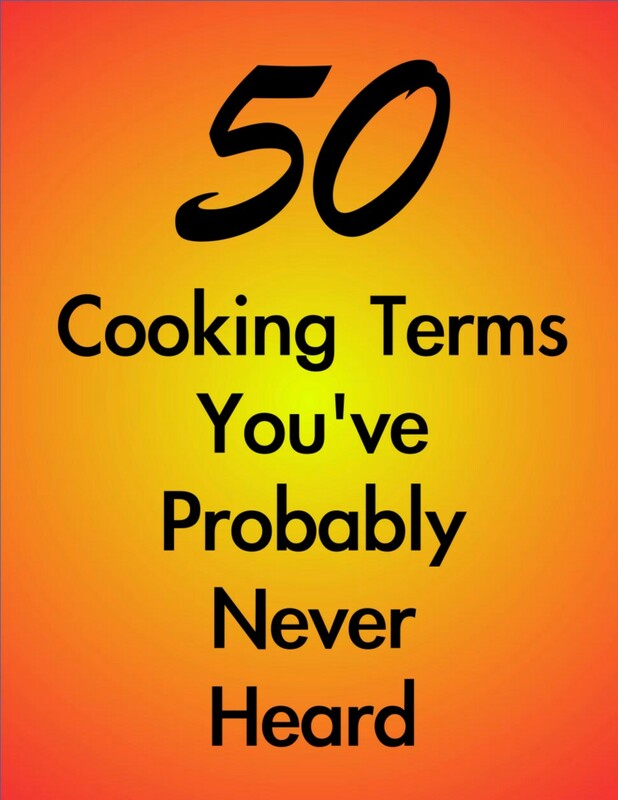 From bain-marie to weep, you'll find 50 cooking terms that you've probably never heard before. 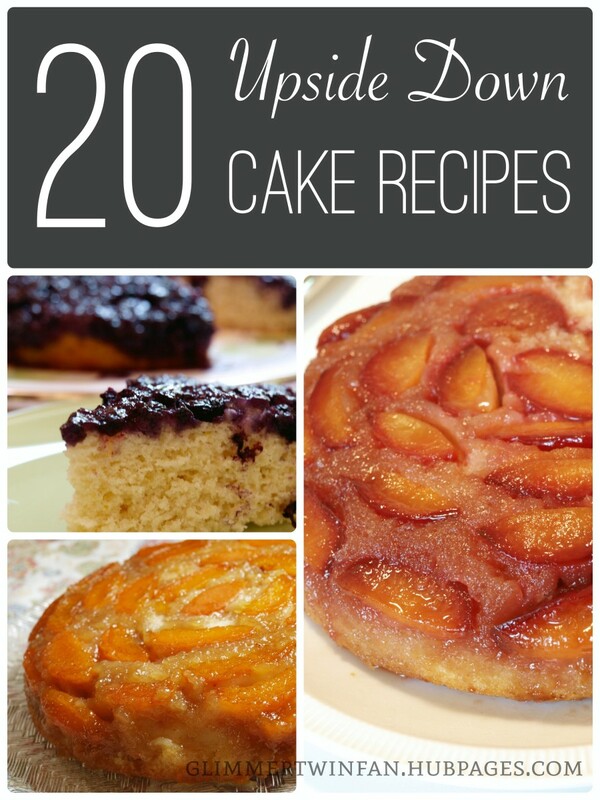 These 20 upside-down cake recipes aren't like your grandmother's pineapple one. 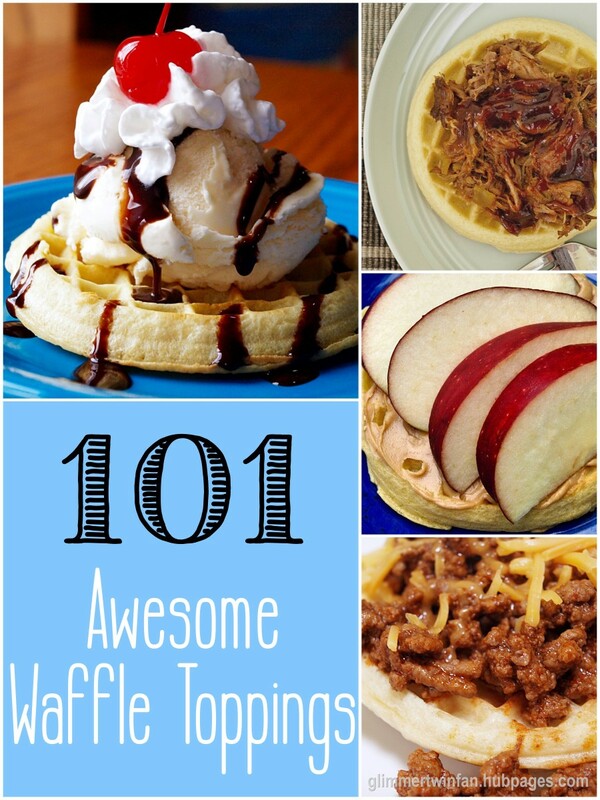 These use all sorts of fruits, adding a new twist to an old favorite. Photos and step by step instructions provided. 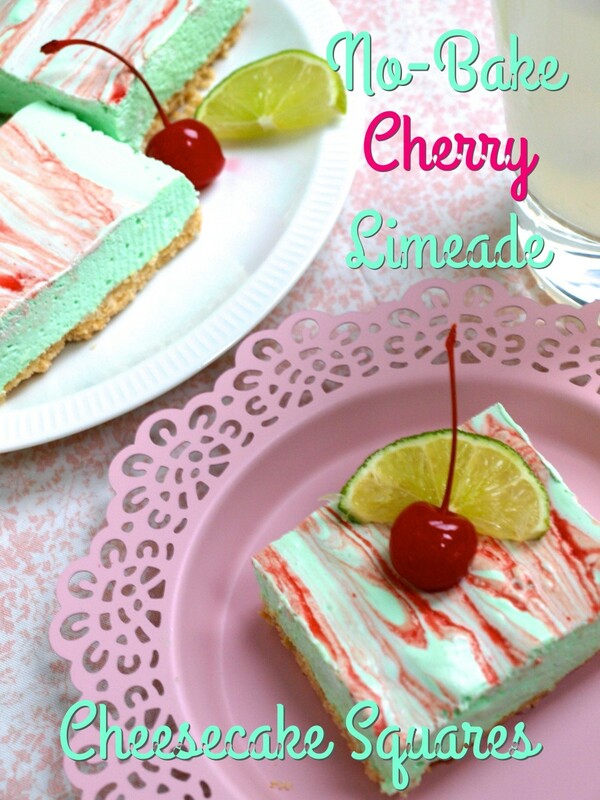 When you don't feel like baking, but want a sweet treat, try these No-Bake Cherry Limeade Cheesecake Squares. 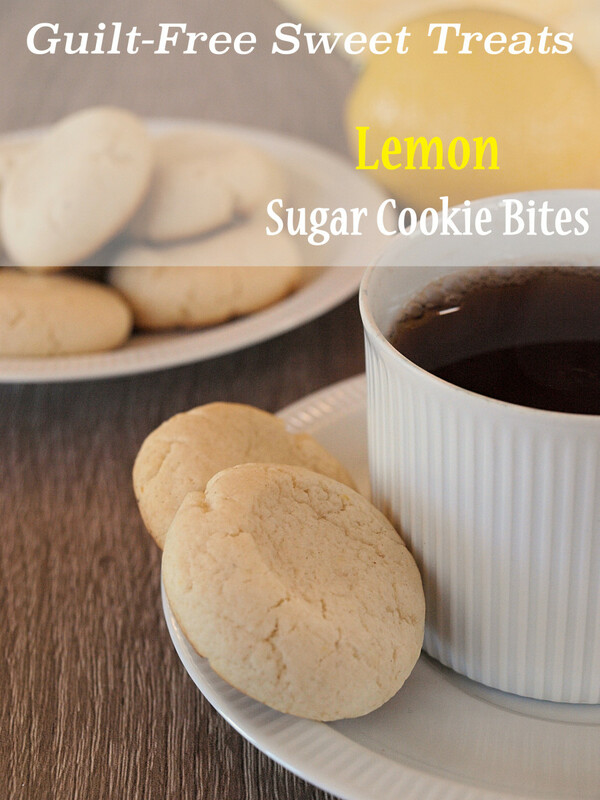 Light and refreshing, they are easy to make with this recipe and the step by step photos. 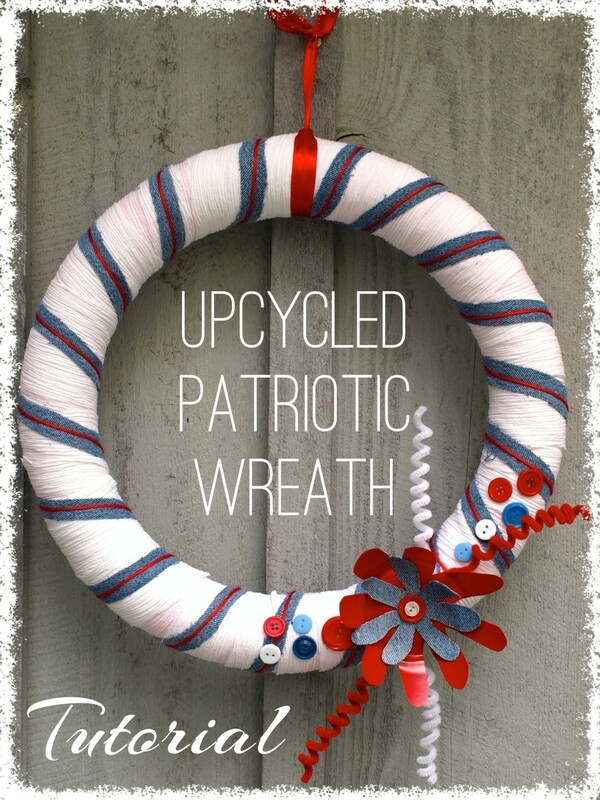 Make this upcycled patriotic wreath by repurposing a pool noodle, a blouse, old jeans, some buttons, and a plastic bowl. 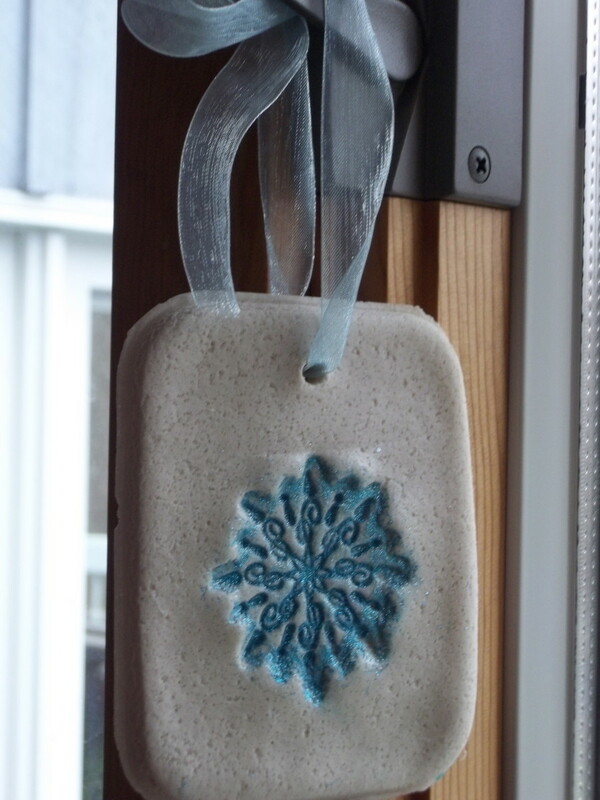 Beautiful on any door, it's easy to do with this step-by-step tutorial. 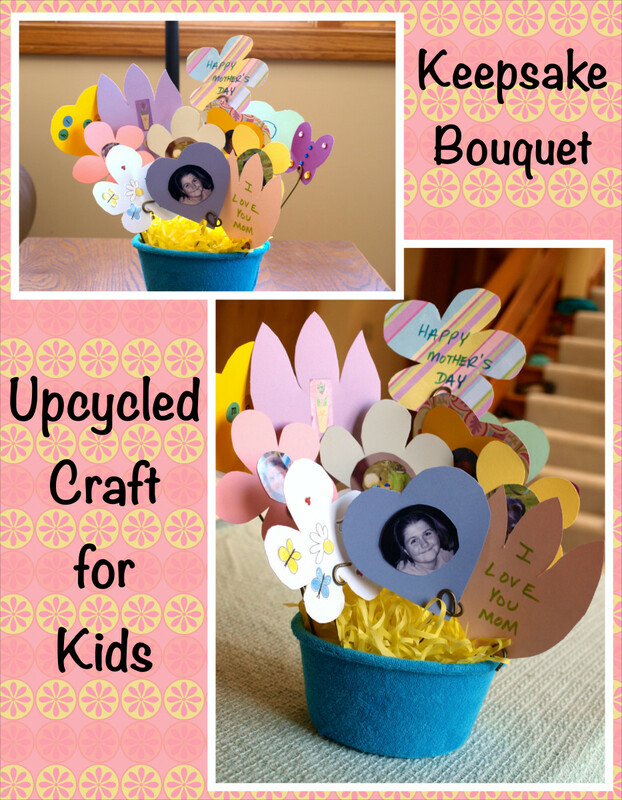 Make a beautiful keepsake bouquet using upcycled items found at home. It's easy with these instructions and step by step photos. This is a special gift that anyone will cherish. 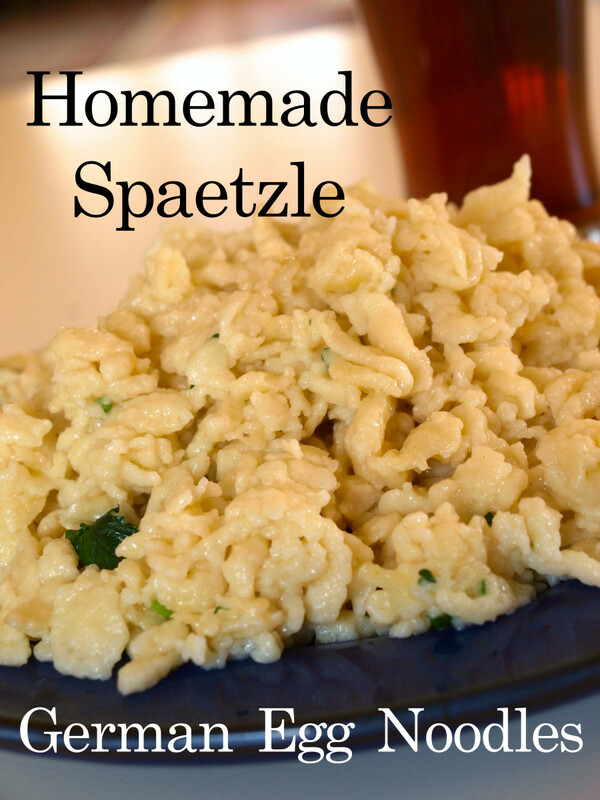 Spaetzle are traditional German egg noodles that are served throughout Germany and elsewhere. Learn how to make your own at home with this easy recipe. Detailed photos are included. These step by step photos and instructions make it easy for you to create your own unique felt hair clips for any occasion. 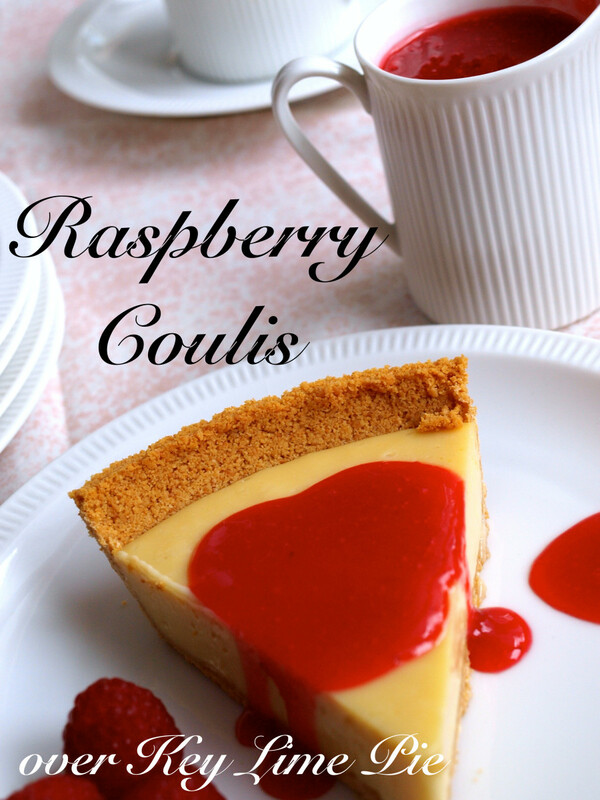 Made with fresh ingredients, a fruit coulis is the perfect fruit sauce. Along with step by step photo instructions, you'll find recipes for a raspberry, a mixed berry and a strawberry version. 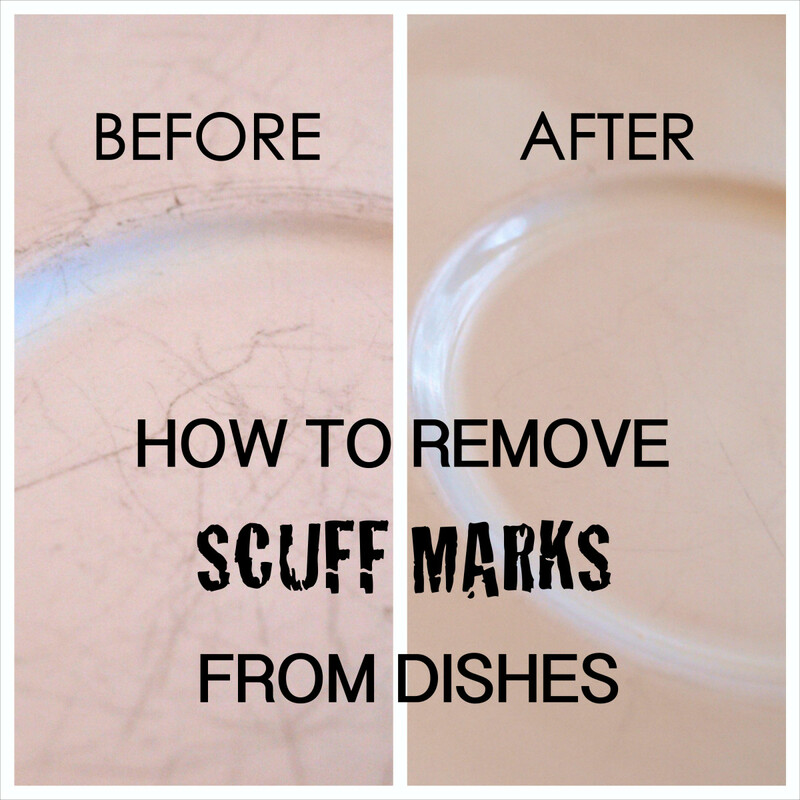 Remove those ugly gray scuff marks on your dishes using this easy process. You only need a damp rag and toothpaste. 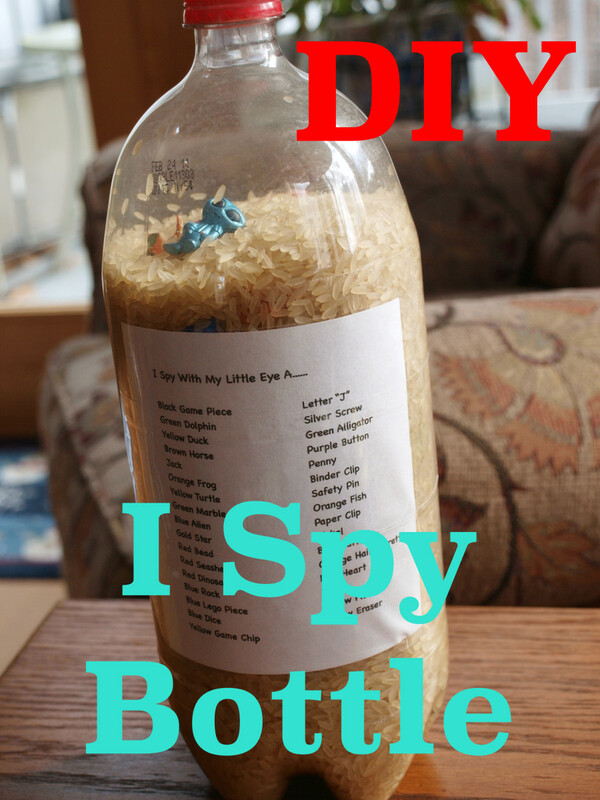 Make your own I Spy bottle with these easy to follow instructions and photos. They provide hours of fascination. 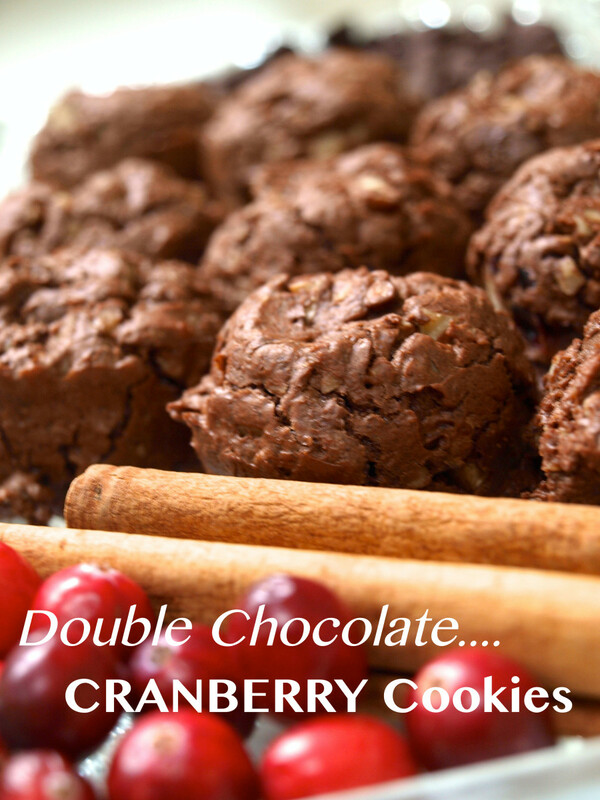 Filled with chocolate, nuts, cranberries and cinnamon, these double chocolate cranberry cookies will please everyone. They are easy to make with this recipe, instructions and step by step photos. 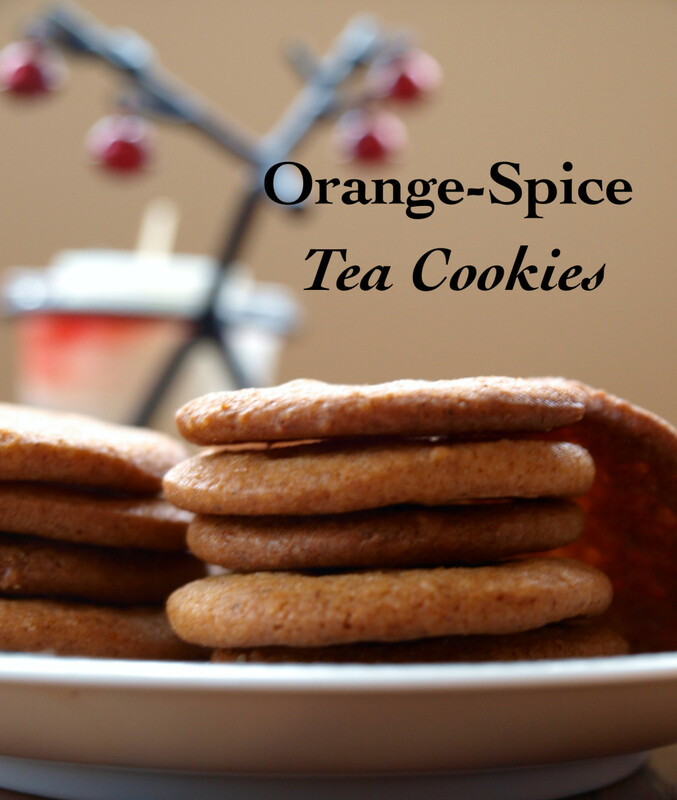 Slightly reminiscent of ginger snaps, these orange-spice tea cookies are lovely little crisps that go perfectly with coffee or tea. You'll find the recipe and step by step instructions with photos. 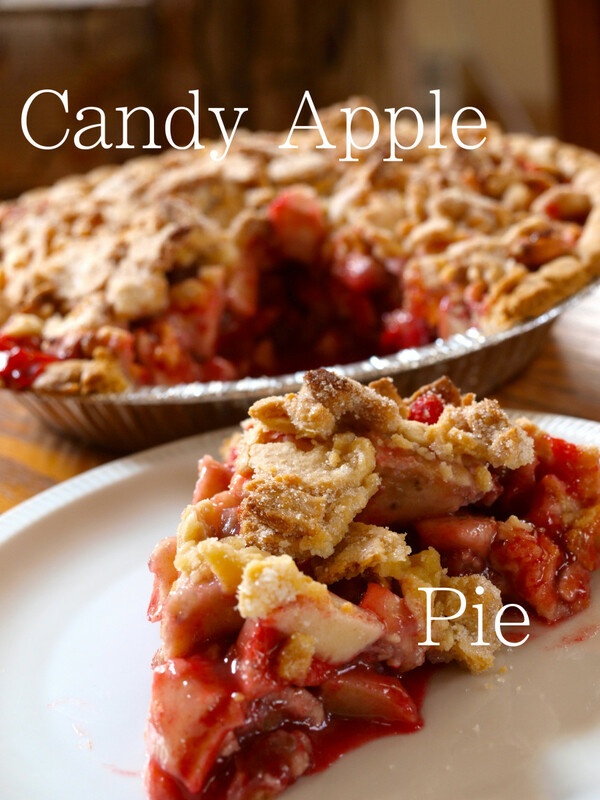 This candy apple pie recipe is delicious and tastes just like the candy apples you get at the fair! It's easy to make with the step by step photos and instructions provided. Jazz up a plain white shirt with a handmade felt brooch. Learn how to design your own unique pin with these step by step instructions and photos. 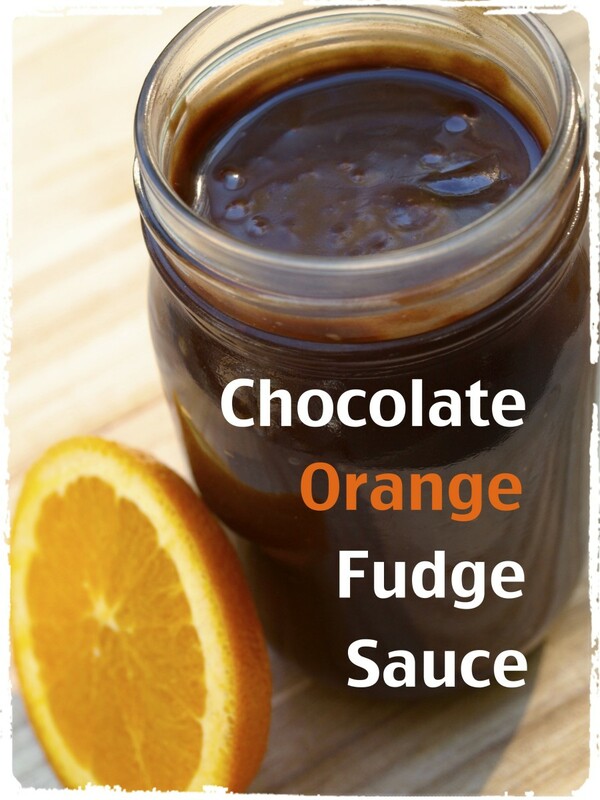 Decadently delicious, this chocolate orange fudge sauce recipe is easy to follow. 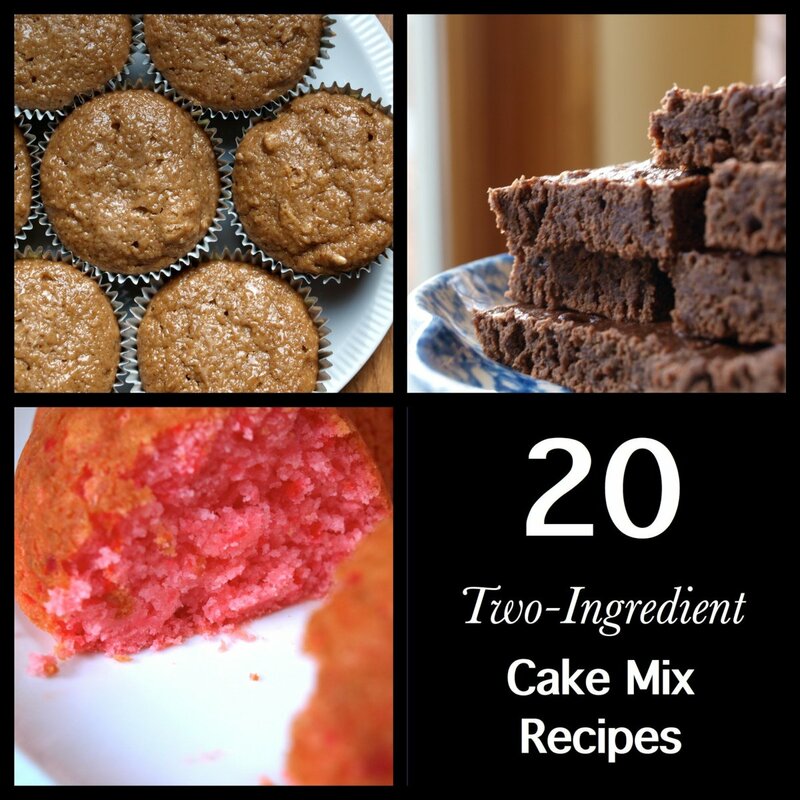 Double the recipe and make treats for your friends. Recipe and step by step photo instructions are included. 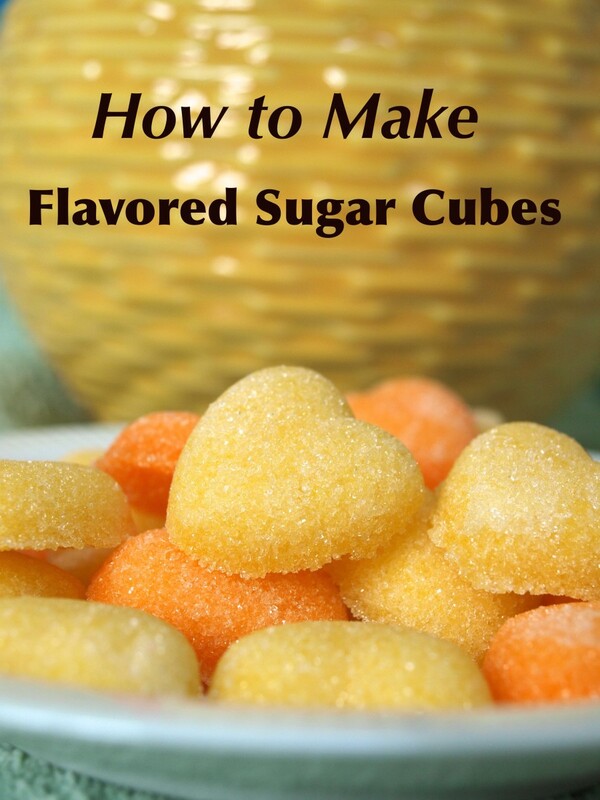 Flavored sugar cubes add a special touch to any occasion. They are also super simple to make using only a few ingredients. 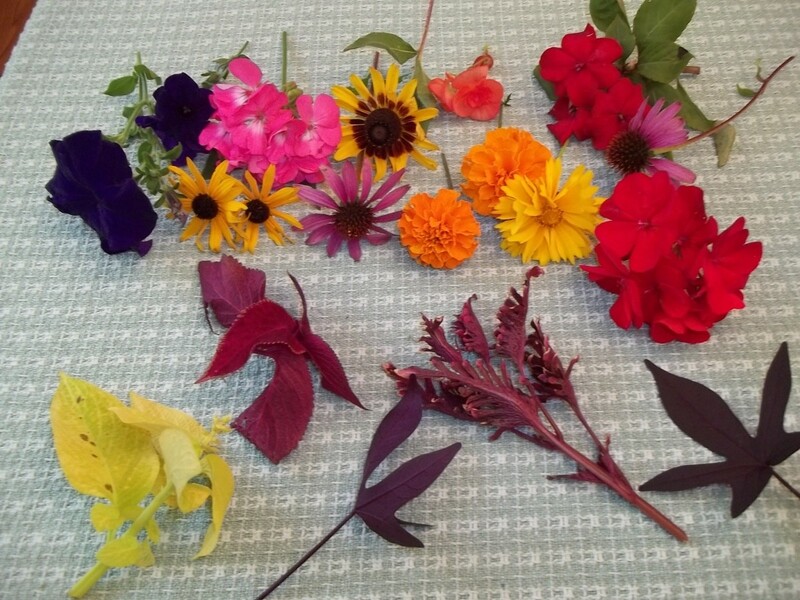 Find out how with these step by step photos and instructions. If you've ever thought about joining or starting a group board on Pinterest then check out this article. 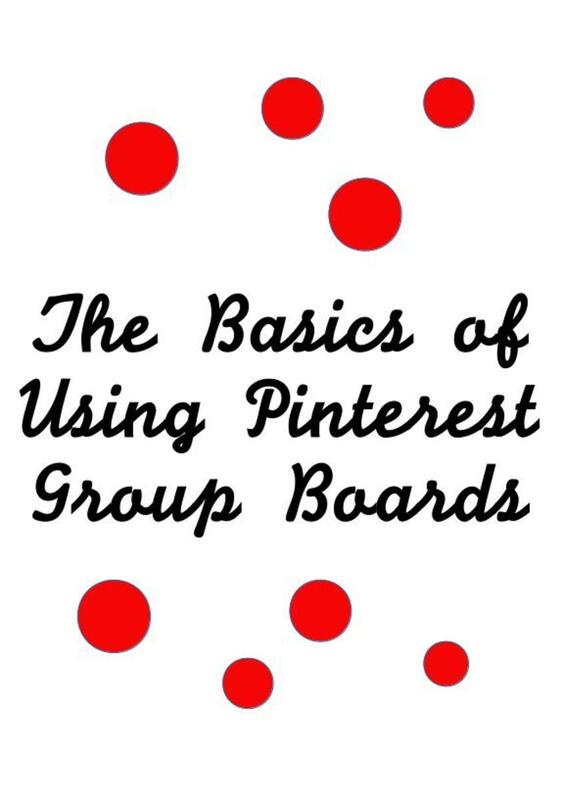 It includes everything you need to know about group boards as well as some pros and cons. 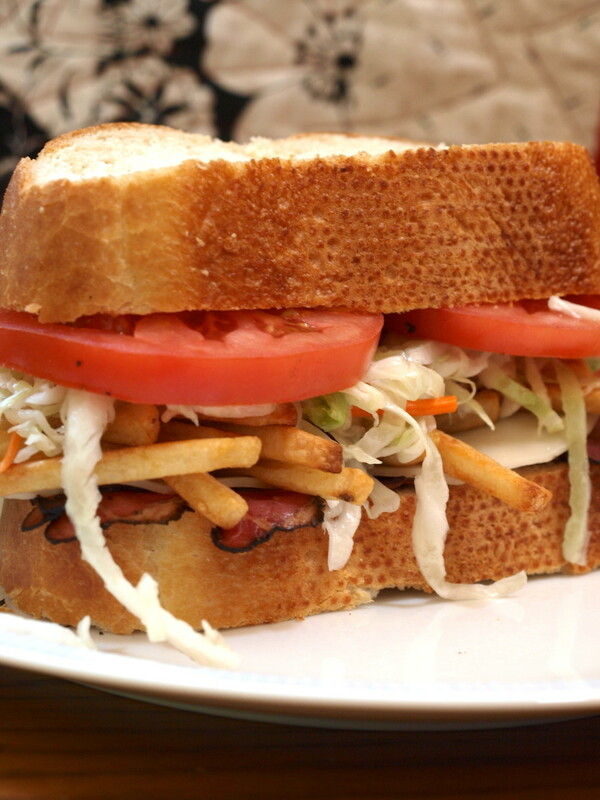 With coleslaw and french fries making this sandwich so unique, you'll find everything you need to know to make this Pittsburgh classic right here. Step by step photos and instructions are included. 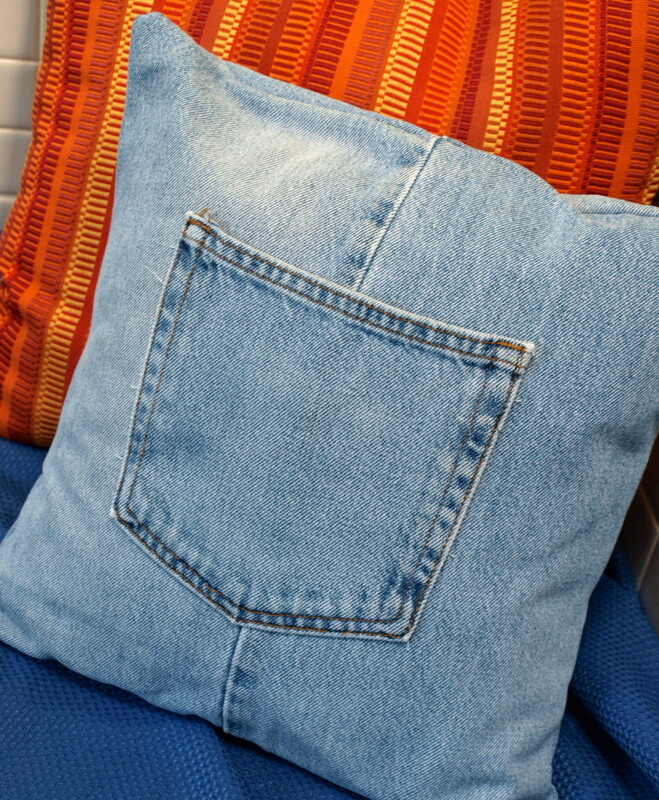 Jazz up your sofa and save an old pair of jeans from the landfill by making this adorable denim throw pillow cover. Easy step by step instructions and photos are provided. 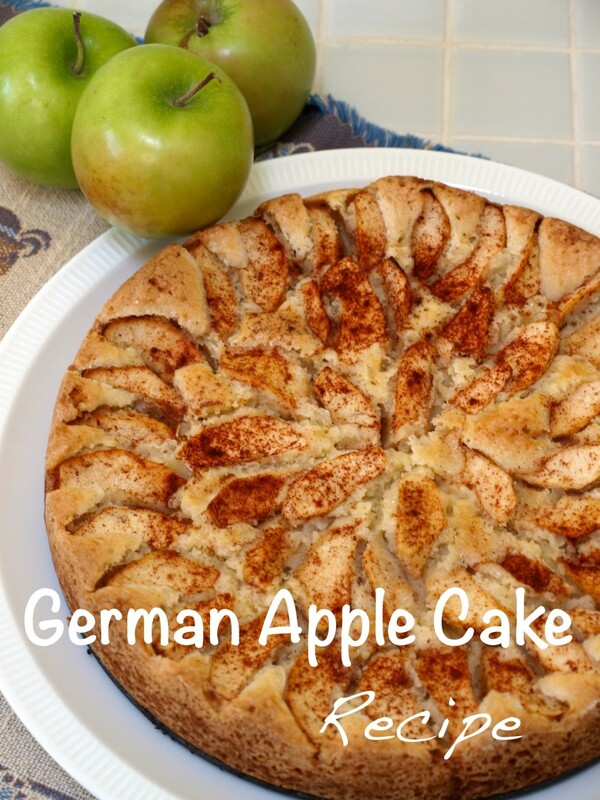 This is a recipe for a traditional German Apple Cake. It is simple to make and delicious! Easy to follow instructions and photos are provided. 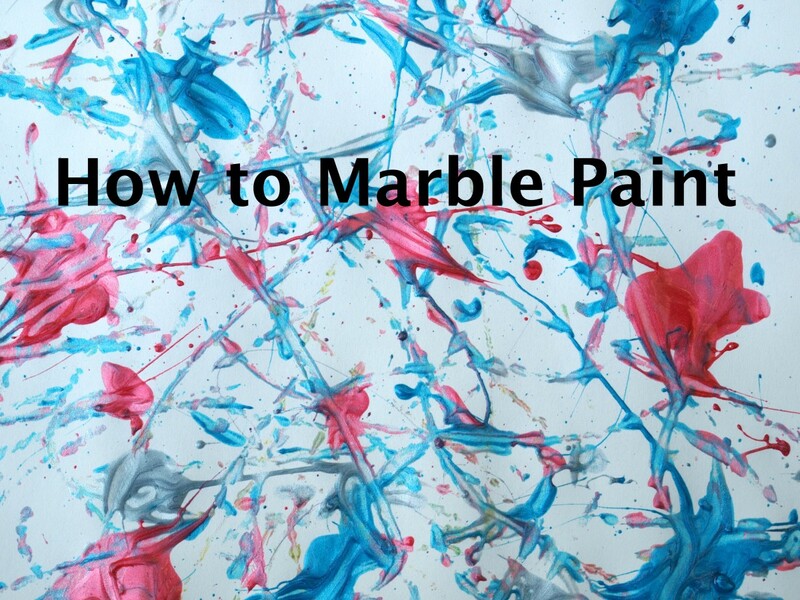 Create a masterpiece by learning to paint with marbles! This tutorial provides step-by-step instructions with photos, along with an instructional video. It's the perfect craft for anyone! 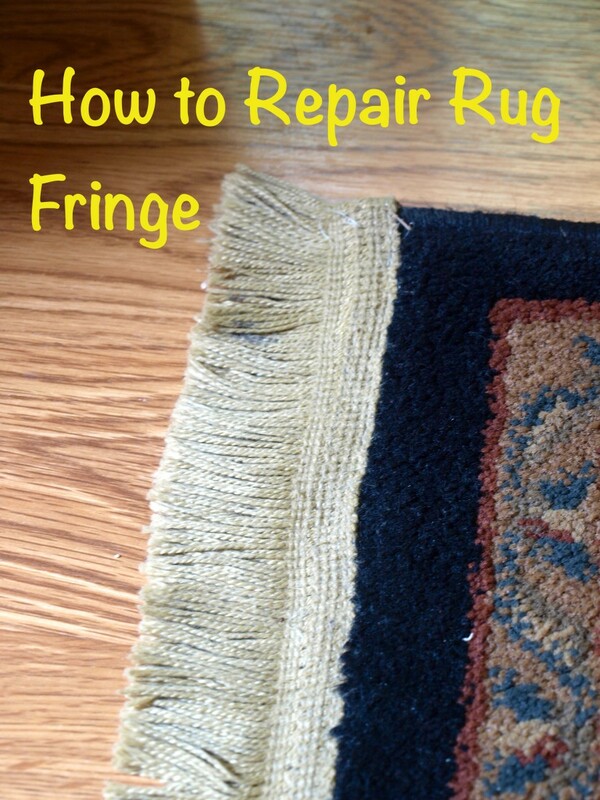 Instead of paying someone to fix the fringe on your everyday rug, do it yourself by using this easy-to-follow tutorial complete with step-by-step photos and instructions. 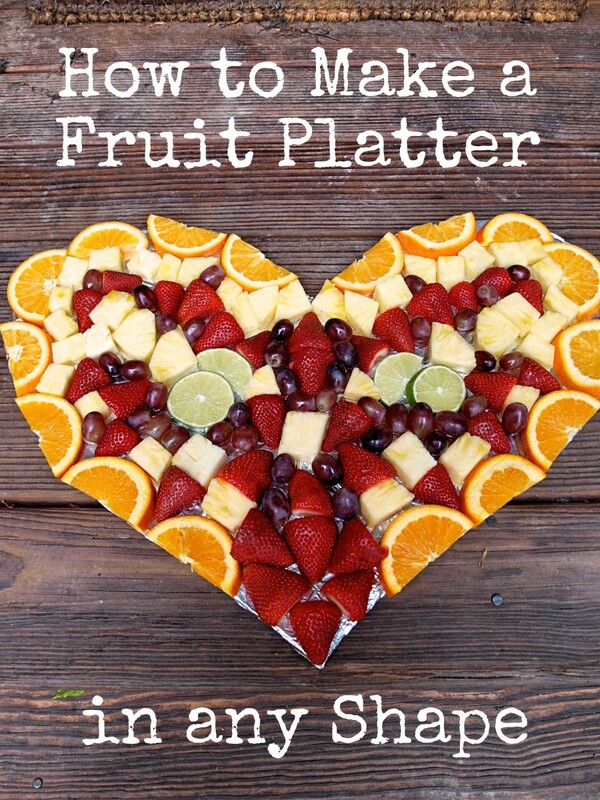 Bring a shaped fruit platter to your next party. 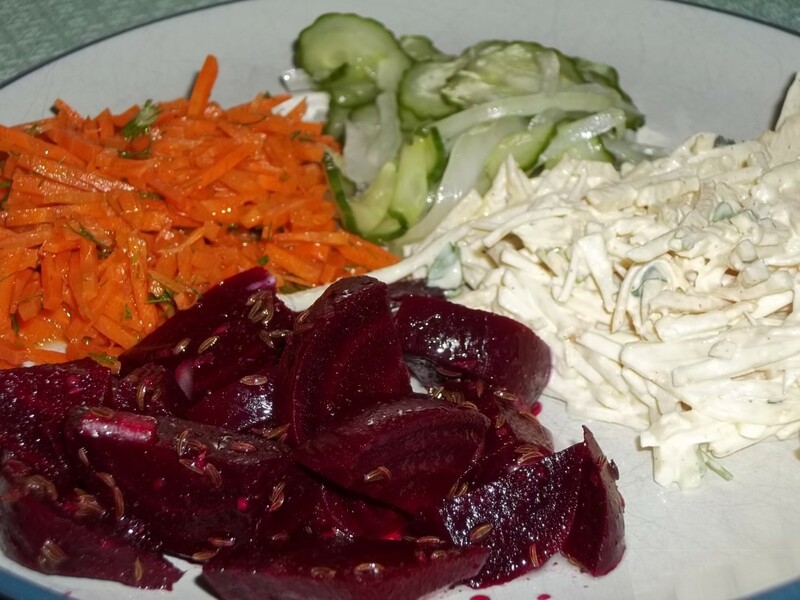 It is an easy-to-assemble, healthy dish that everyone is sure to love. 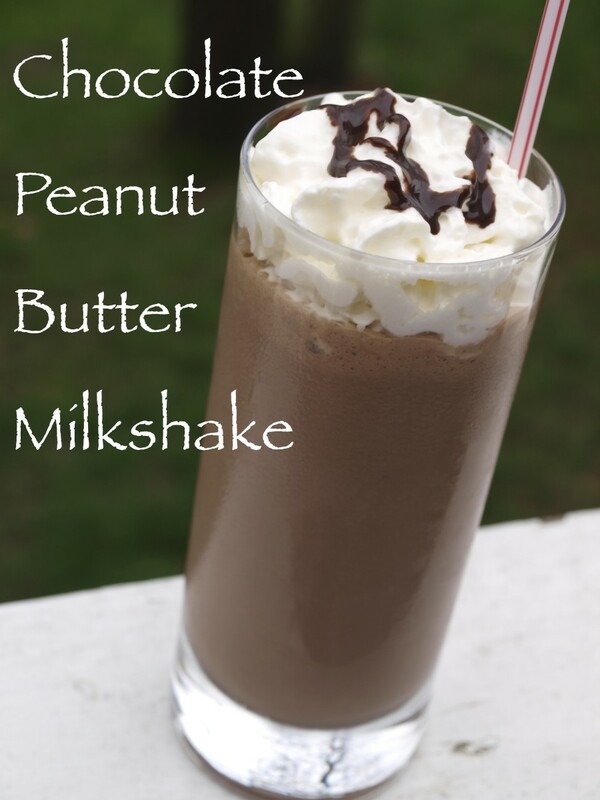 With a flavor combination that is beloved by many, this chocolate peanut butter milkshake recipe is sure to satisfy everyone. Easy to follow instructions are included. 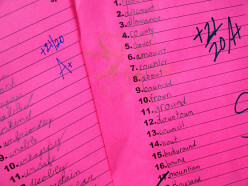 Tips to help children study for spelling tests. 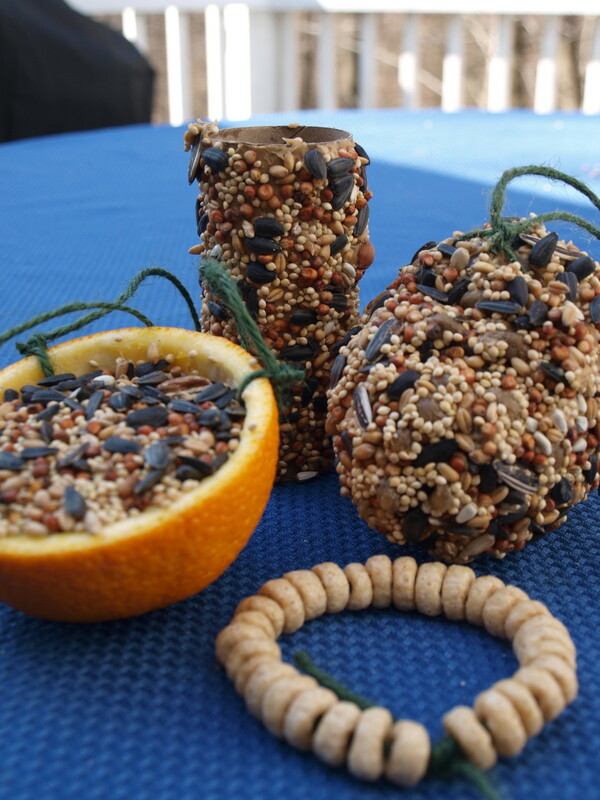 A fun craft for kids and adults, these eco-friendly bird feeders are just what your garden needs. Attract birds the earth friendly way by using these easy to follow instructions, including photos. 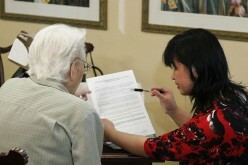 Moving tips and suggestions for families preparing to move loved ones into retirement communities, retirement homes, assisted living or nursing care facilities. Make these cute quilted coasters with these easy step-by-step instructions and photos provided. Coasters make the perfect house warming or hostess gift, and you can make a set for yourself, too. 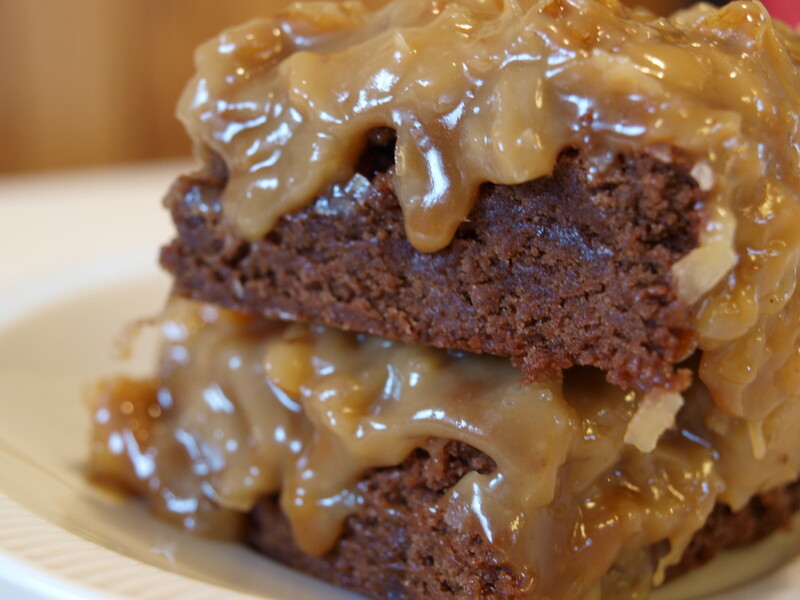 Rich and decadent, this treat is a combination of a moist dense brownie, a layer of caramel and a topping of german chocolate cake frosting. Step by step photos and instructions are included. Tired of all of that candy around the house. Fill Easter eggs with other things. 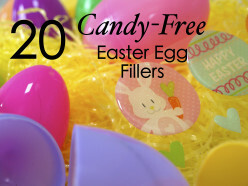 Here is a list of candy-free filler ideas for your next Easter egg hunt, along with some alternative location ideas. 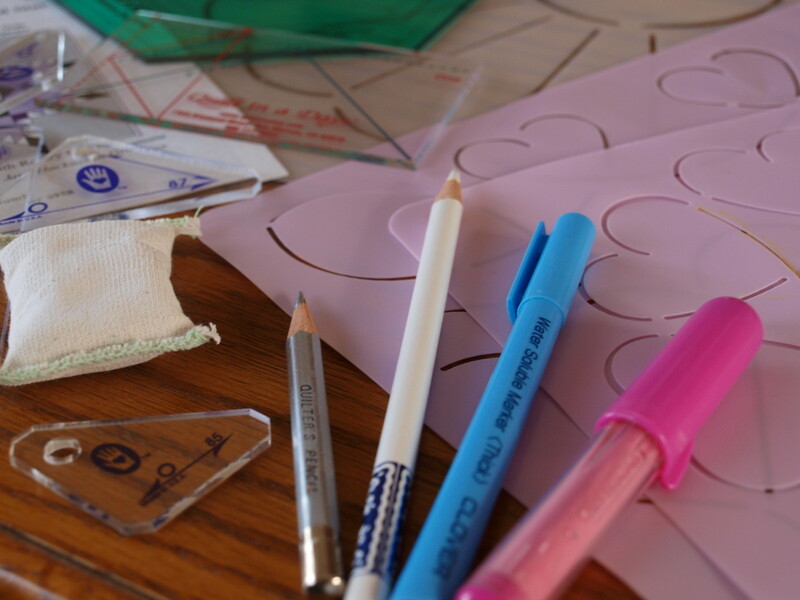 Add a personal touch to your next quilt and save money by making your own quilt templates. It is fast and easy with these instructions, photos and video tutorial. 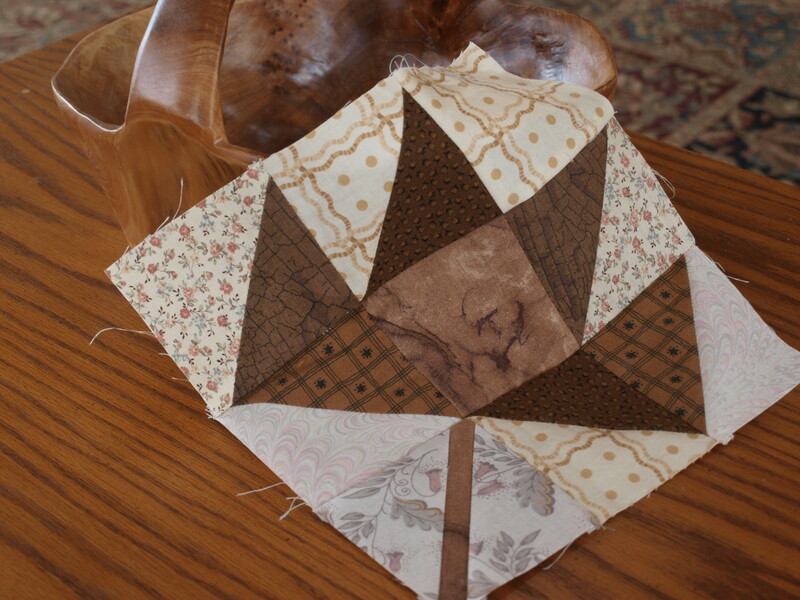 Make a stunning leaf block for your next quilt. 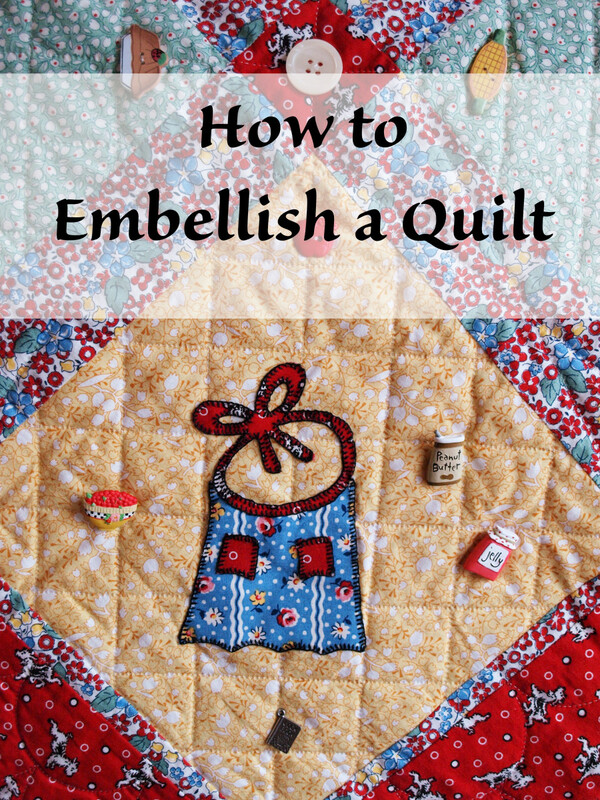 Easy step by step photos and instructions are included with this free pattern. 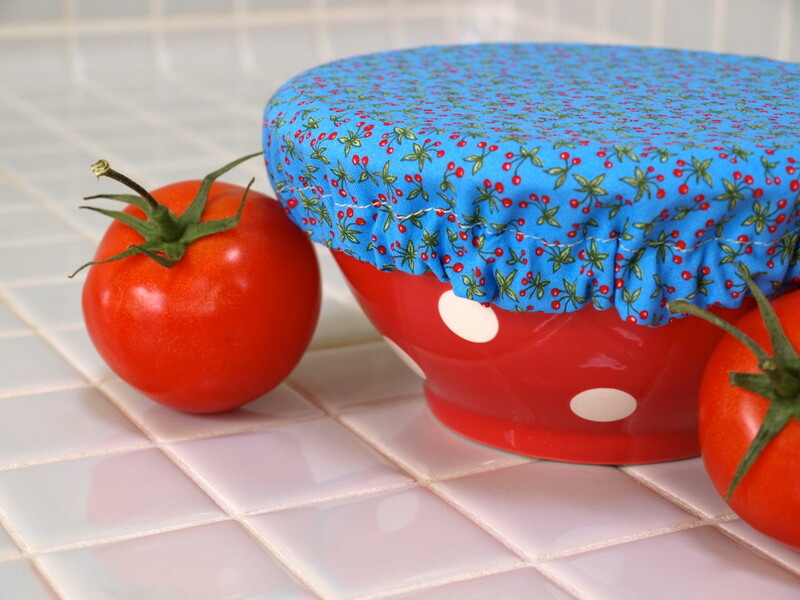 Including photos and instructions, learn how to make reusable fabric bowl covers with this step by step guide. 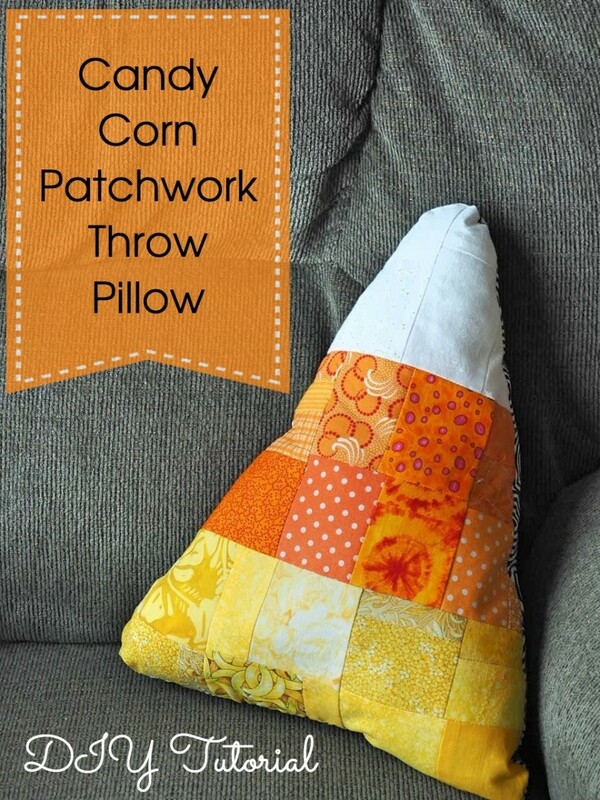 This project is a great way to use up fabric, save money and be kind to the environment. 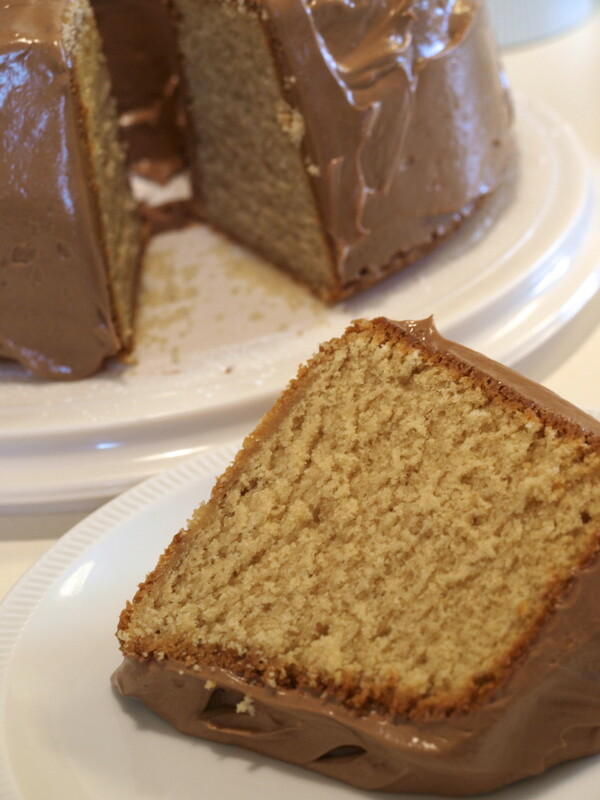 Enjoy this delicious Peanut Butter Pound Cake with or without frosting. Recipes and step by step instructions with photos are included. Easy step by step instructions on how to sew an applique on a baby bib. Give a personalized gift at the next baby shower you attend. It is sure to be treasured. Get planning suggestions, game ideas and some fun themes for your game night party. 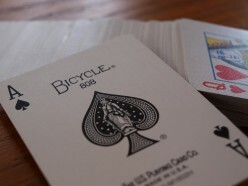 Fun for everyone and easy to organize, game night parties are always a hit! 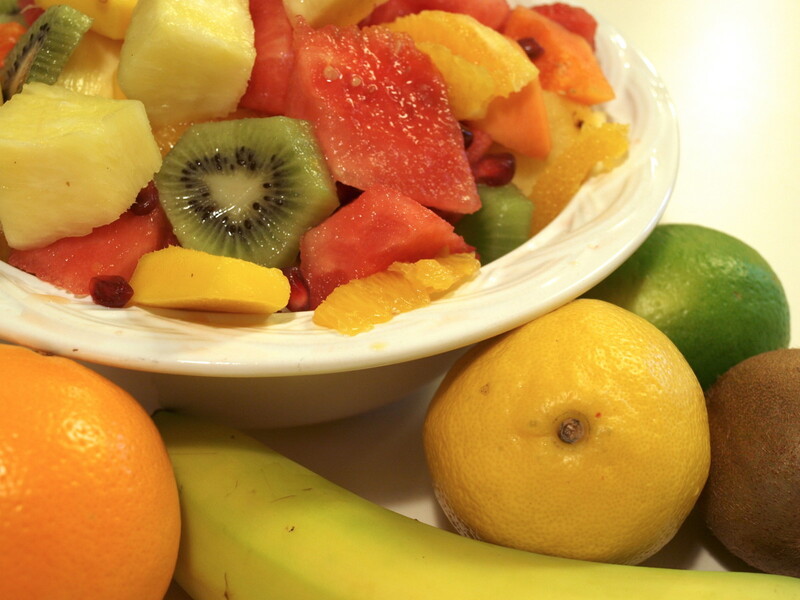 For a healthy fruit salad with an exotic twist, try this quick, easy and delicious tropical fruit salad recipe. 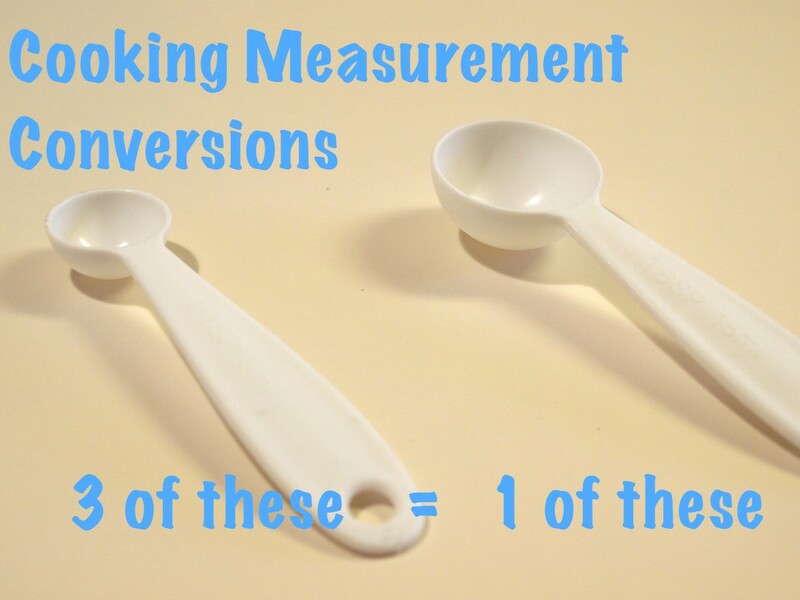 This is a handy reference guide with all of the commonly used cooking measurement conversions. Find conversions for both wet and dry ingredients. You'll also find a helpful guide to measuring. 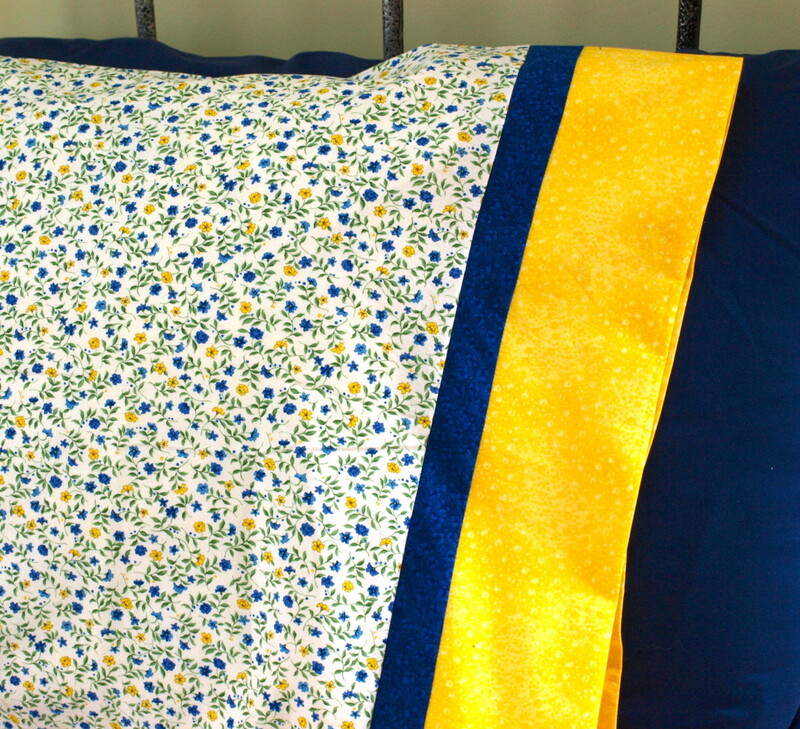 Give your bedroom a quick makeover by making your own pillowcases. It's fast, fun and easy when you use this step-by-step photo guide that will show you how. 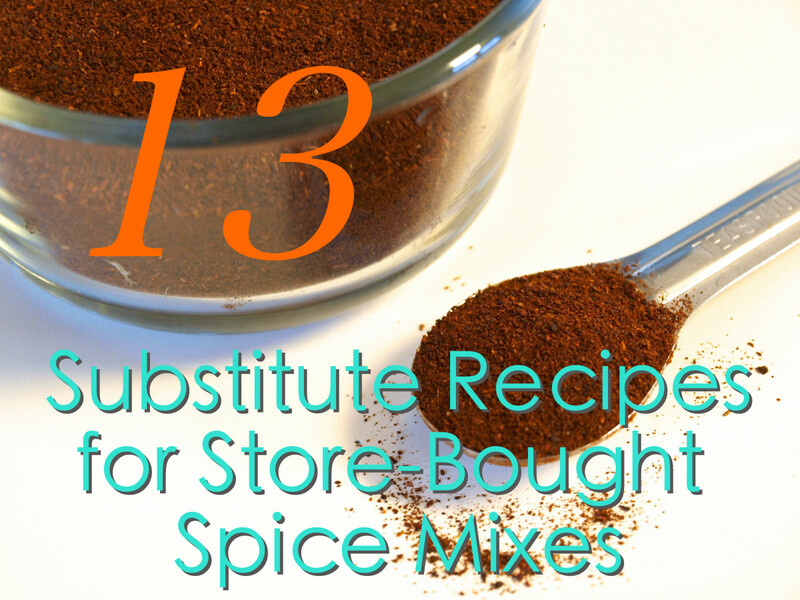 Use spices you have on hand to make your own spice mixes. It's economical and easy using this handy reference guide featuring popular seasoning blend recipes. 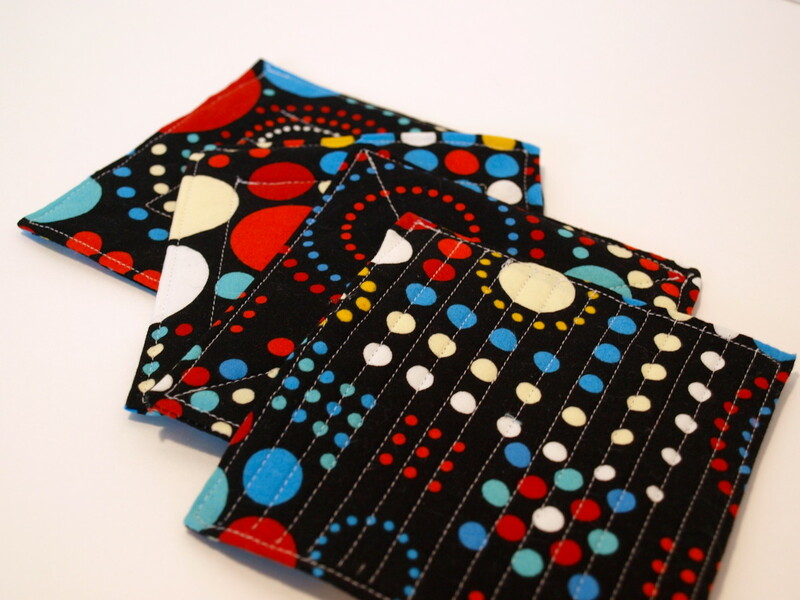 Mug rugs are those cute little quilts that are a cross between a miniature placemat and a coaster. Quick and fun to make, follow this easy pattern and step-by-step photo guide to make your very own mug rug. 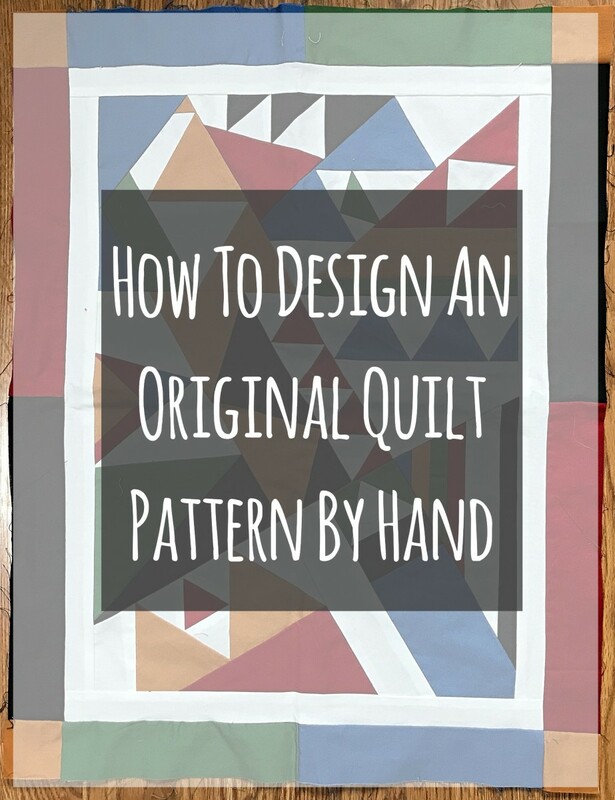 Learn how to trace a quilting template or stencil onto fabric by using these easy to follow video and photo instructions. You'll be tracing in no time. 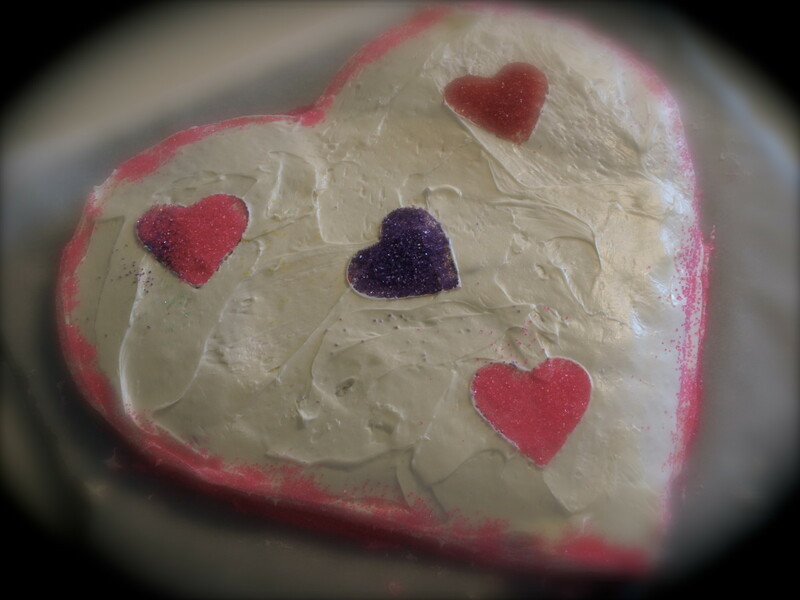 You don't need a heart-shaped cake pan to make a heart-shaped cake. 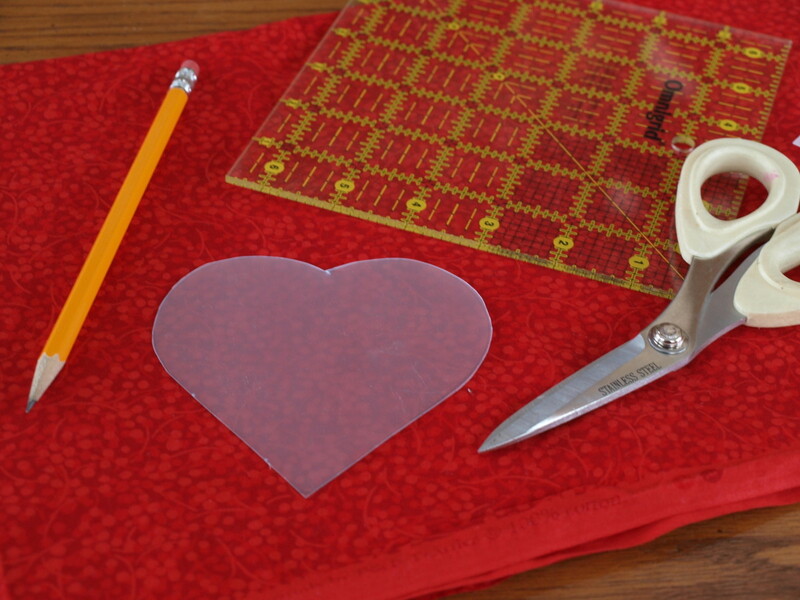 Using supplies you probably have on hand, learn how to make a heart-shaped cake. 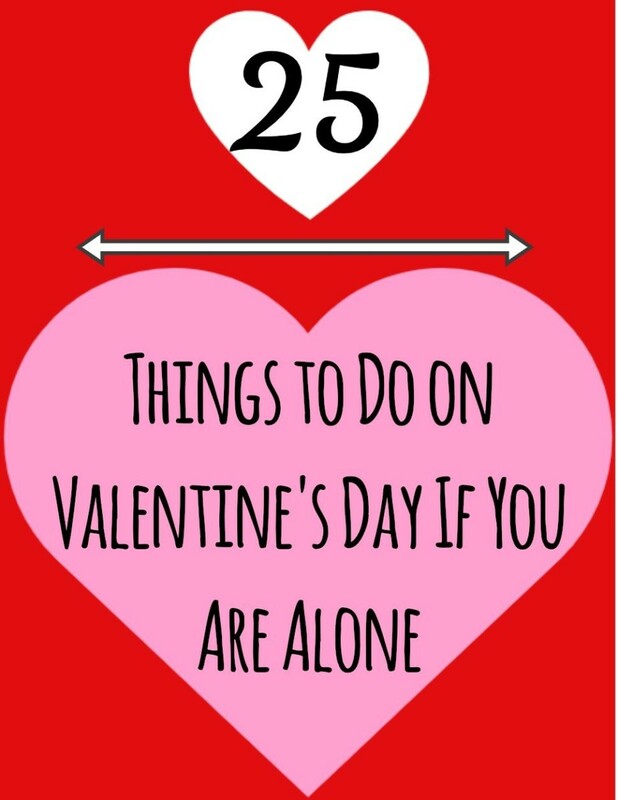 It's super easy and fast, and it's sure to impress your sweetheart! 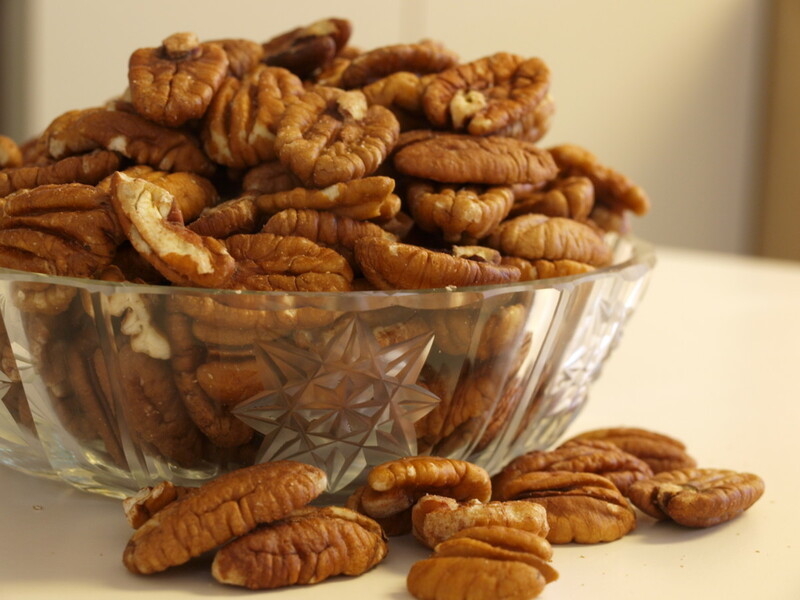 Using this easy to follow step by step guide, learn how to freeze nuts to maintain their freshness. 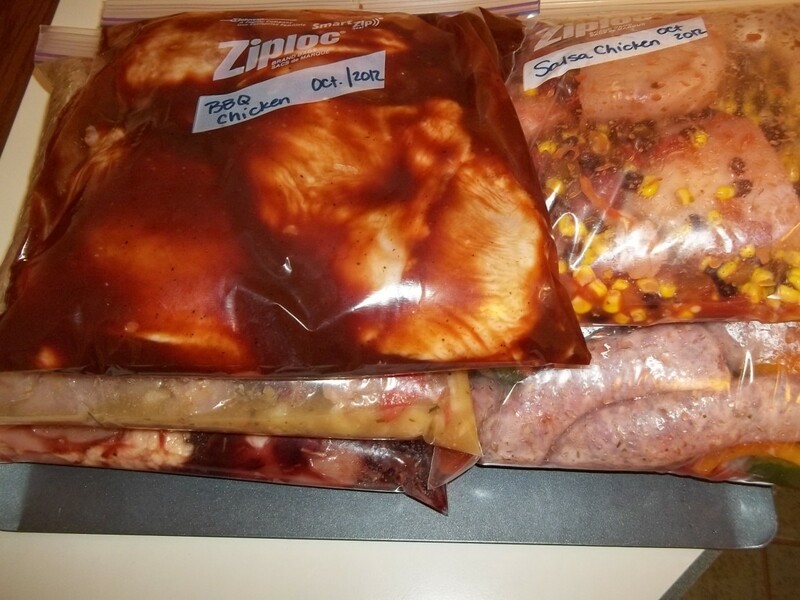 It is great way to prolong their shelf life and save money. 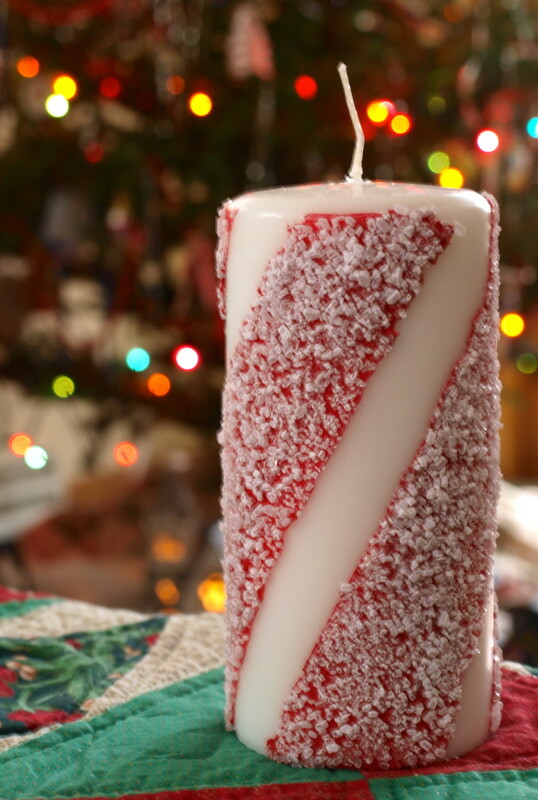 Using this easy step-by-step illustrated guide, you can jazz up any plain candle by adding paint, glue and epsom salt. These candles add a little sparkle to anyone's home and make a great homemade gift that anyone can do. Are you looking for an easy and delicious dessert for your holiday table? 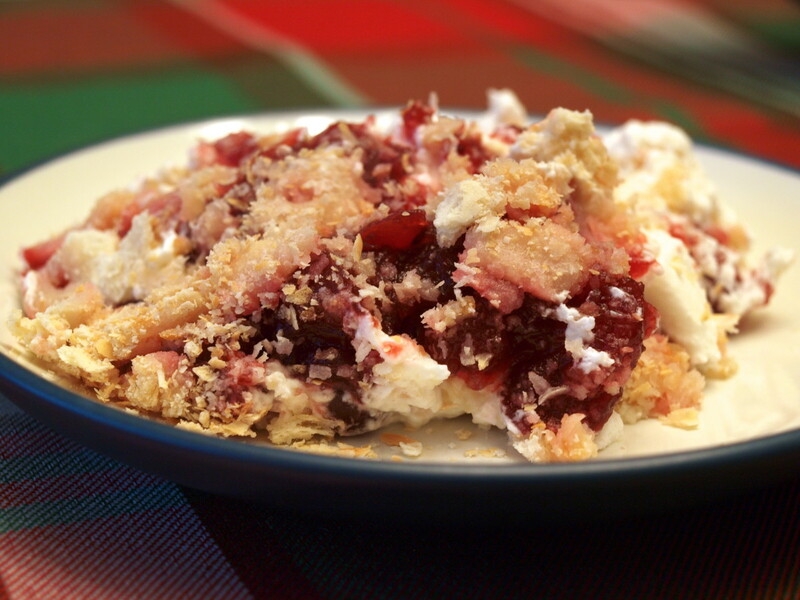 Look no further than Cranberry Dessert with Whipped Cream and Crackers. 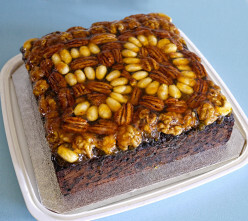 This showstopper is a snap to make with the step by step instructions and photos provided. You'll also learn how to make perfect fresh whipped cream. Have a free night coming up and don't know what to do? Try having a solo movie marathon night. It's fun, easy and inexpensive. 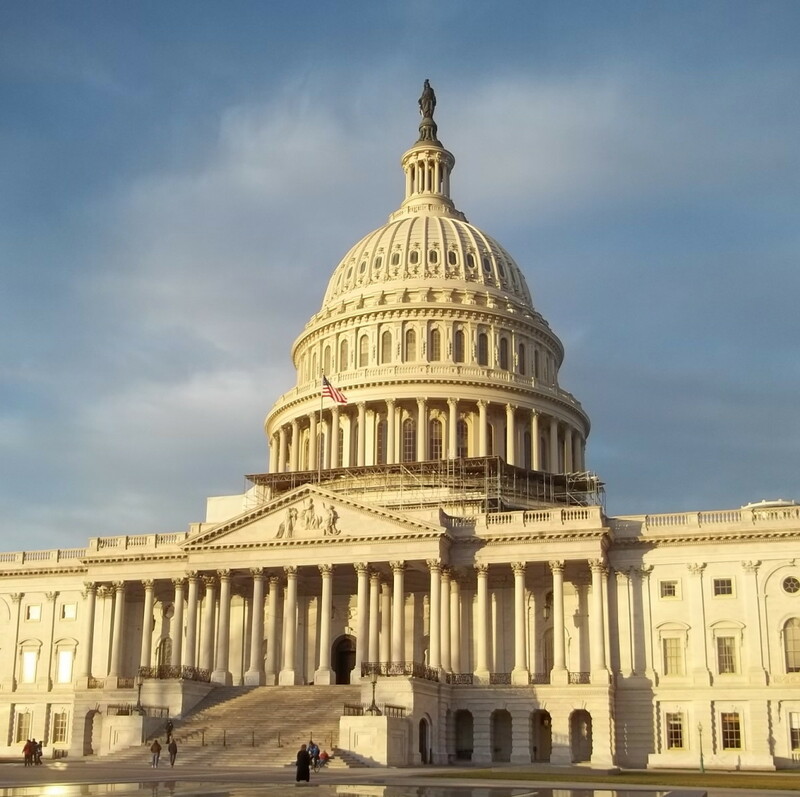 If you are planning a visit to Washington, D.C., then one of the most important stops is a visit to the U.S. Capitol—one of the most important and recognizable landmarks in the world. 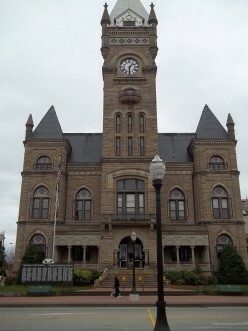 Read on to find out some history, area information, and helpful tips so your visit is a success! 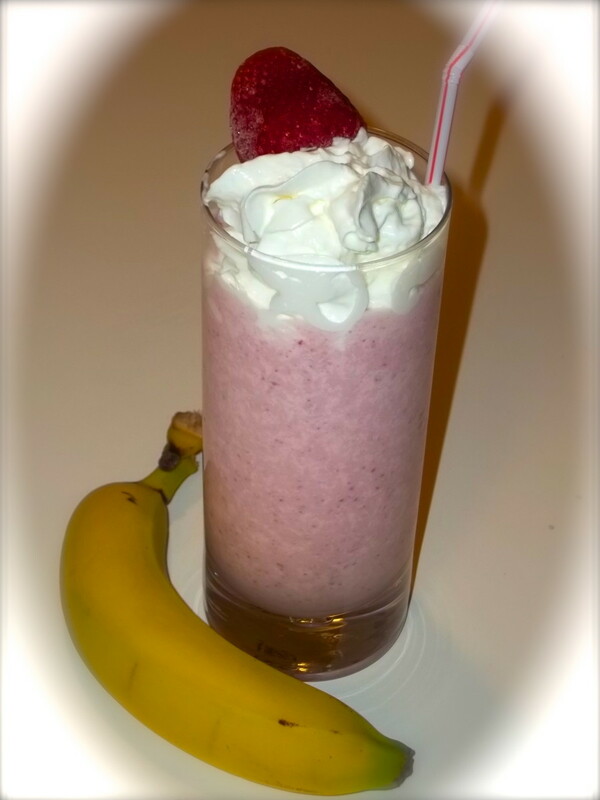 For a terrific sweet treat, try this rich and creamy strawberry banana milkshake. Top it with a little whipped cream and you'll be set. 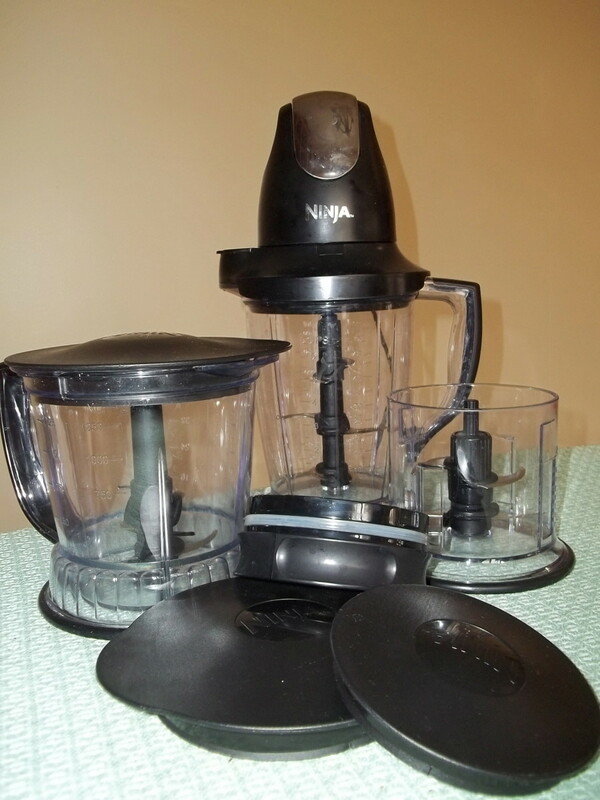 Looking for a new blender? Look no further than the Ninja Master Prep Pro System. Pureeing frozen fruits, crushing ice and making frozen drinks has never been easier. Need a new game for your family game night? 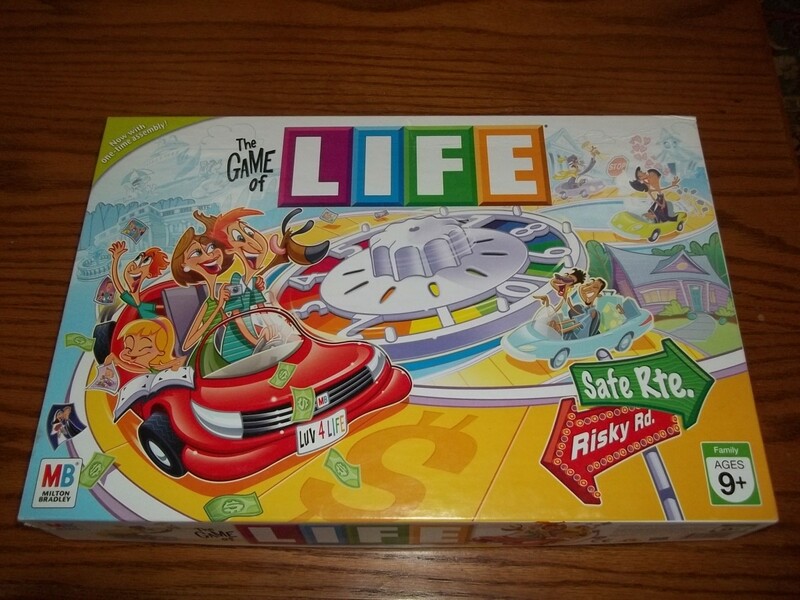 Find out why The Game of Life by Milton Bradley will be the perfect fit for you by reading this review. You'll learn a little history about the game too. Stay-at-hom moms are the backbone of families and deal with a lot of stress in their daily lives. 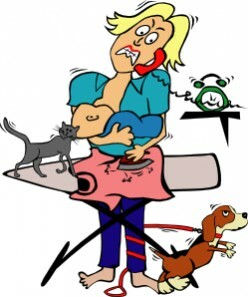 Learn some easy ways for stay-at-home mothers to relieve their stress. 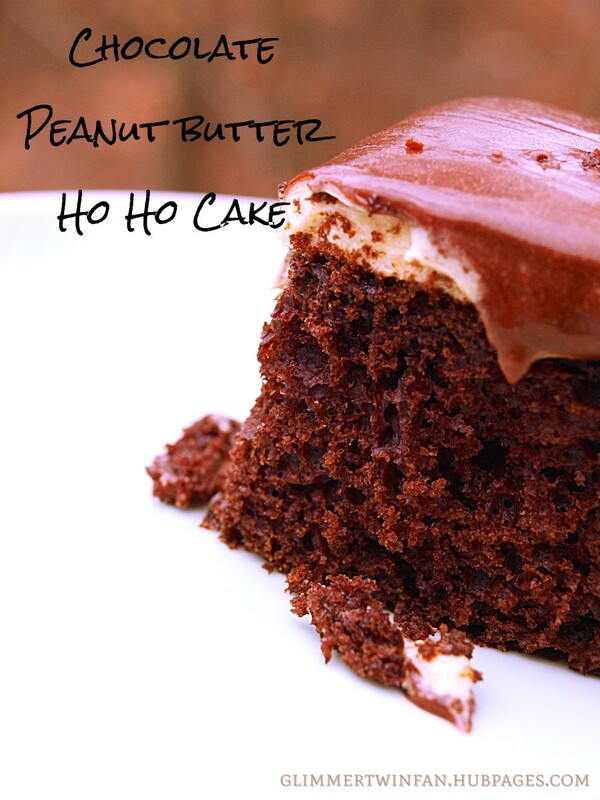 Nothing beats the combination of chocolate and peanut butter and no cake represents this combination better than the Chocolate Peanut Butter Ho Ho Cake. This easy to make cake recipe will be a hit at your next party. 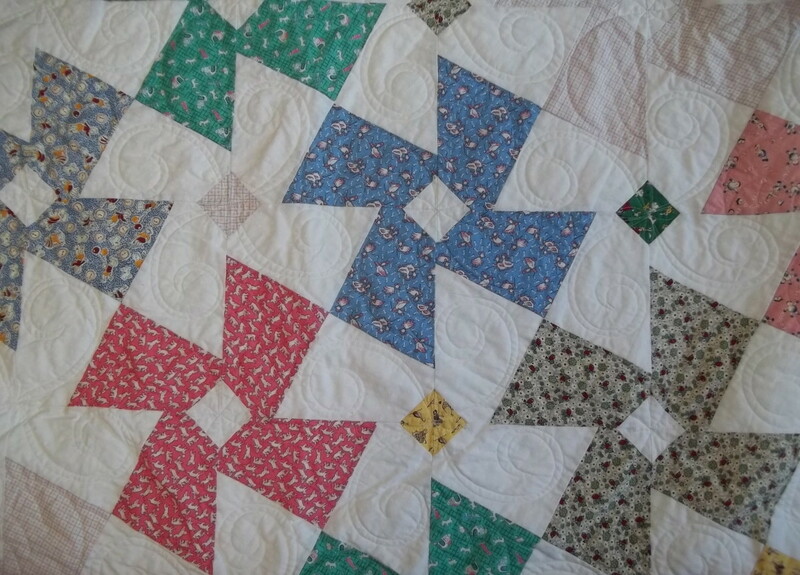 Make sure your quilting experience is fun and safe when you learn about the benefits of quilting with children. 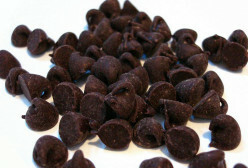 Learn all about cooking with semisweet chocolate chips. Included, you'll find handy tips, a little history and 3 easy and delicious recipes. 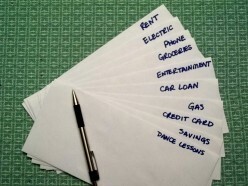 Go to an all cash budget using this simple money envelope system. You'll be surprised how easy it will be to pay your bills and save some money. You'll never need to call for take out dinner again if you assemble some of these delicious and easy freezer meals for the crock pot. Here are five easy recipes that will get you started. 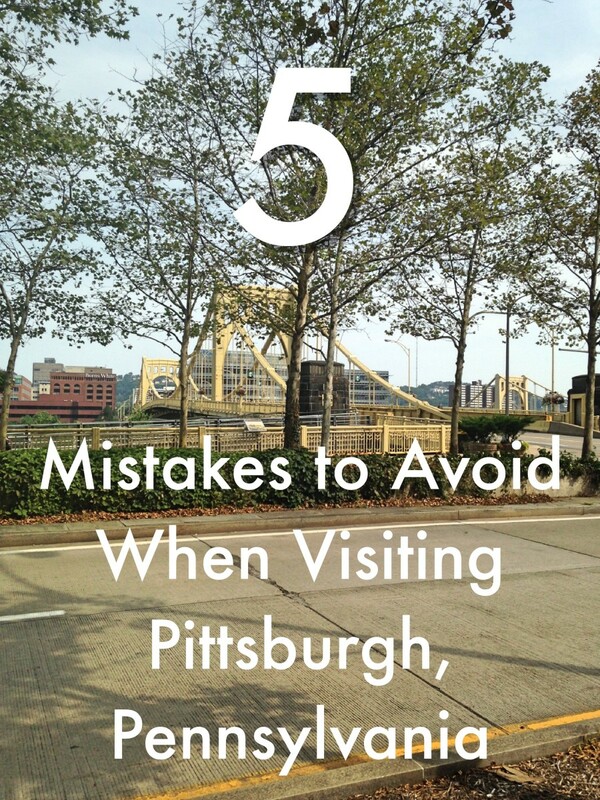 Planning a visit to Pittsburgh? New to the area? 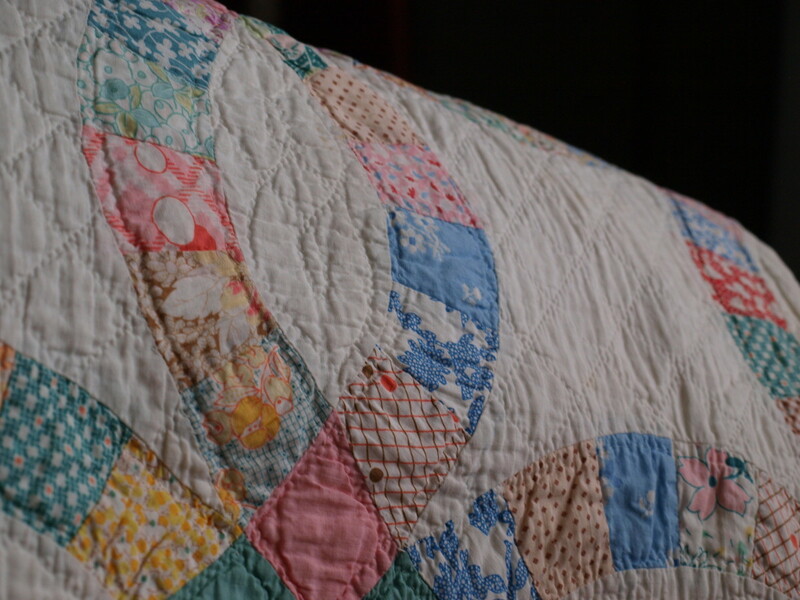 Check out this list of Pittsburgh quilting resources. 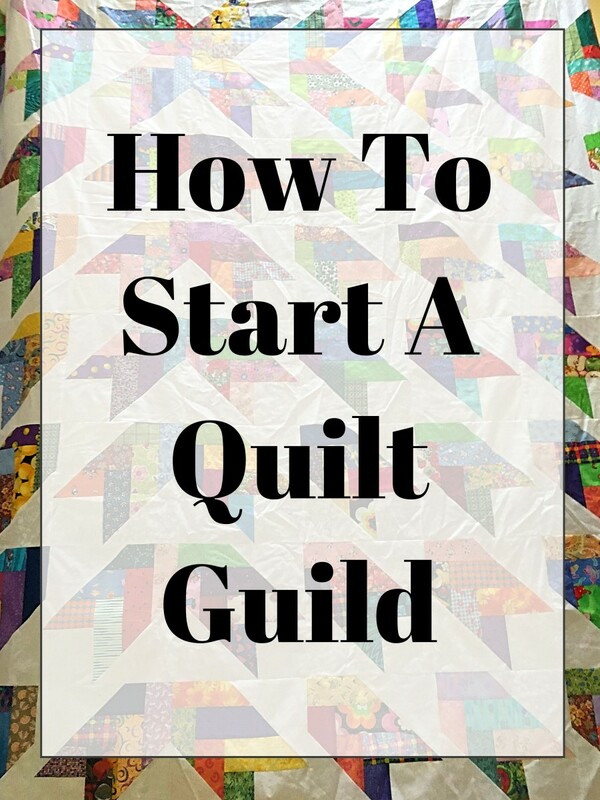 It provides links to local quilt shops and guilds and has other online Pittsburgh quilting information. 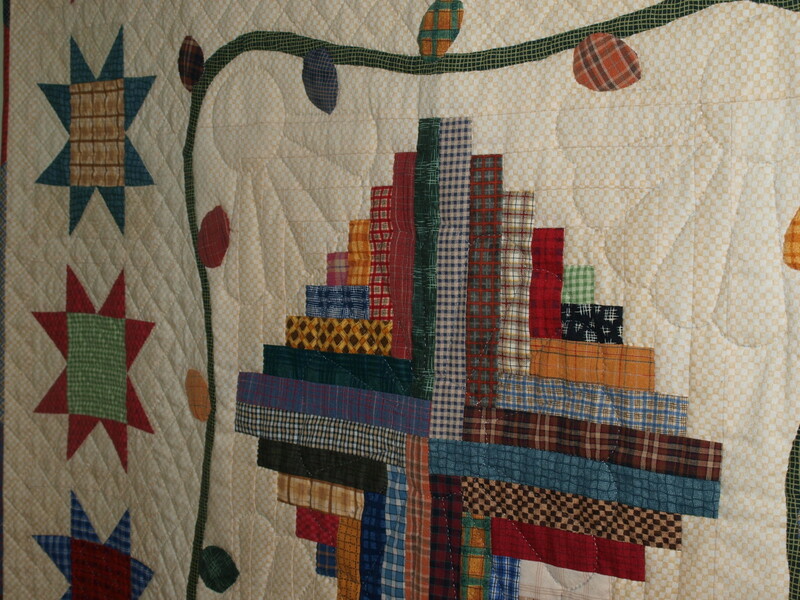 Tessellation patterns are found in many quilts, with some being quite detailed and intricate. 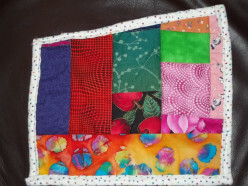 Take a look at these examples of tessellation quilt designs and learn how you can design your own tessellation quilt pattern. 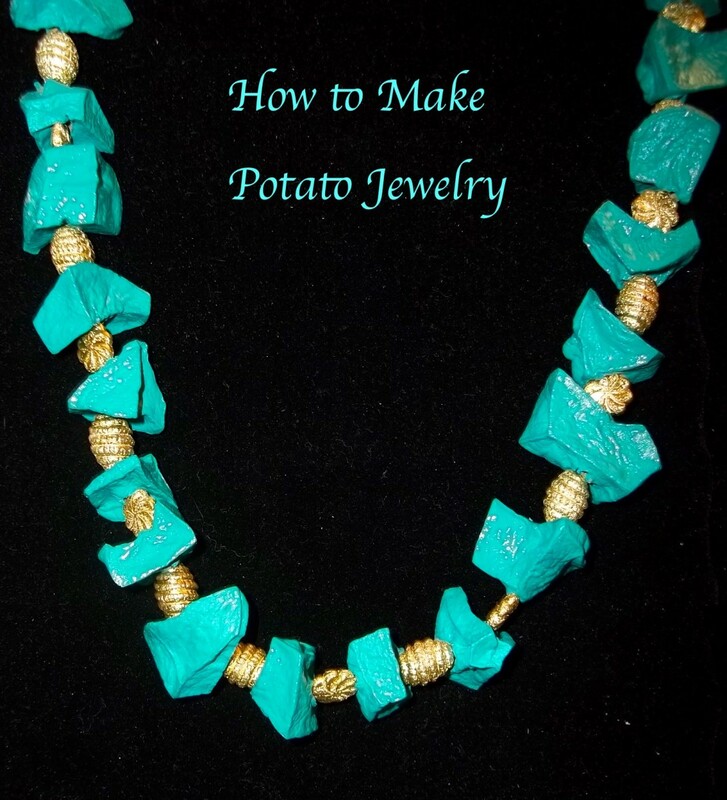 With just a few supplies and time, you too can turn common potatoes into beautiful jewelry. Find out how in this easy to follow tutorial. 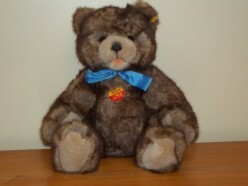 If you have an old stuffed animal that you are unsure about, you just might have a Steiff animal. 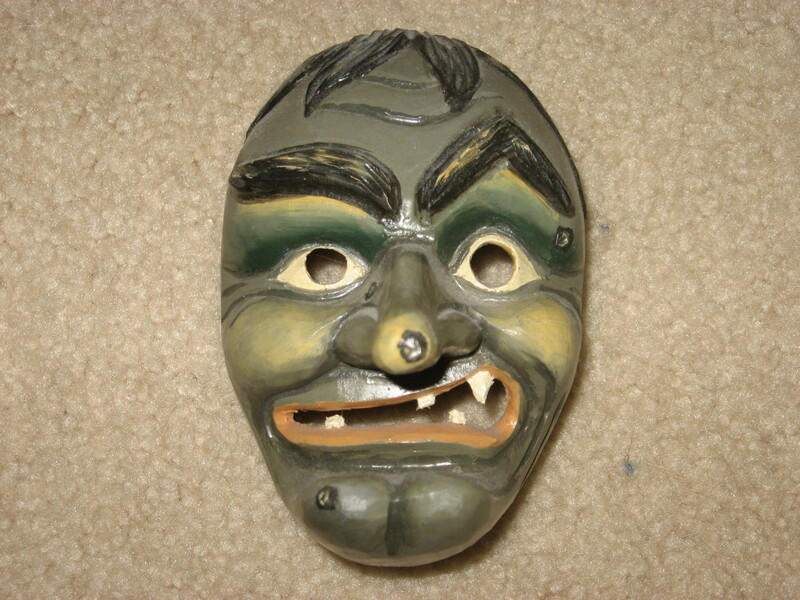 Prized by collectors around the world, Steiffs are fairly easy to identify. Using the 3 identifiers described in this article will help you determine if you have a Steiff animal. 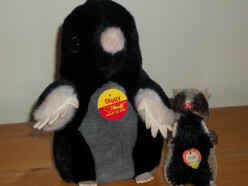 Steiff toys have been bringing joy to children of all ages since 1880, when the company first introduced a small stuffed felt elephant. Learn all about the fascinating history of the Margarete Steiff Toy Company. 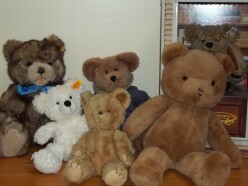 If you are looking for tips on how to collect Steiff animals, then look no further. You'll find places to purchase the toys and tips on keeping your collection in top shape. This article offers useful suggestions for the new and experienced Substitute Teacher on how to earn respect in the classroom. 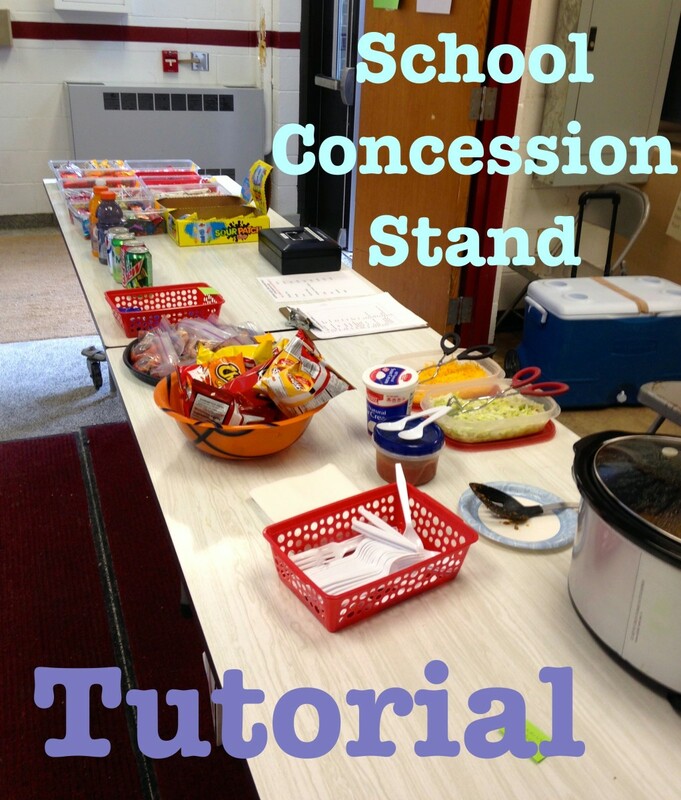 It will help Substitute Teachers ensure that their day will run smoothly. Better known as Mardi Gras or Carnival in other parts of the world, Fasching is Germany's version and is set apart from other pre-lenten festivals by the elaborately carved wooden masks that locals wear. 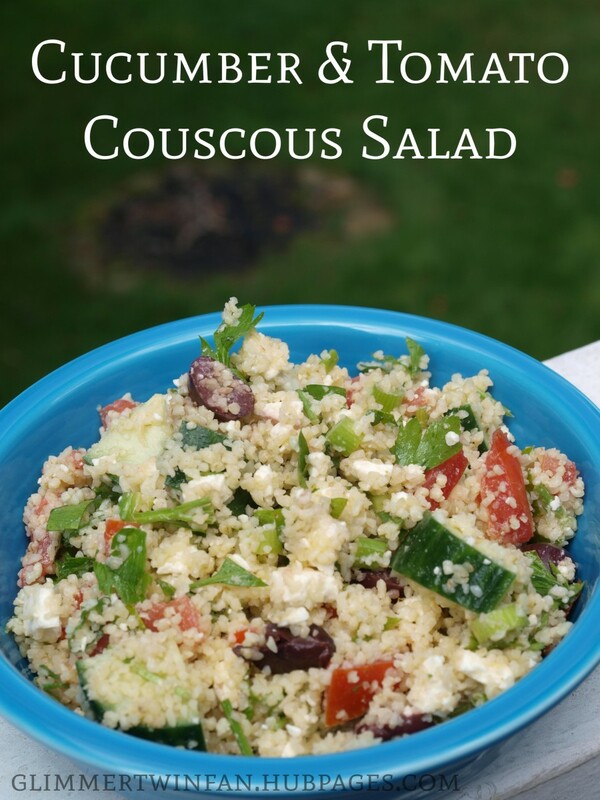 With fresh vegetables and the flavors of the mediterranean, this Cucumber and Tomato Couscous salad is easy and delicious and perfect for your next dinner or lunch. 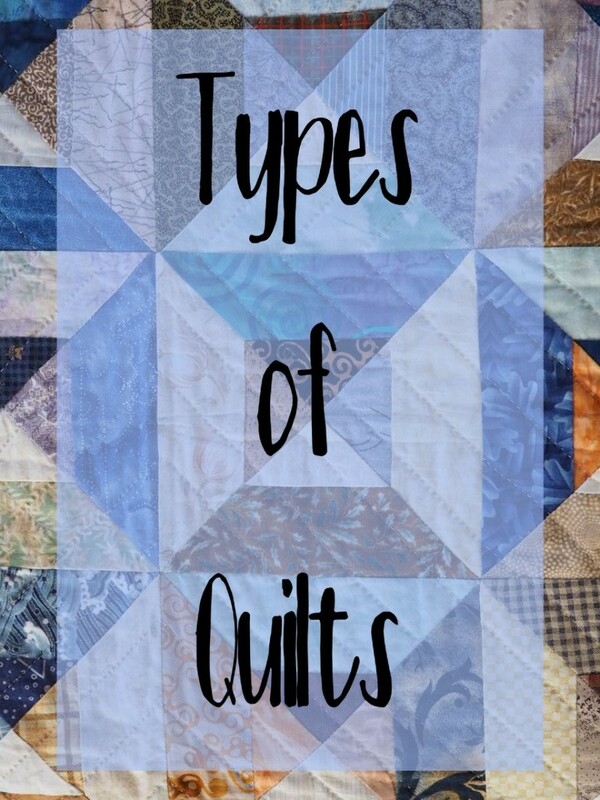 Making an original quilt design can be intimidating, but whether you are new to quilting or a seasoned veteran, designing a quilt by hand is an easy and rewarding process. Just follow the steps in this article and you'll be on your way to creating your own original work of art. Take a look at some great songs that any self-respecting feminist should hate but can't. With hits by artists such as the Rolling Stones and Lesley Gore, you'll get a sampling of politically incorrect songs that are fun to listen to. 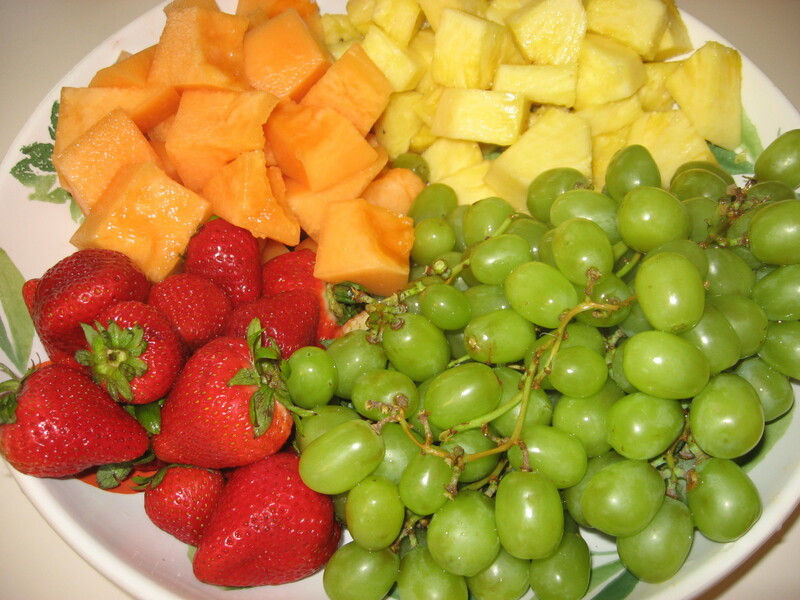 Fresh fruit is always a favorite at any gathering. A great way to perk up any fruit platter is with this delicious Easy Marshmallow Fruit Dip. With a basic recipe consisting of 2 ingredients and 5 different variations, this recipe is a sure to be a hit with everyone! Bunco is an easy to learn dice game that is loads of fun for all ages. 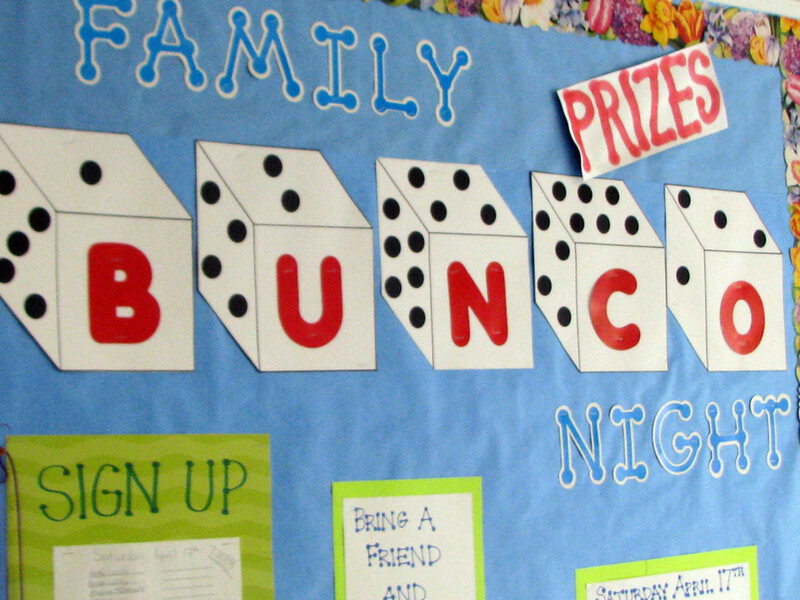 Bunco night is a chance for friends and family to get together and let loose. 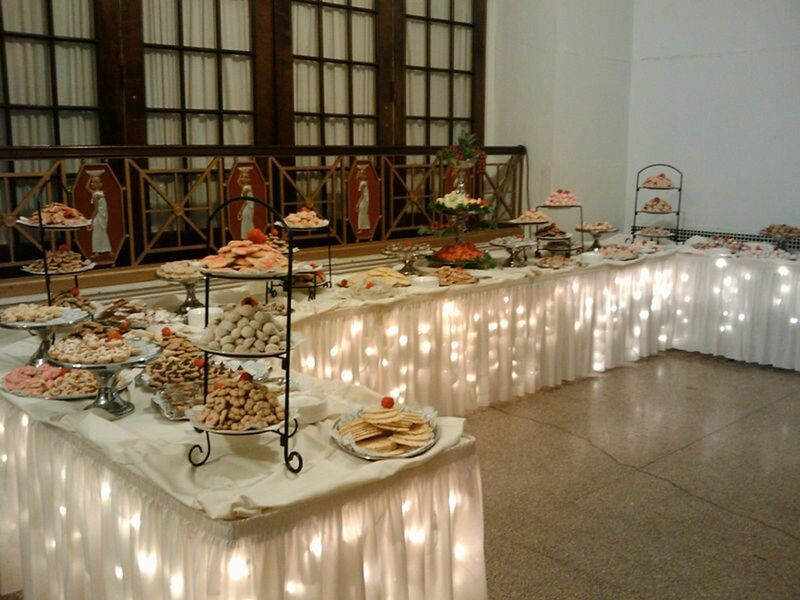 With these tips you'll be organizing a Bunco group in no time. 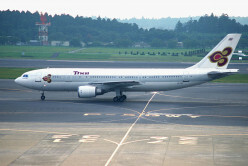 We've all flown at one point or another and at some point most of us have been seated next to an unpleasant passenger. Some of us have also been an unpleasant passenger. This funny guide will help you be good airline passenger on your next flight. There are obvious signs that you are getting close to fifty and then there are the not so obvious signs. 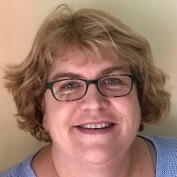 This article takes a funny look at some of these more obscure signs of aging and even has a quiz to help you determine if you are approaching 50. 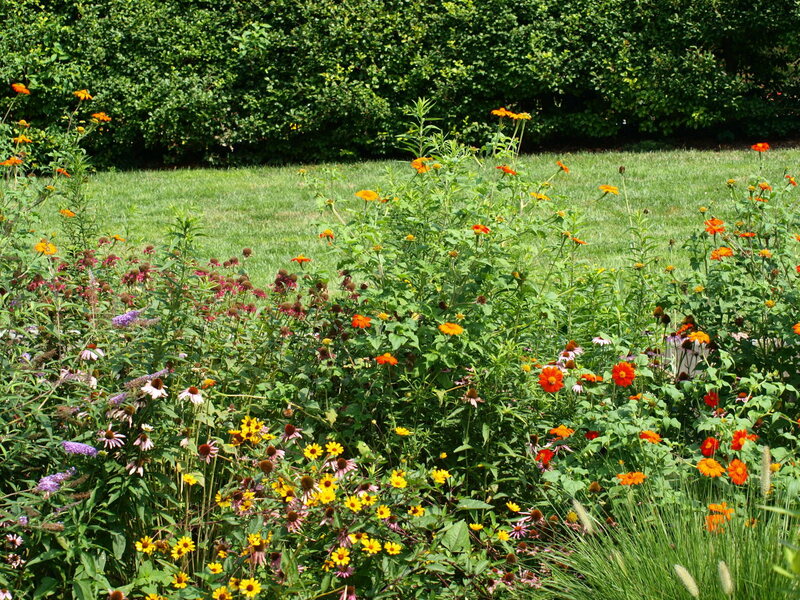 Gardening with kids is great fun but sometimes it can be hard to get kids into the garden. 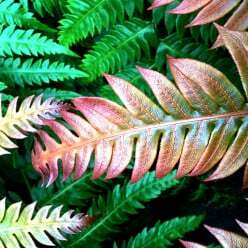 These 10 fun and interactive plants are a sure fire way to get your kids off the couch and into nature. 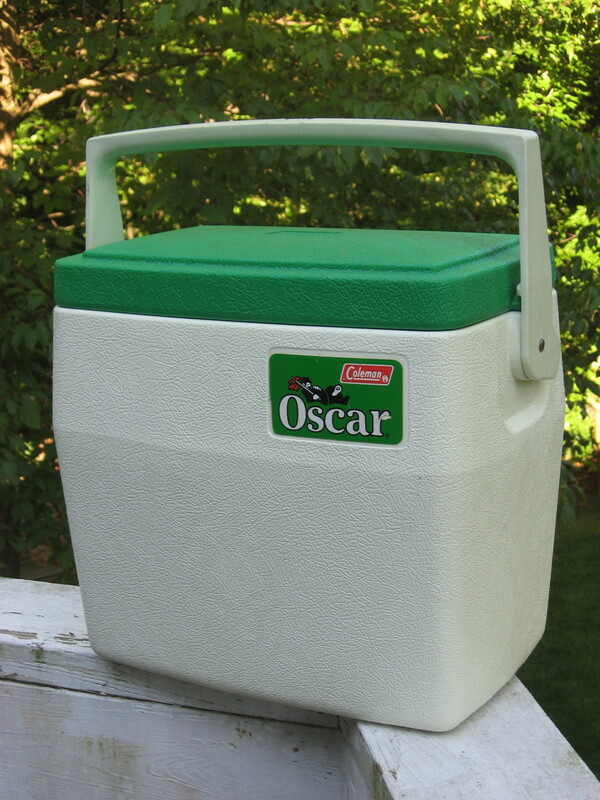 The story of the Oscar Coleman Cooler follows a span of over 30 years of highs and lows. Oscar goes off to college, to concerts and other adventures. 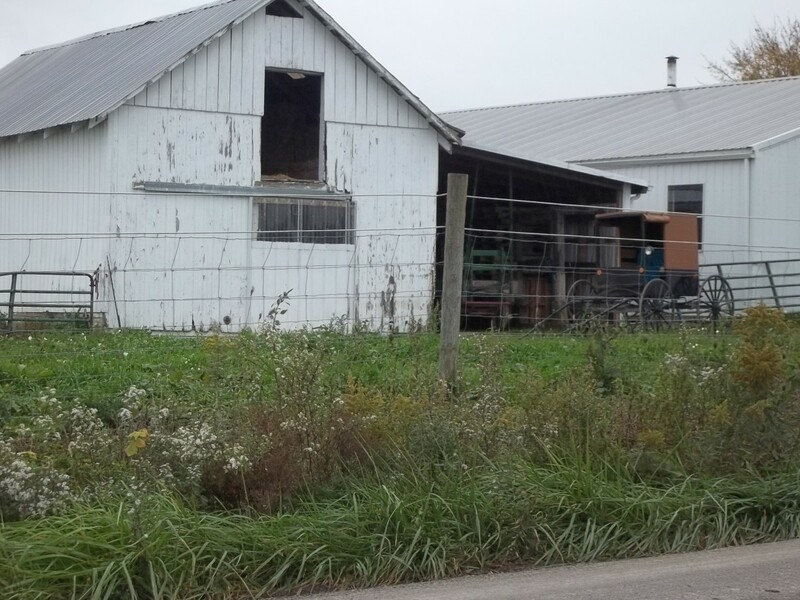 Follow this Coleman Cooler's journey through life. 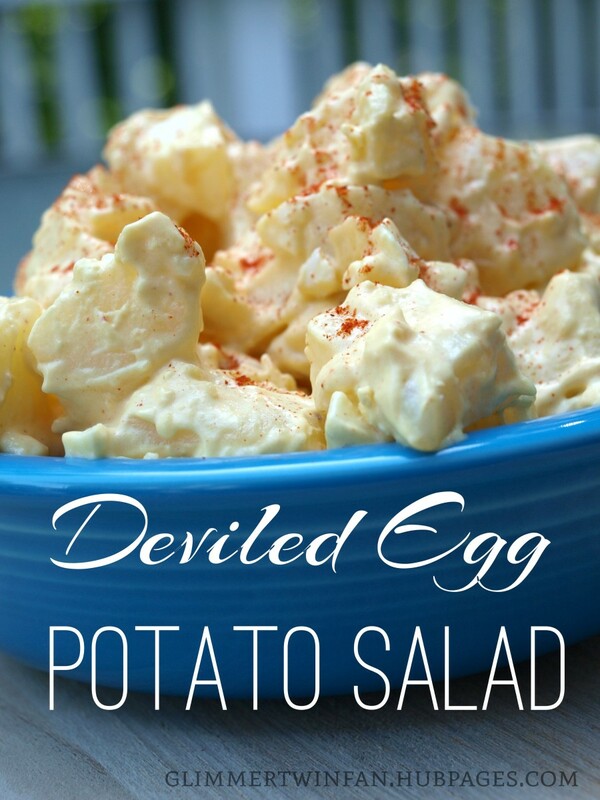 Ingredients used in making deviled eggs, along with potatoes, makes this a delicious Deviled Egg Potato Salad. It's a great side dish at summer picnics or anytime during the year. Pittsburgh, Pennsylvania is a great family-friendly city to visit. 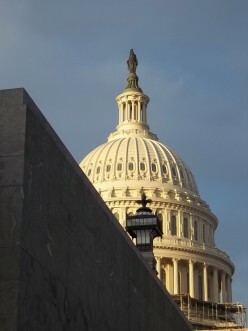 There is no shortage of fun and educational sites that adults and children will love to visit. With a map in hand, these 10 sites will help ensure that you and your kids have a great time in Pittsburgh, PA. 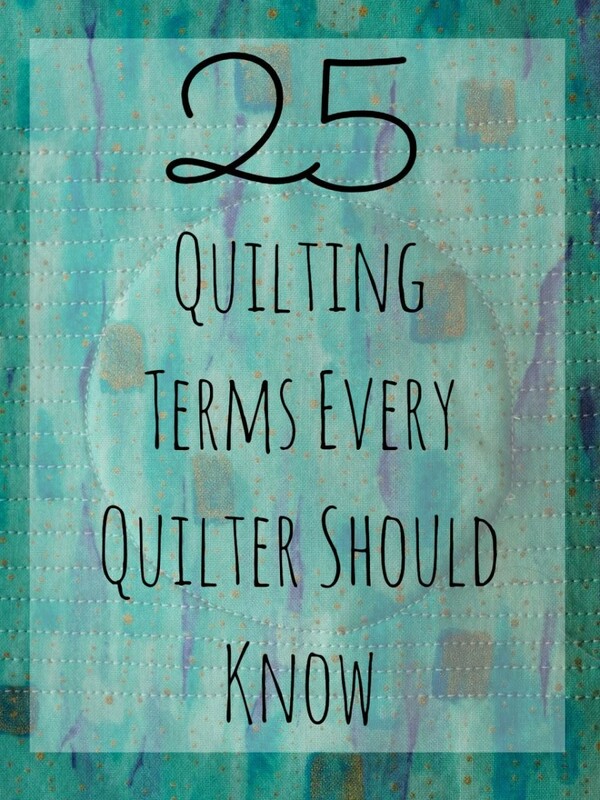 If you have ever had a question about a quilt show, then this article has the answer. 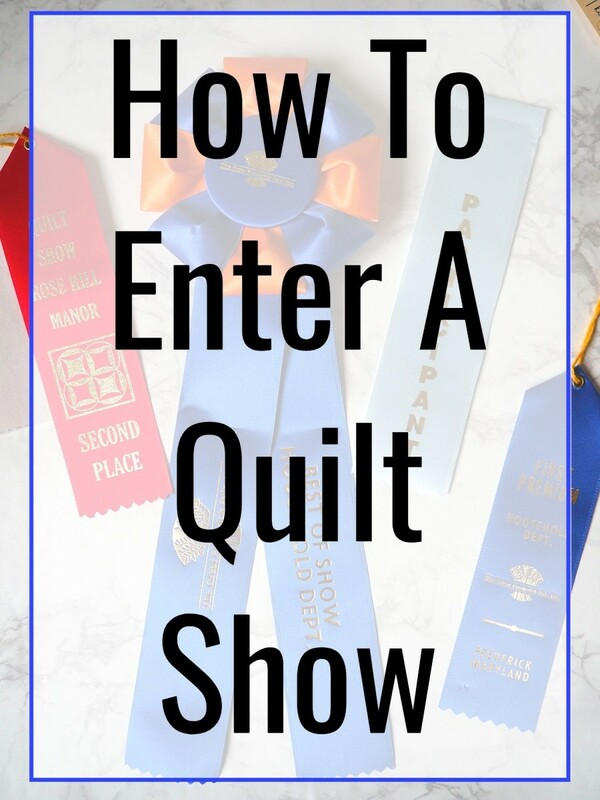 It provides general information regarding quilt shows as well as pointers on entering both juried and non juried quilt shows. 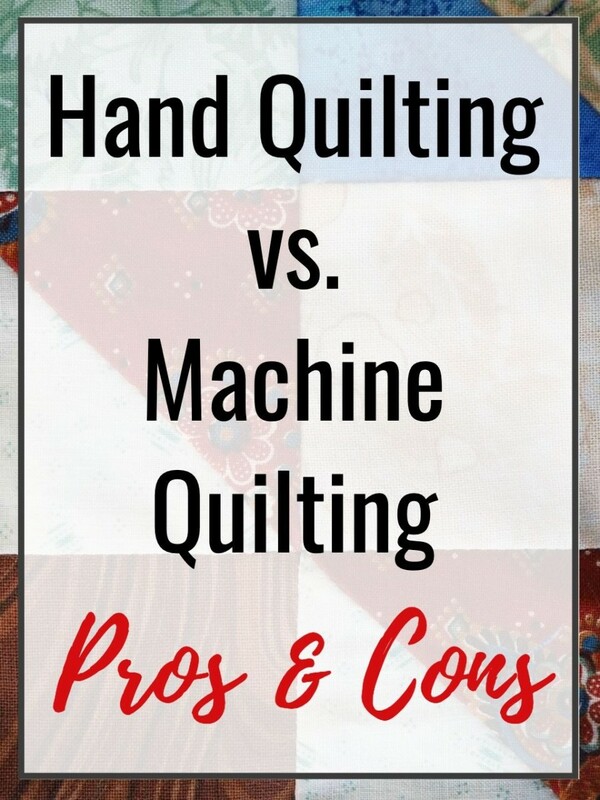 To hand quilt or machine quilt...that is the question. 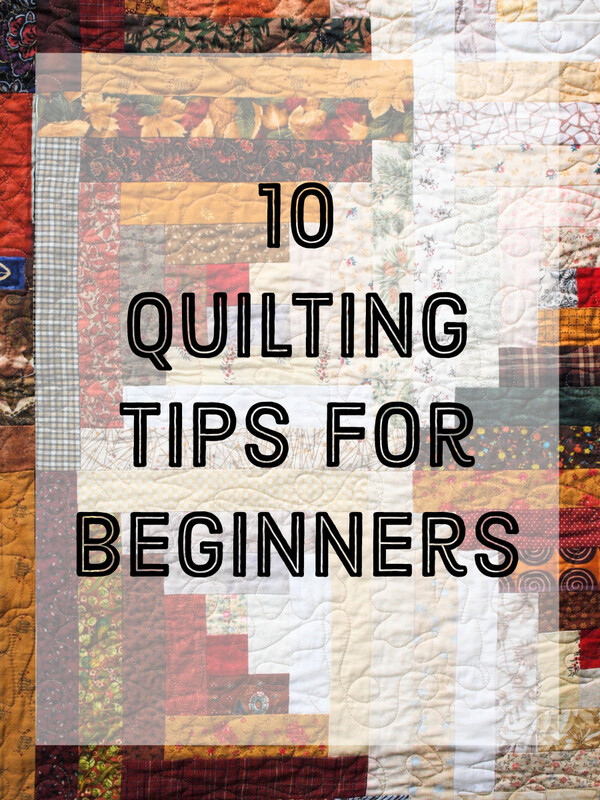 This article provides advice on which quilting method to use and points out some of the pros and cons of hand quilting versus machine quilting.